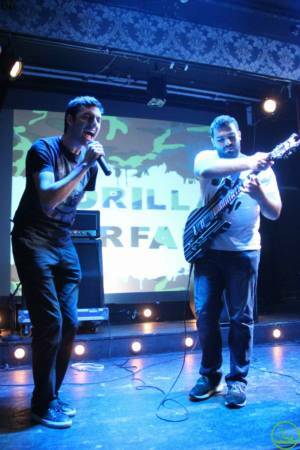 The final band in the Metal Bell 6th Anniversary lineup is Qantara, a local band with a genre of their own called MetalFlow. In short, however, one can say that the band has been in the making for many years, experiencing many changes in their lineup and musical approach throughout. 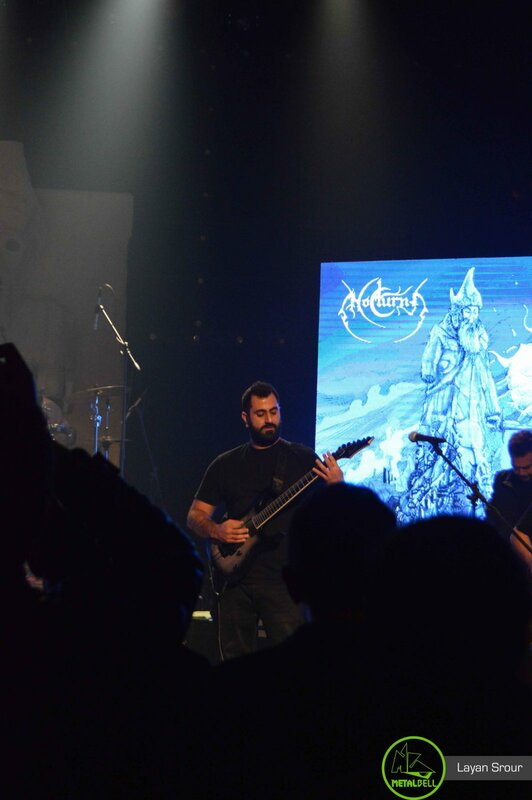 But there is one point in time which we could consider as an objective starting point, or at least as Qantara’s official introduction to the local Metal scene: on April 4th, 2015, the first Lebanese edition of the W:O:A battle, which allows the winning band to perform at the Wacken Open Air Metal festival, took place at The Quadrangle, Hazmieh. 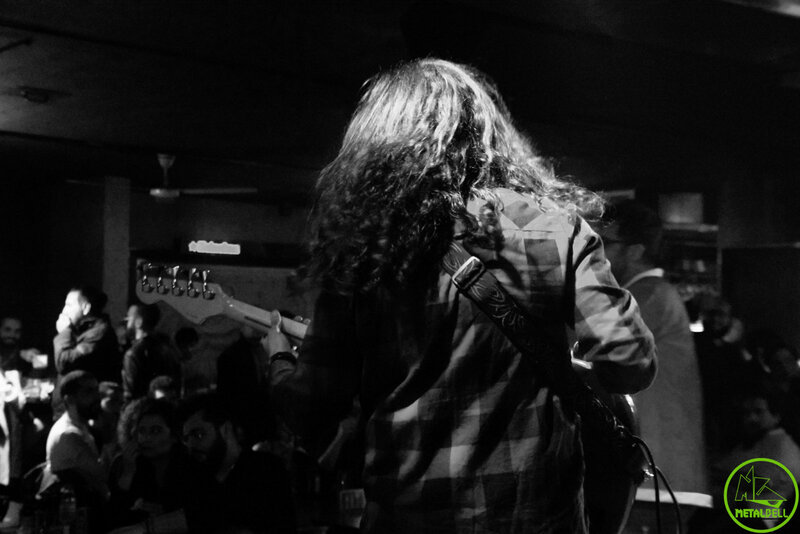 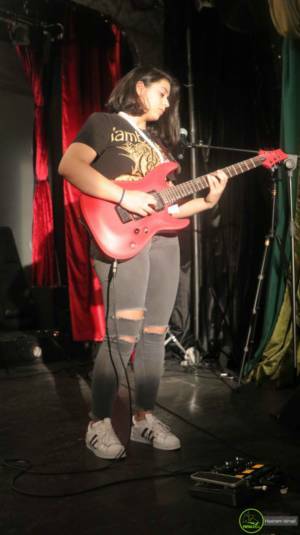 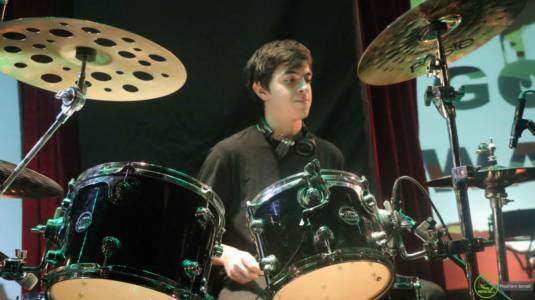 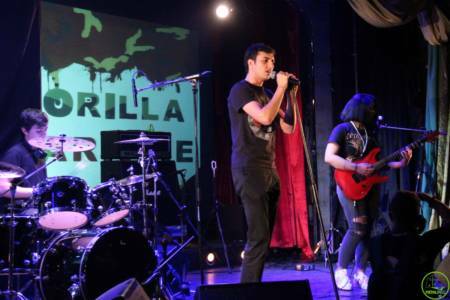 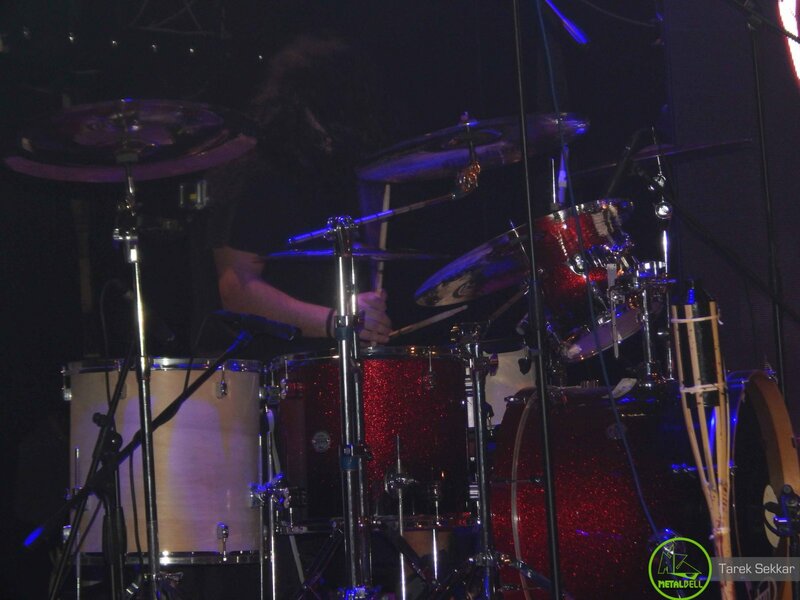 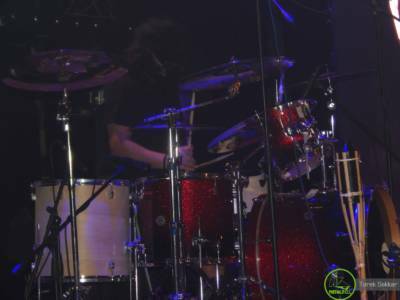 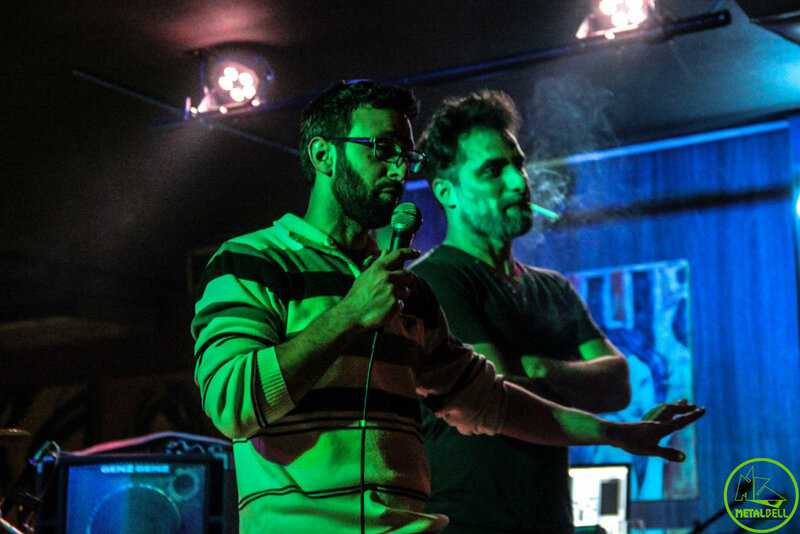 That night, local bands Turbulence, Blaakyum, and April competed, with Blaakyum emerging victorious. While the jury was deliberating, the crowd was given one final treat to top off the event: a guest performance by Qantara who, at that point in time, were mostly unknown to the scene save for some teasingly enigmatic Facebook post. 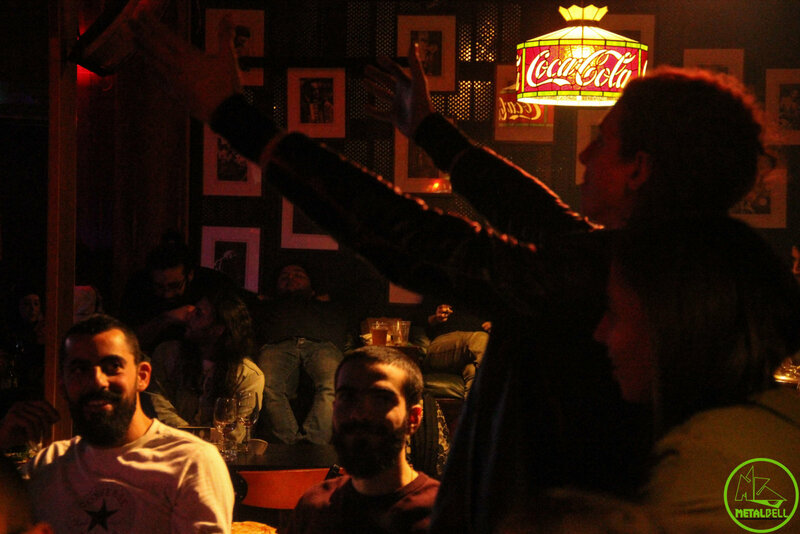 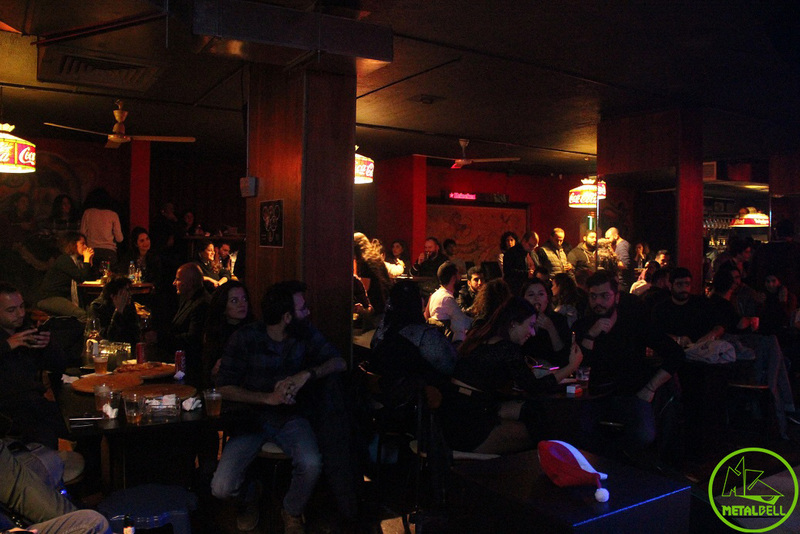 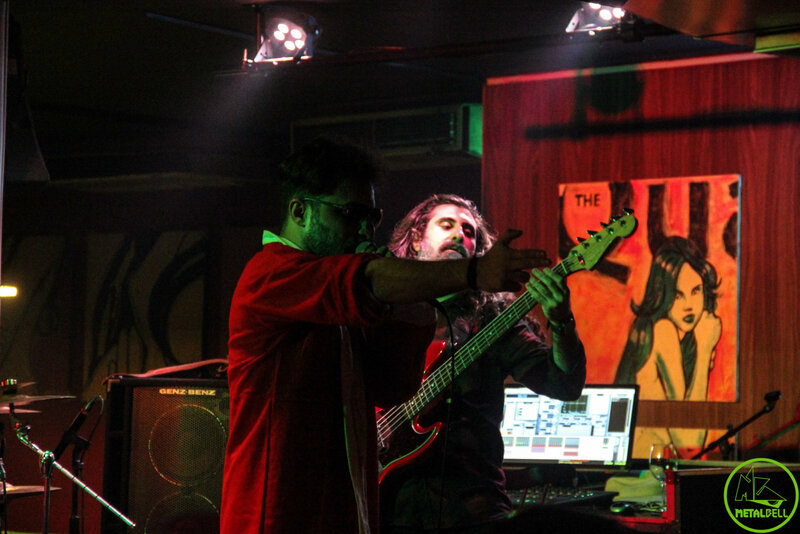 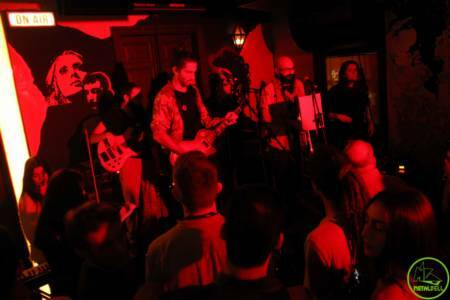 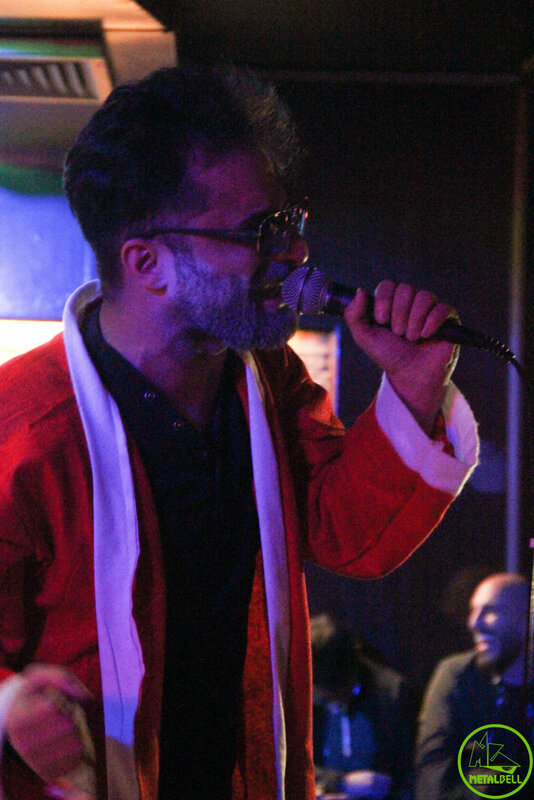 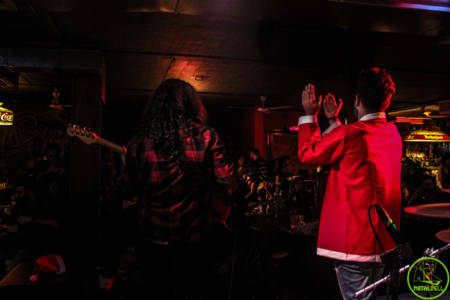 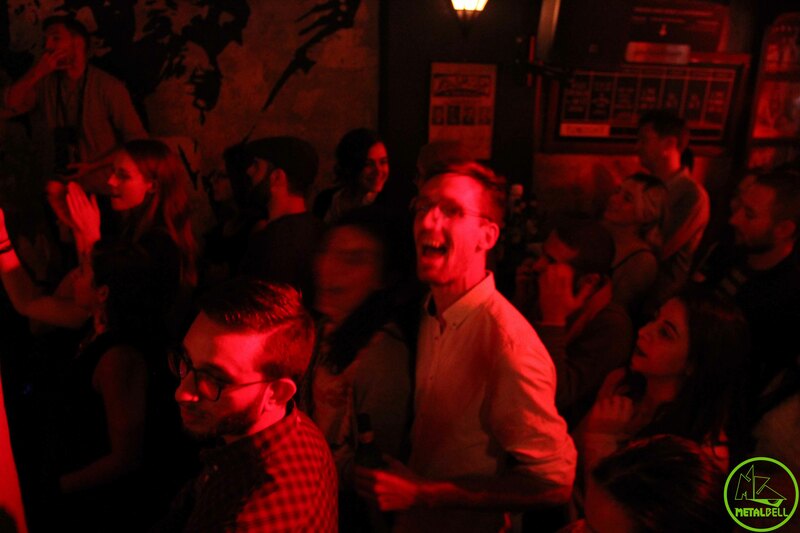 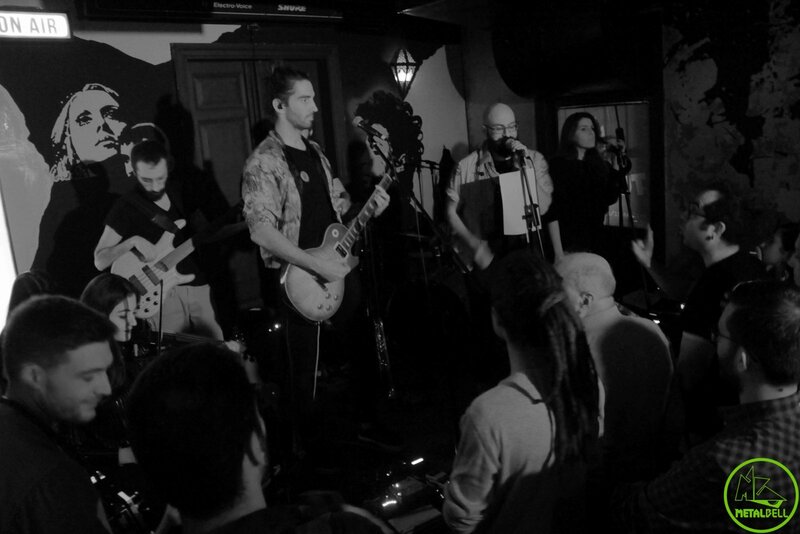 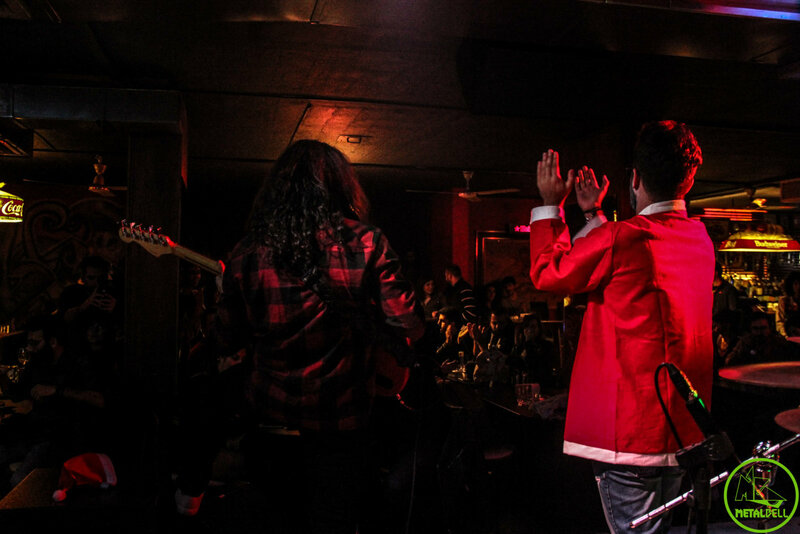 After a pinch of initial cynical doubts, the crowd was taken aback and seemed to enjoy the show with wild abandon, despite the fact that the band solely performed previously-unheard original material. And, well, that mentality seems to have worked out for them so far. 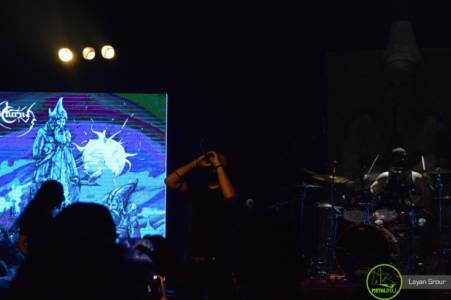 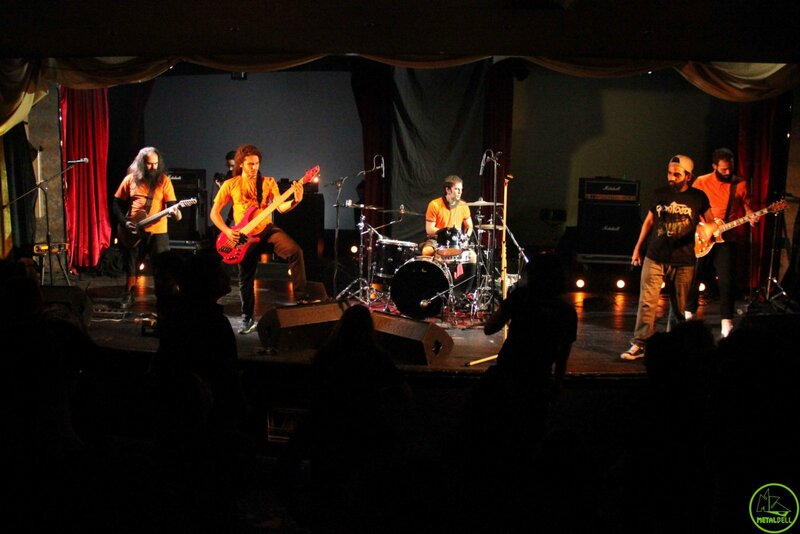 After that initial debut, they partook in Metal Bell’s event New Blood on July 11th, 2015 at Metro al Madina, then finally in Metal Bell’s event Drastic Measures on December 12th, 2015 at The Quadrangle. 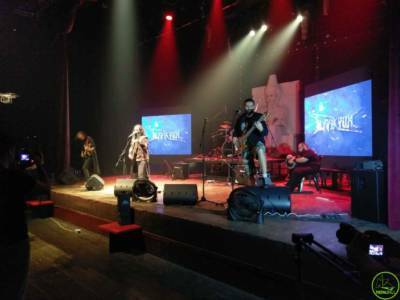 For about three years, that was pretty much it for Qantara. They would sometimes post various forms of content on their Facebook page, but otherwise they did not partake in any public appearance whatsoever. 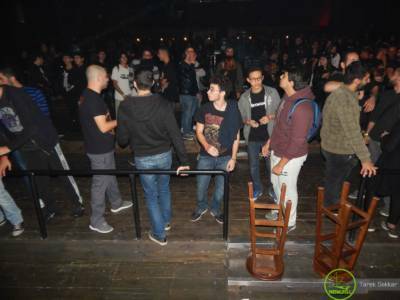 That is, until November 7th, 2018, when they had their first ever album release. 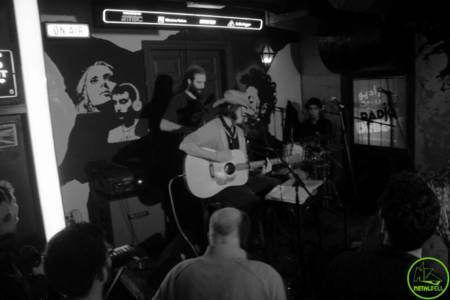 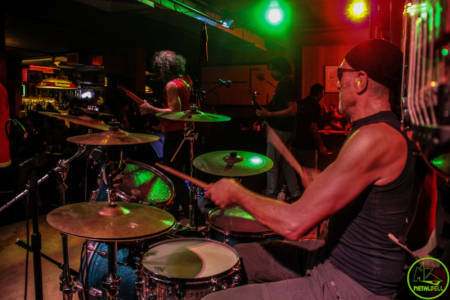 Their album “Dirt” saw the light of day at a place that has now become a recurrent part of the band’s history: The Quadrangle. 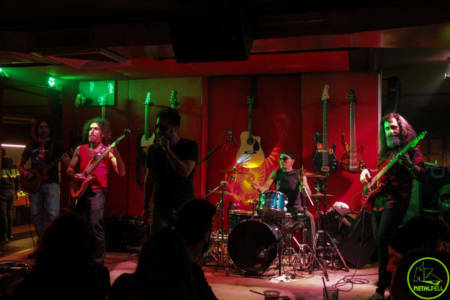 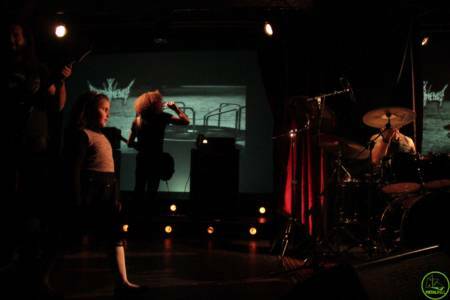 The event did not, however, include a performance, and tomorrow’s concert will thus be the band’s first time on stage in almost exactly three years. 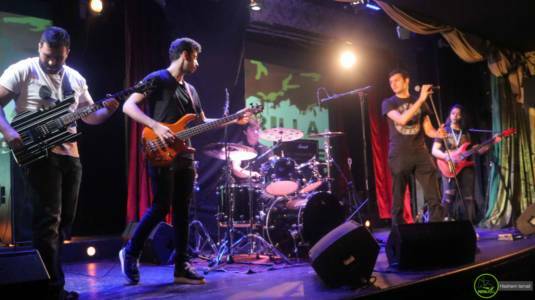 Now that we’ve covered Qantara’s curriculum vitae, let’s move on to some facts about their identity as a band. That pretty much wraps up the ideological viewpoints of Qantara for now. If you’d like to see how those words transcribe onto the stage, pass by Metro al Madina tomorrow! 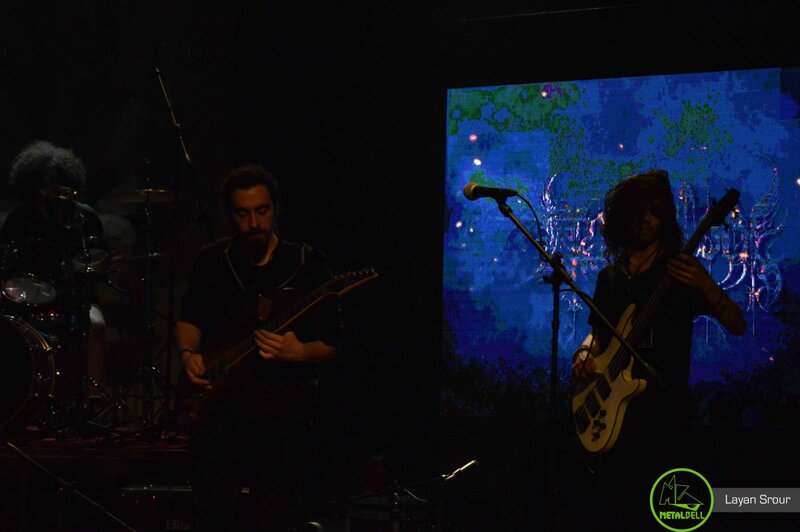 They also added: “We send you all our love and appreciation for your constant support and involvement. 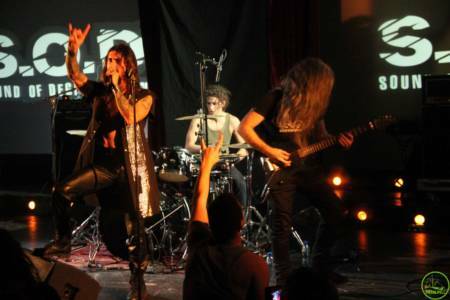 We thank you Carmina for this interview, as well as Metal Bell of course. We wish you a happy birthday, and we are confident that with love and support, and with all of us being open to disagreement and celebrate our differences, this scene has the potential to really set the standard for the region, we all just have to work on the same team. 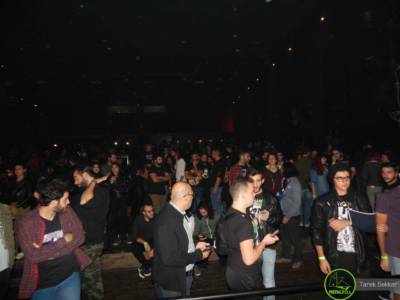 Thank you all and hope to see you on Saturday, December 15th, at Metro al Madina, and to join us to celebrate Metal Bell’s 6th birthday and just an awesome night together. If you’d like to see what kind of sound could come with all these bold statements, check out the band’s Soundcloud, where you can find the entirety of their recently-released album “Dirt” as well as tracks from their yet-unreleased album “Seven”. 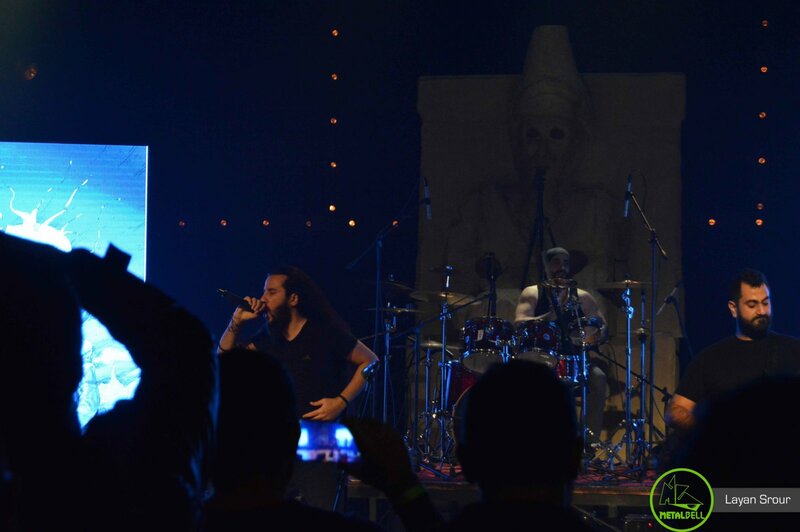 You can also check out their Facebook page for a wide variety of content. 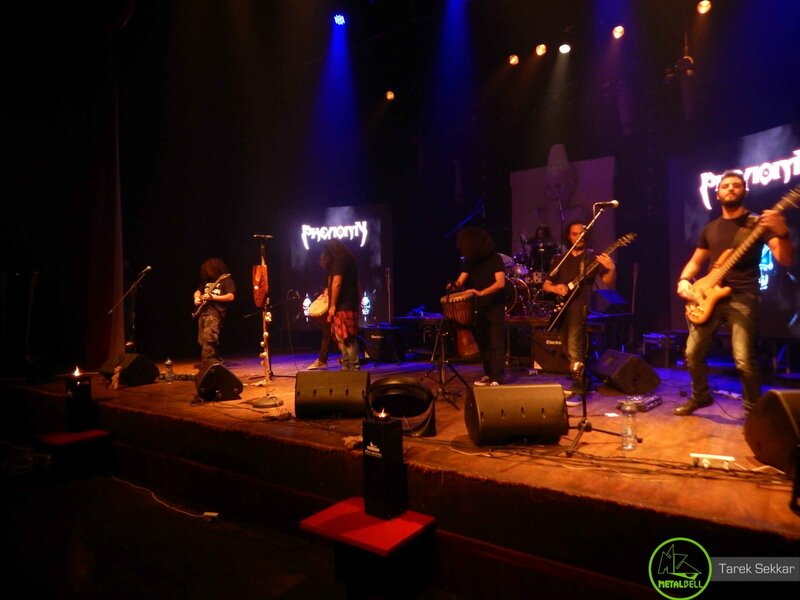 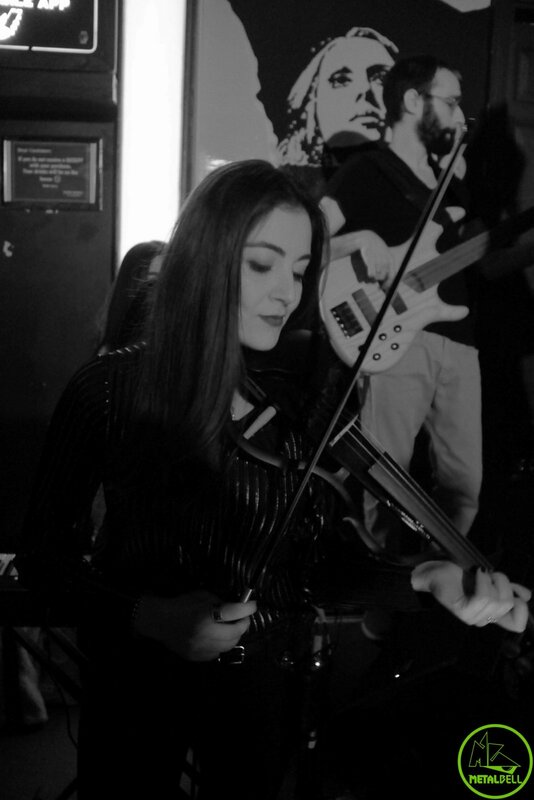 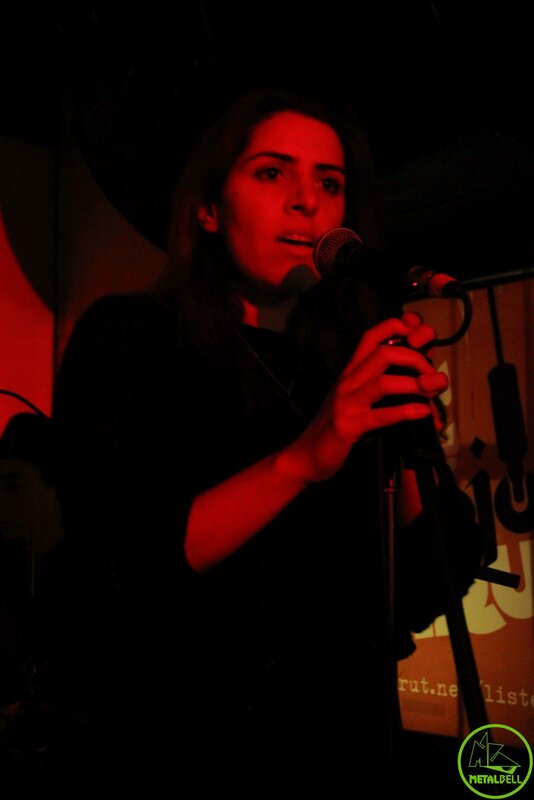 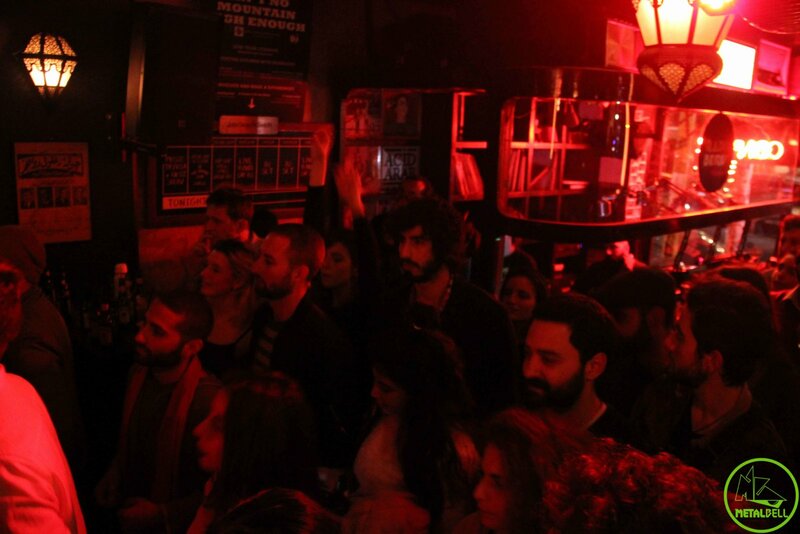 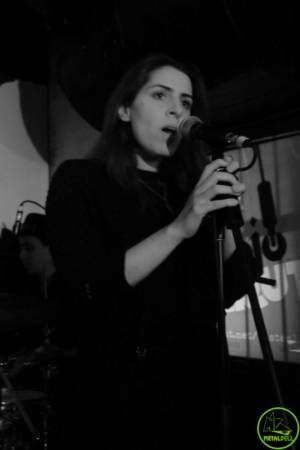 Qantara, we welcome you back to the stage and avidly hope to see you on there much more! 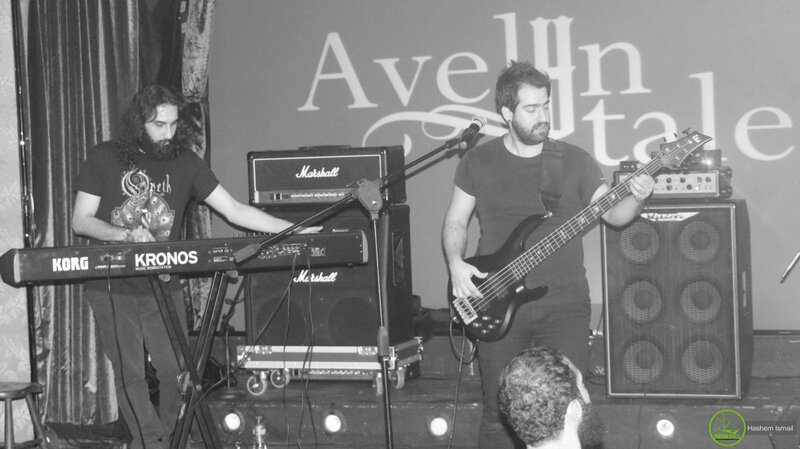 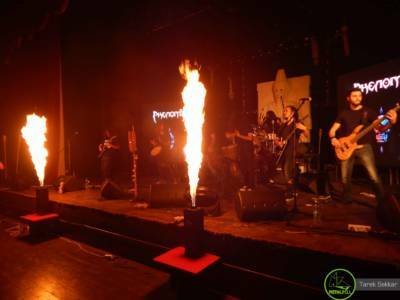 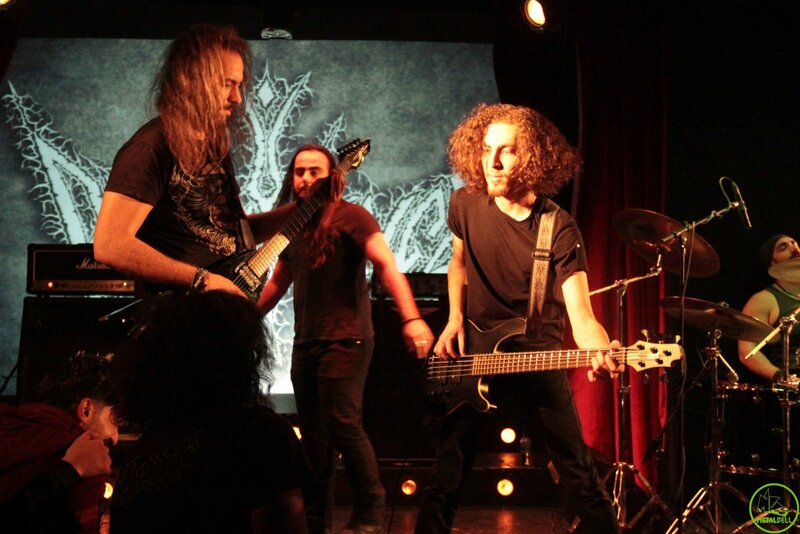 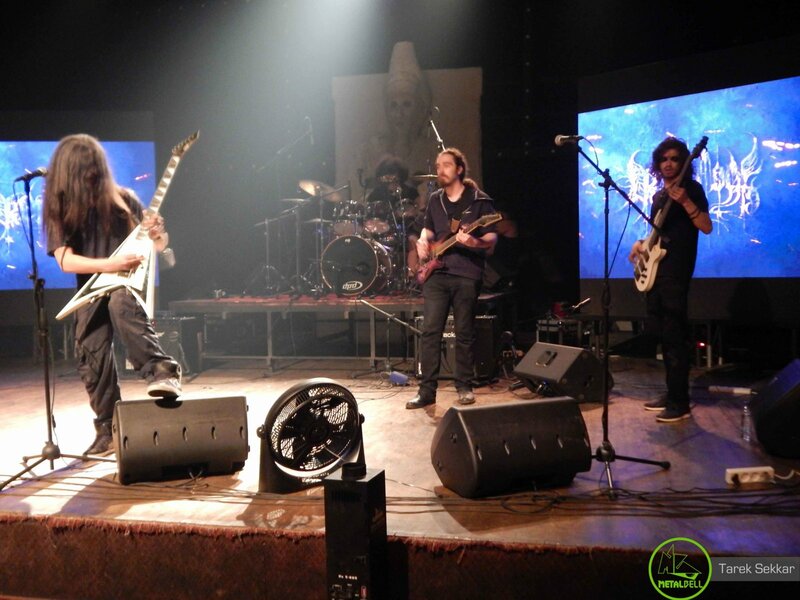 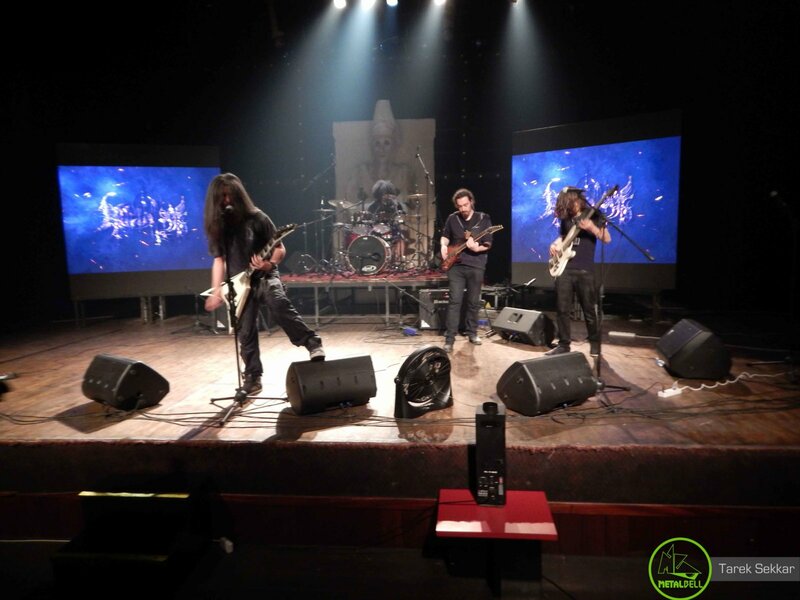 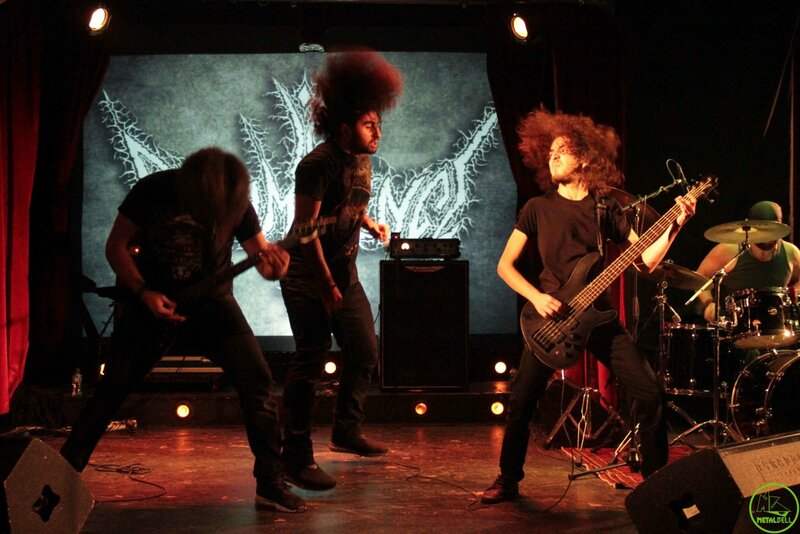 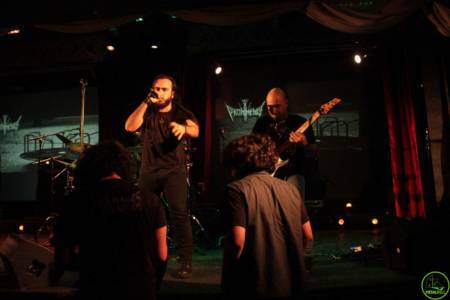 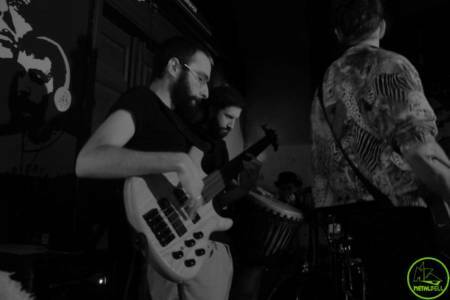 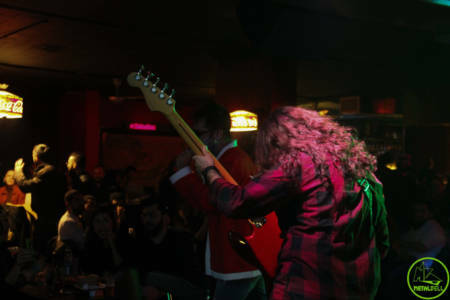 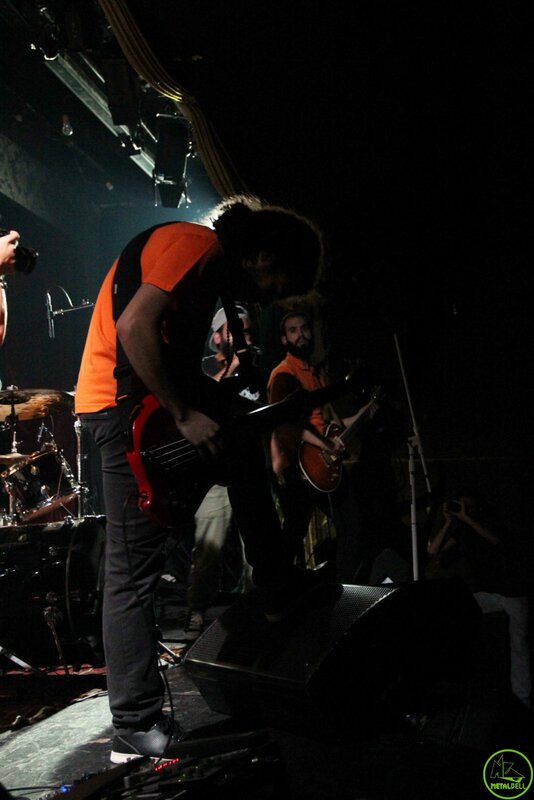 Introducing yet another one of our Metal Bell 6th Anniversary bands: Prominence, a Death Metal band from Beirut, Lebanon. 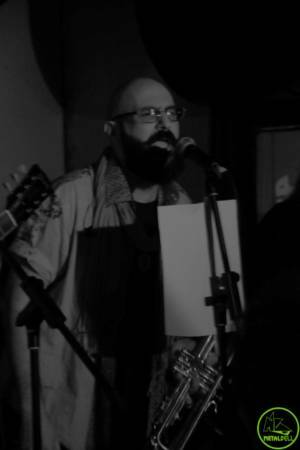 Prominence was founded by Jack Khamo in 2017. 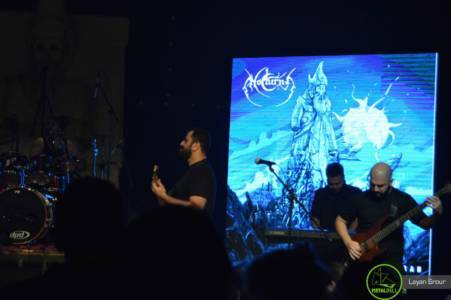 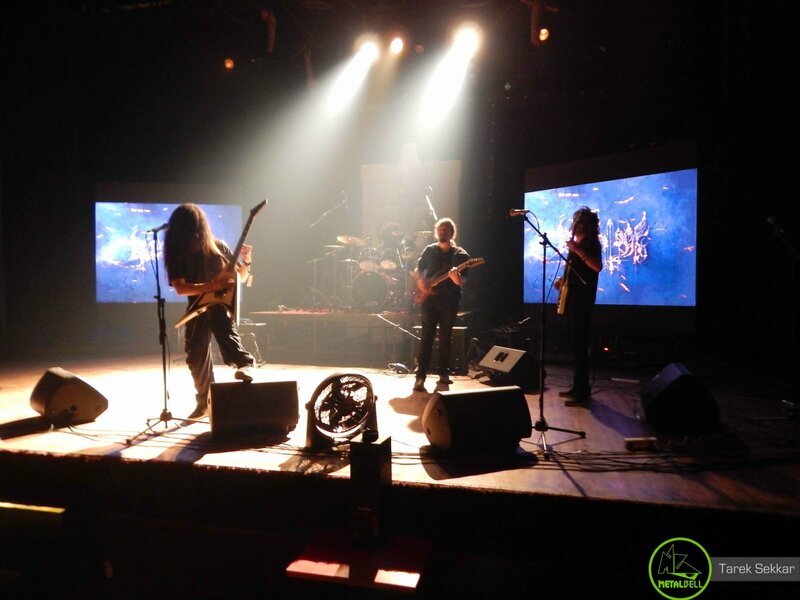 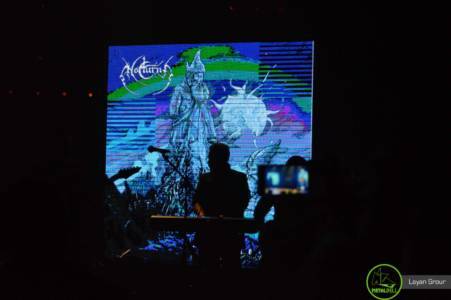 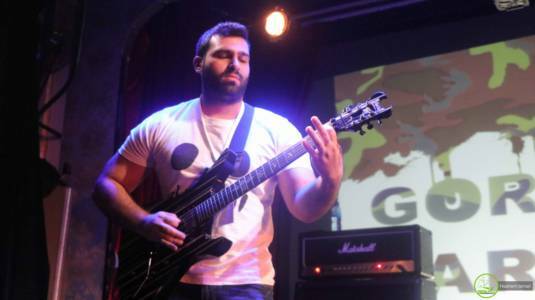 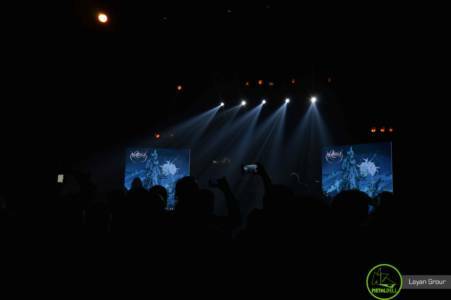 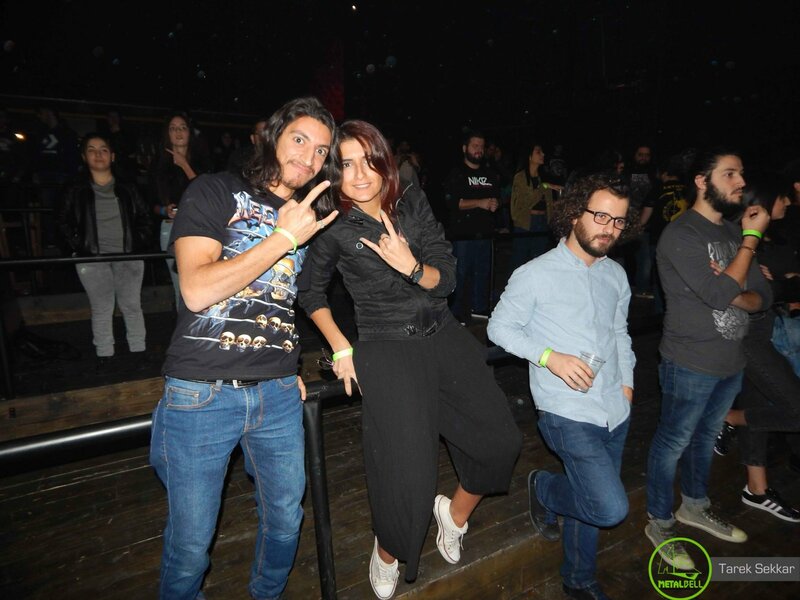 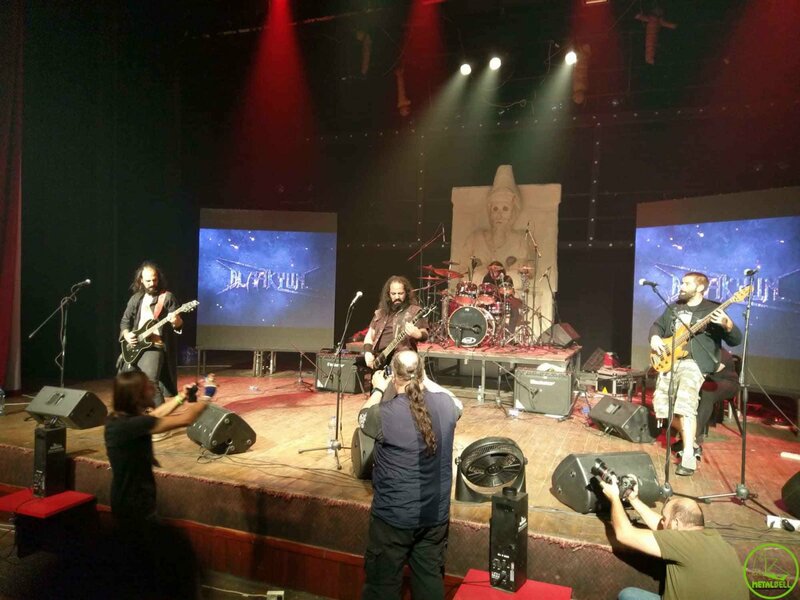 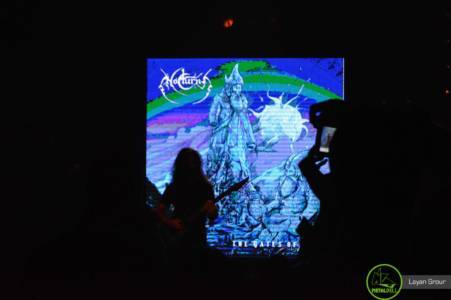 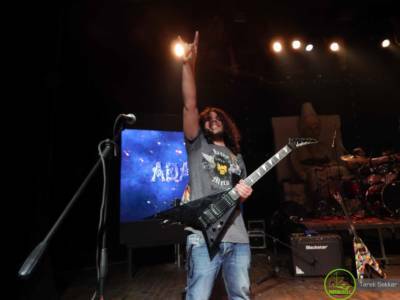 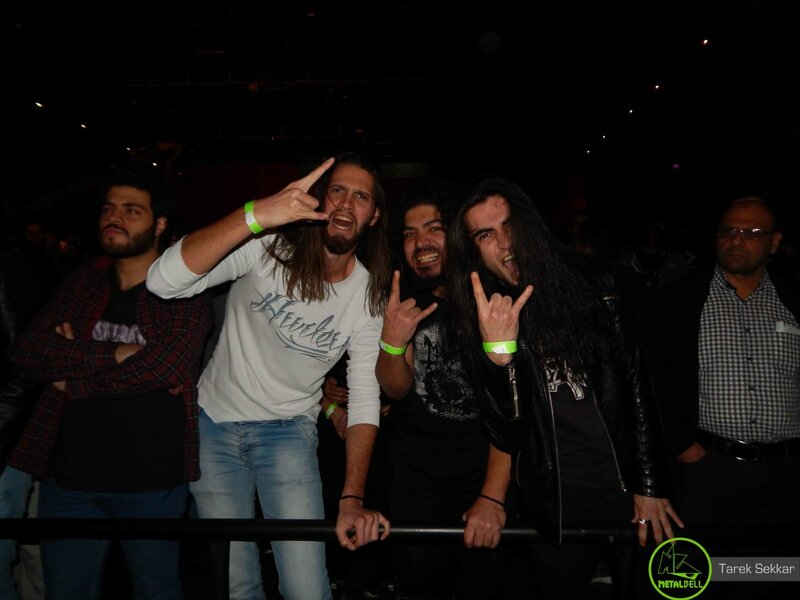 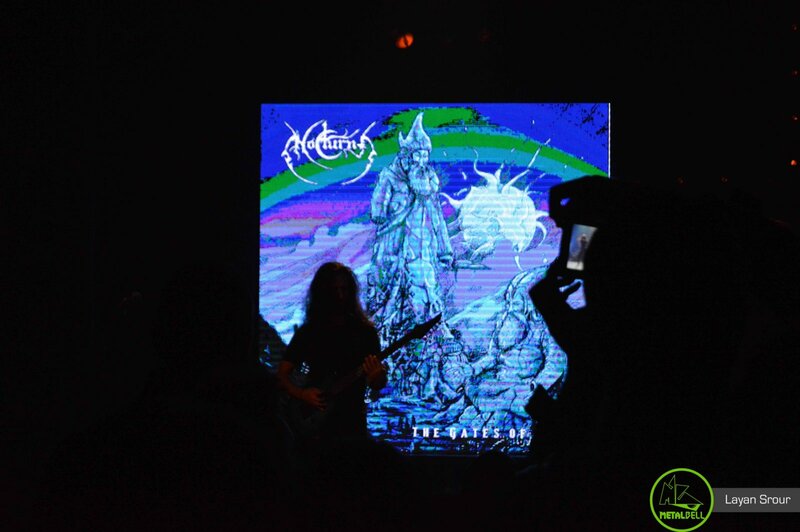 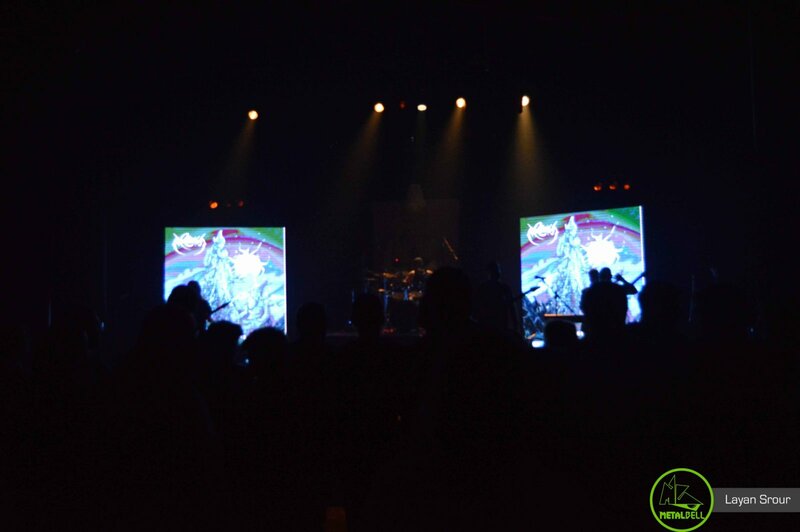 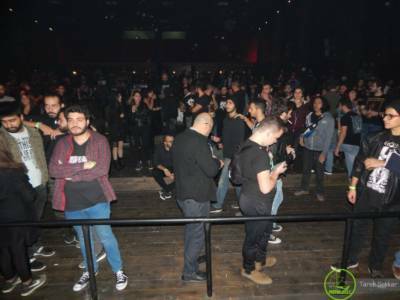 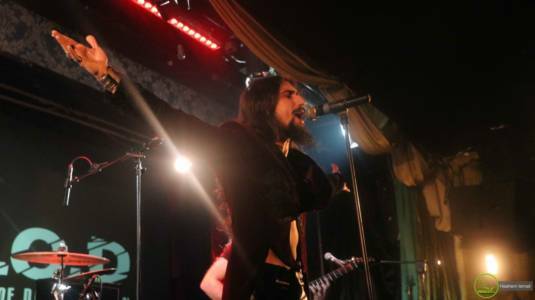 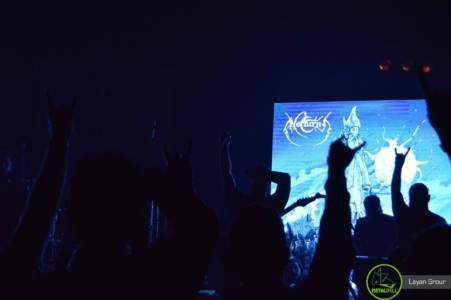 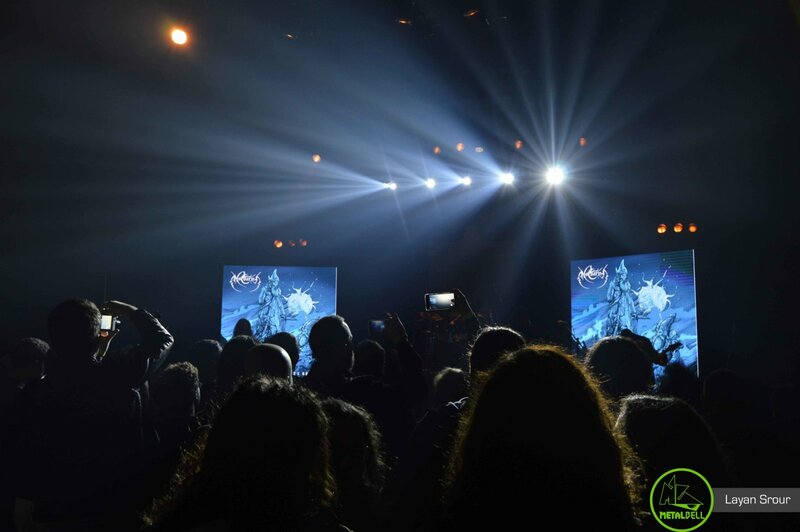 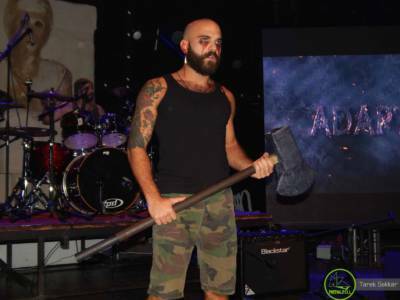 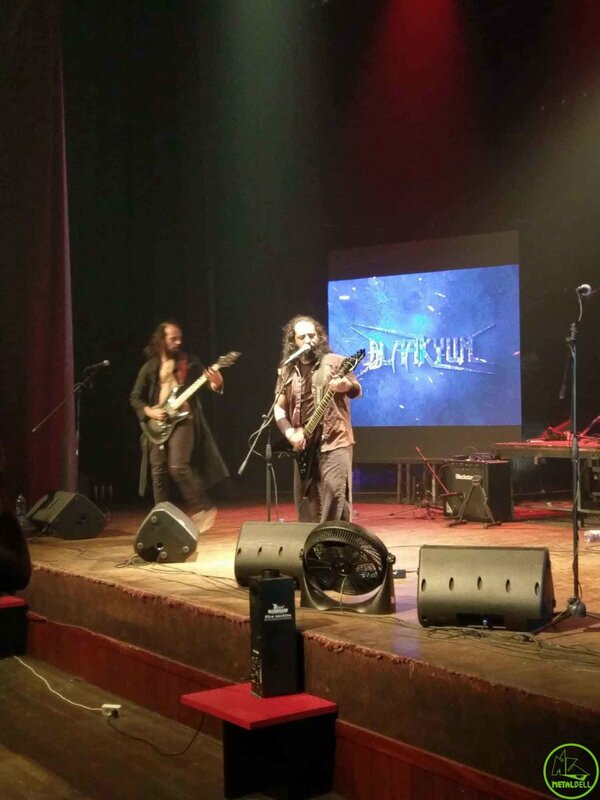 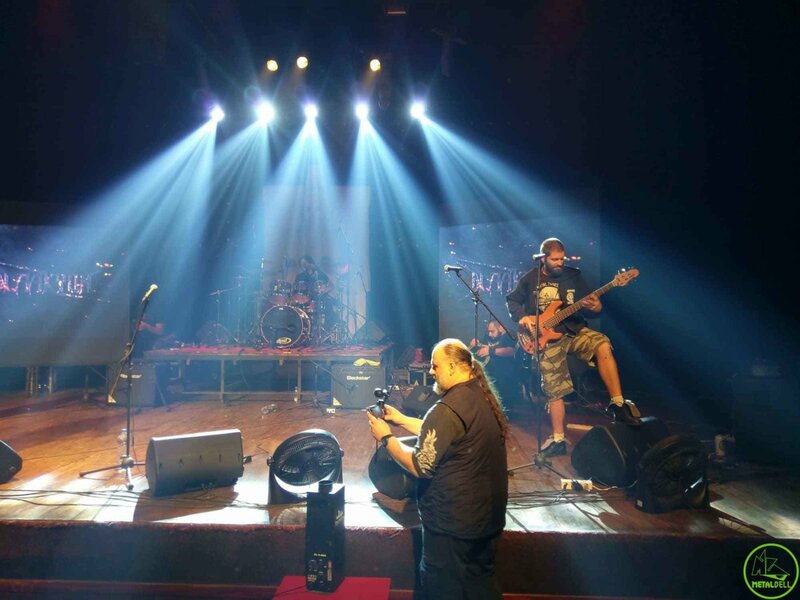 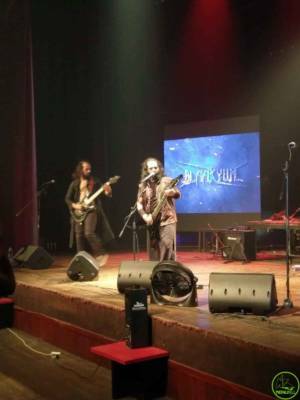 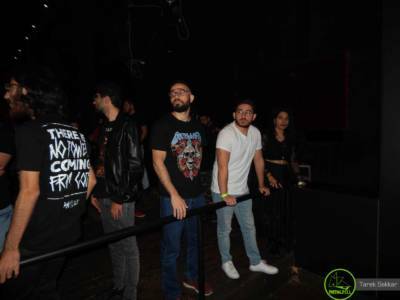 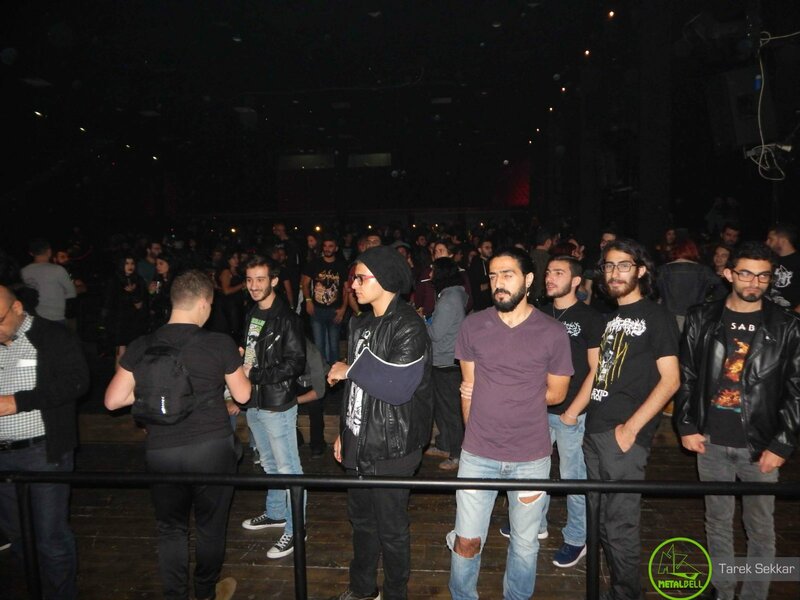 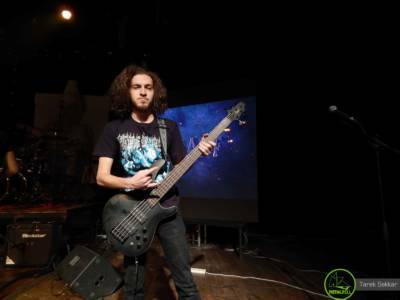 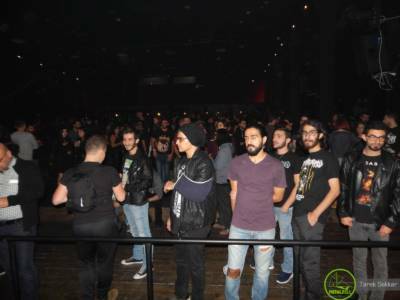 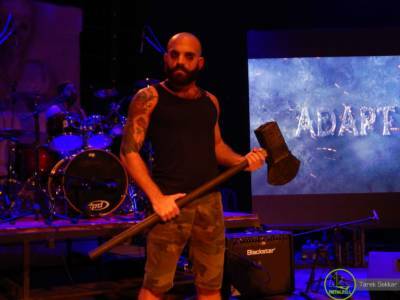 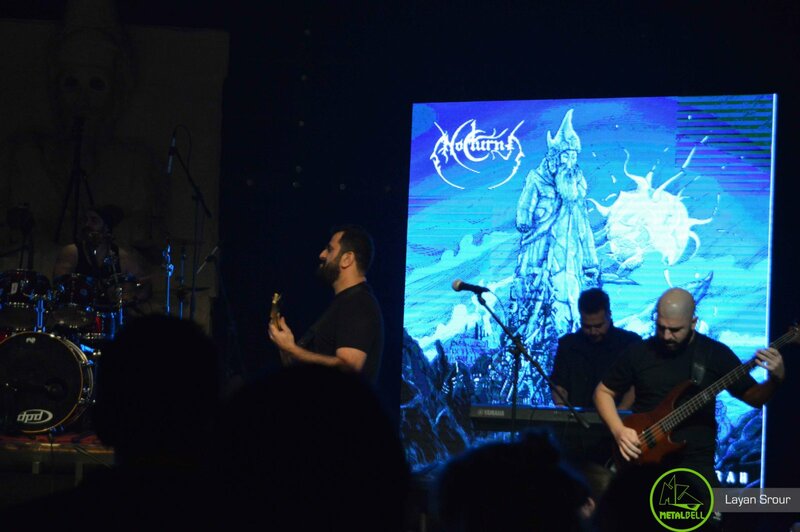 Shortly after their inception, they were part of the Rock Insight event That One Night III at Metro al Madina on November 11th, 2017, and on May 5th, 2018, they partook in Metal United World Wide, an event organized by Sledgehammer Productions and presented by Metal Bell Magazine, which also took place in Metro al Madina. 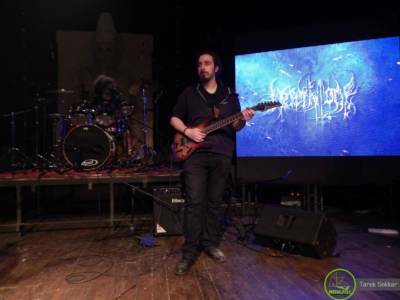 On February 4th, 2018, they released their first ever single: “Slaughter of Dreams”. 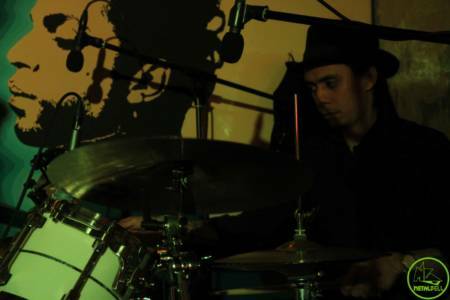 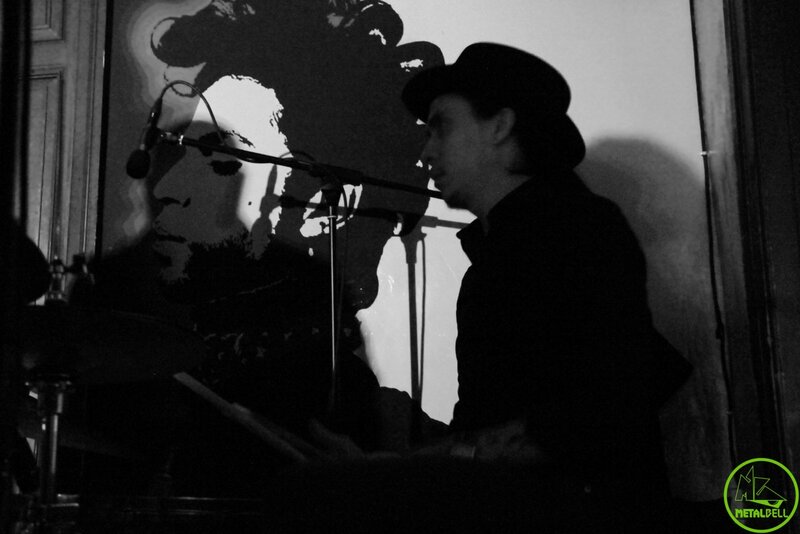 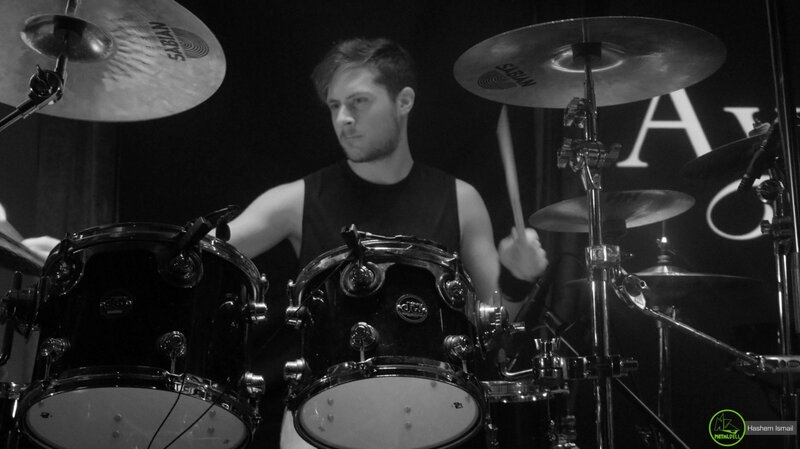 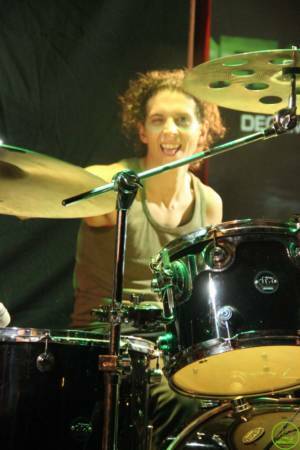 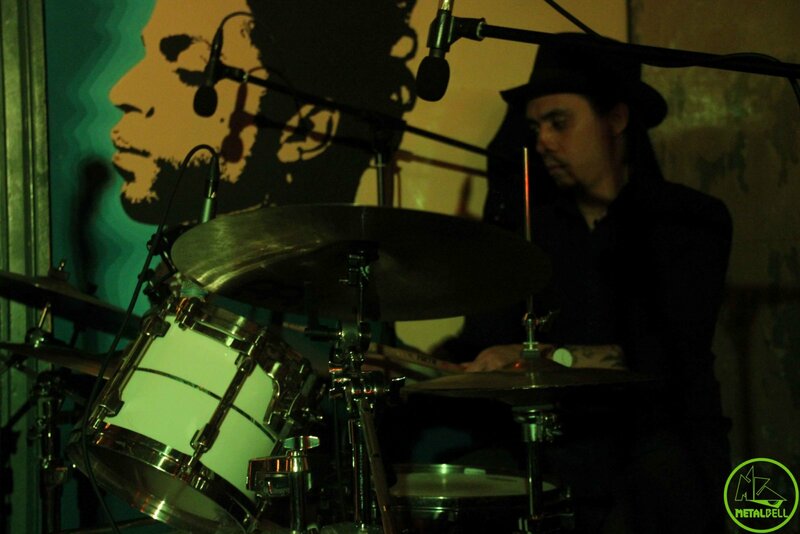 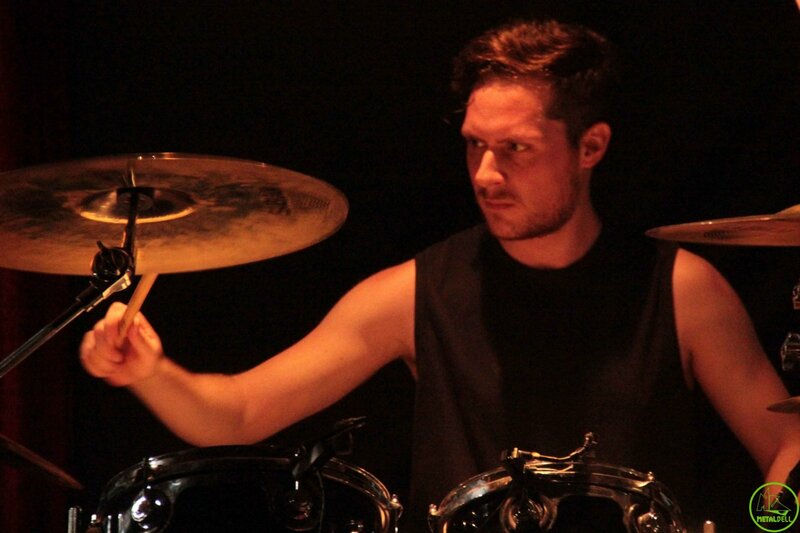 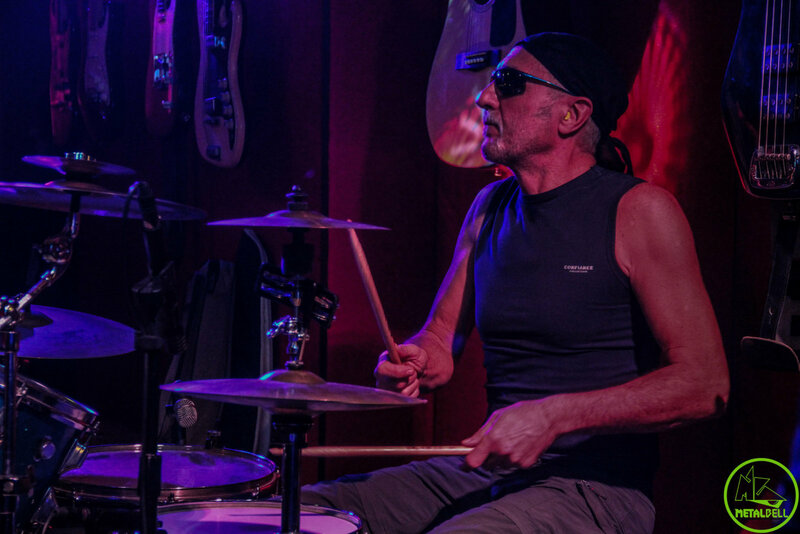 The song featured the legendary Derek Roddy on drums. 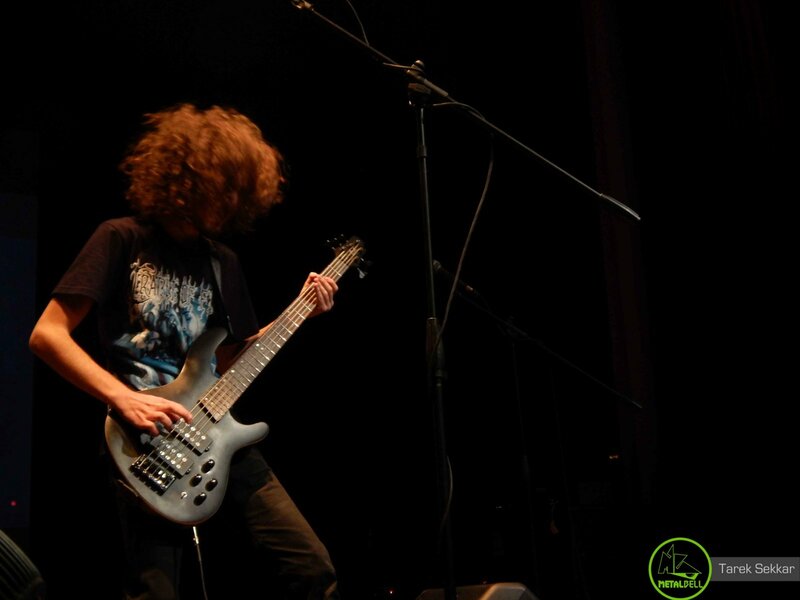 Roddy was previously part of the American Death Metal band Nile, the American Death Metal band Hate Eternal, and more. 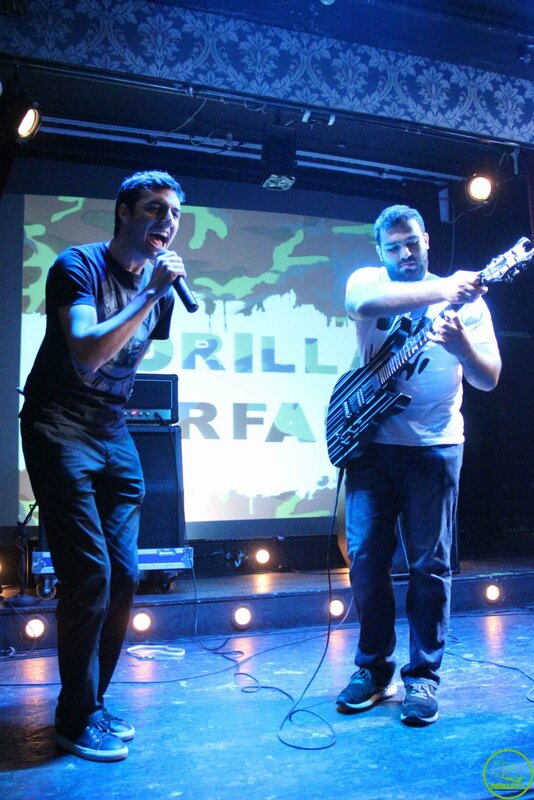 After the release of their single, the band went through a change of lineup. 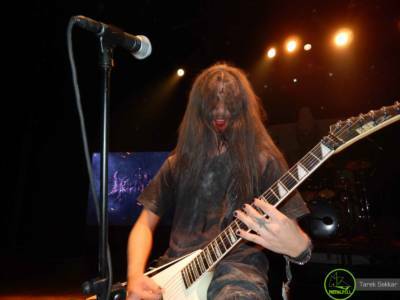 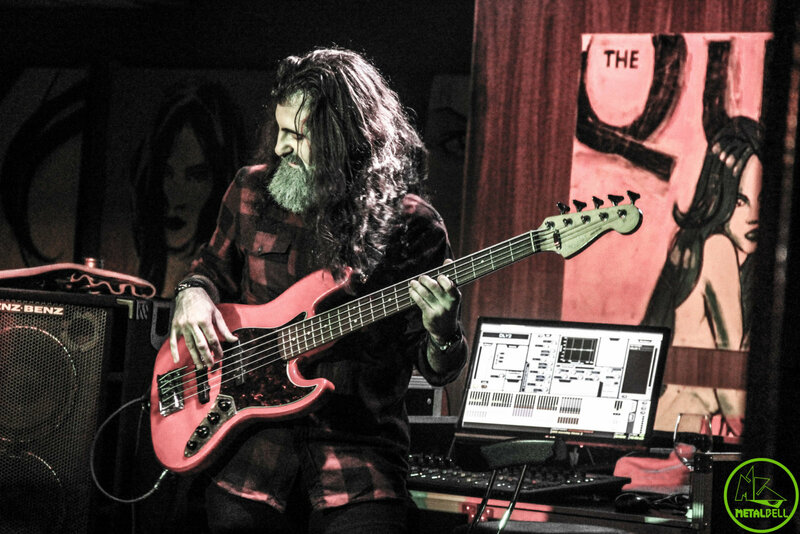 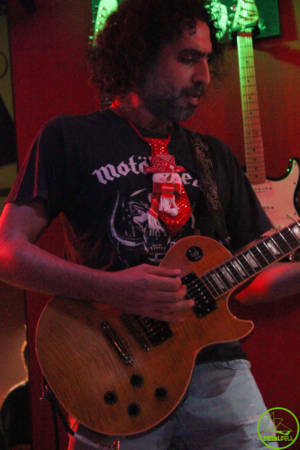 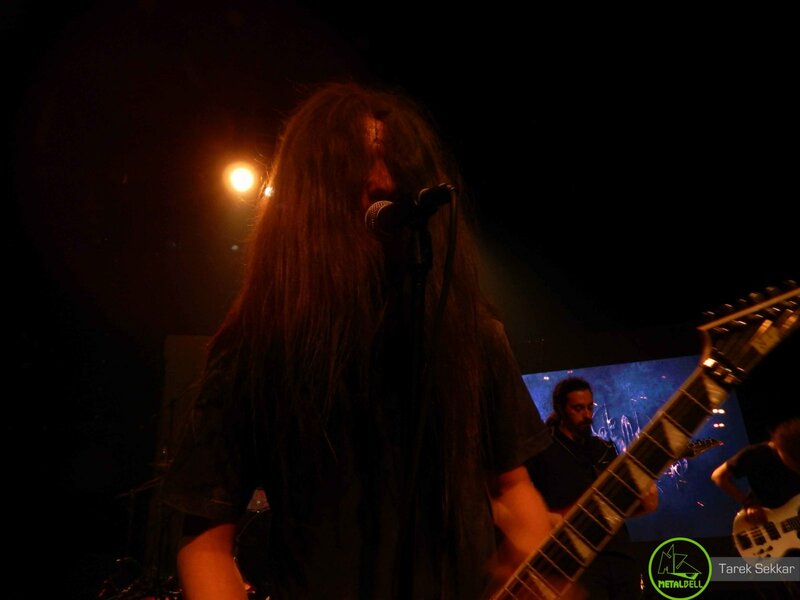 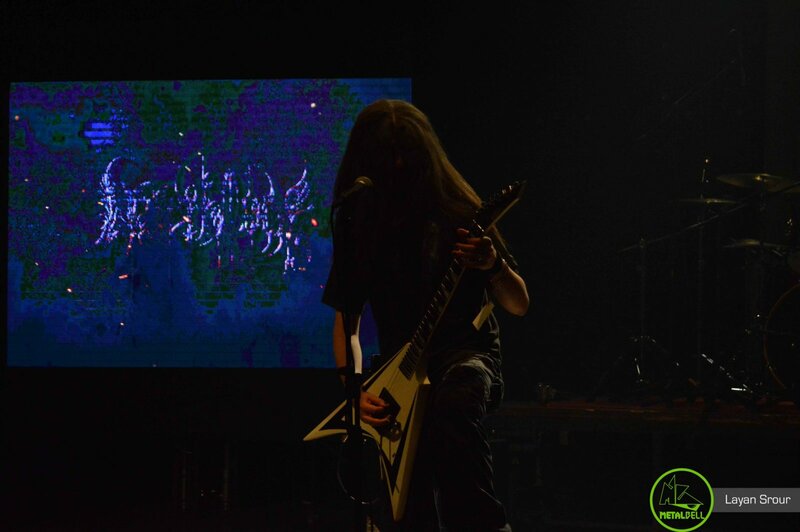 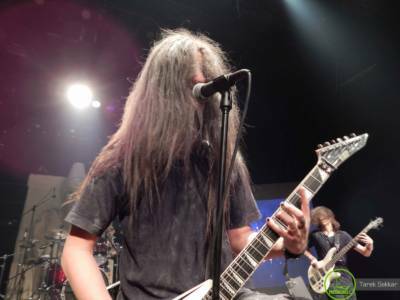 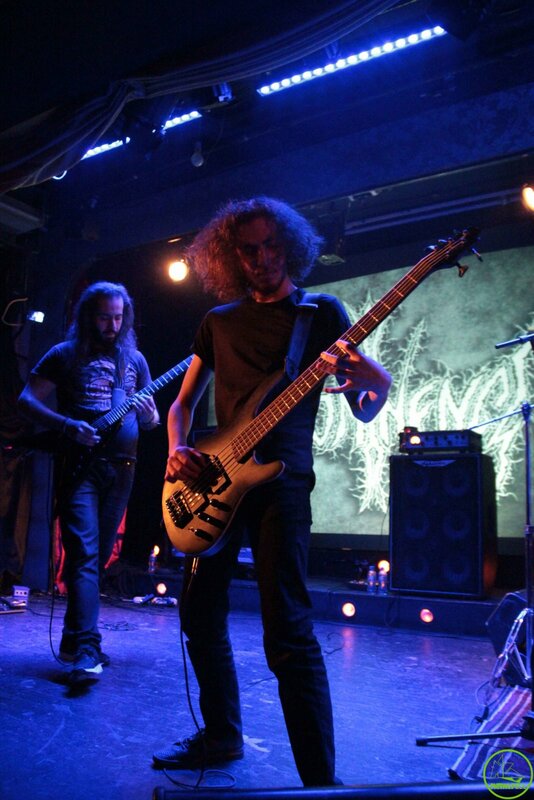 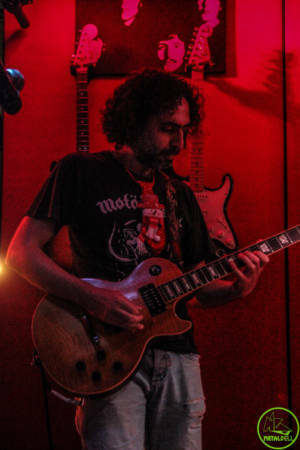 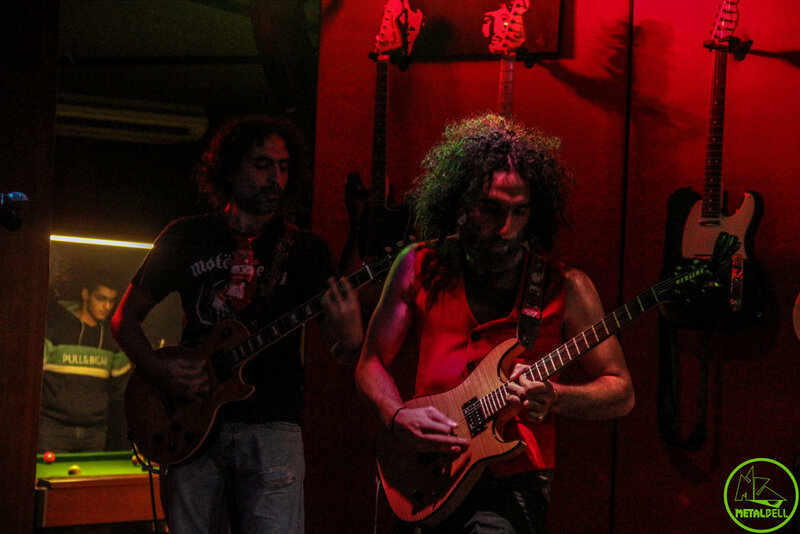 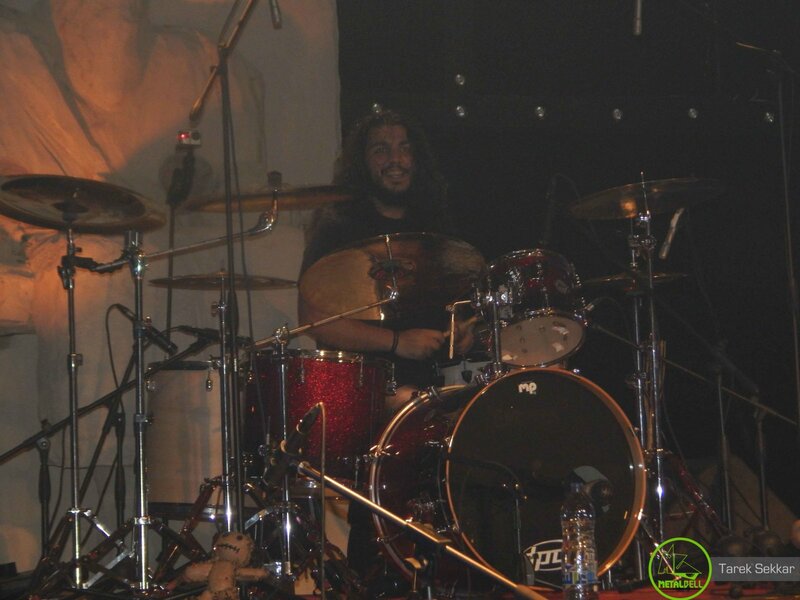 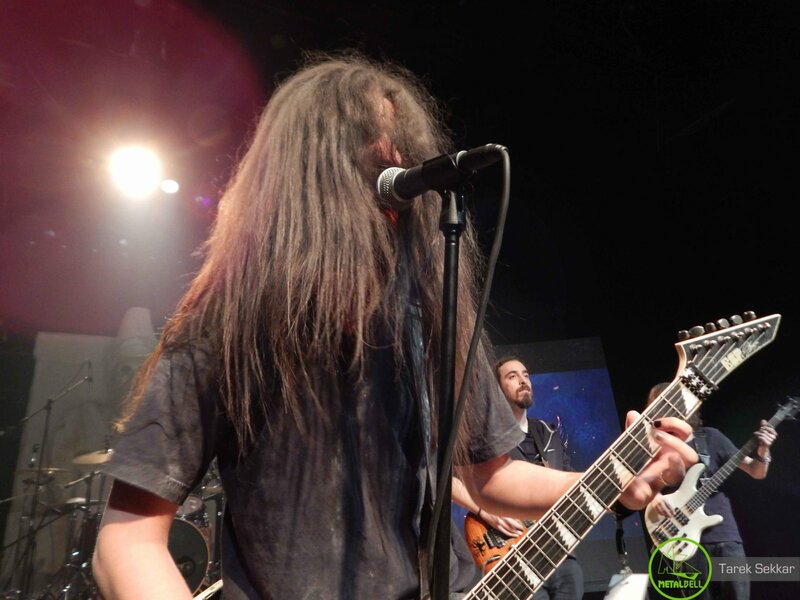 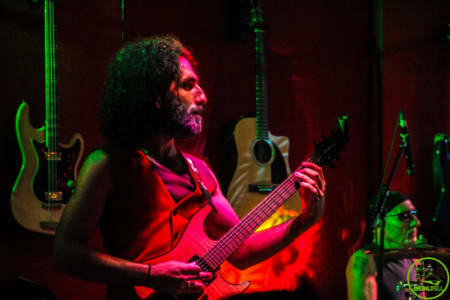 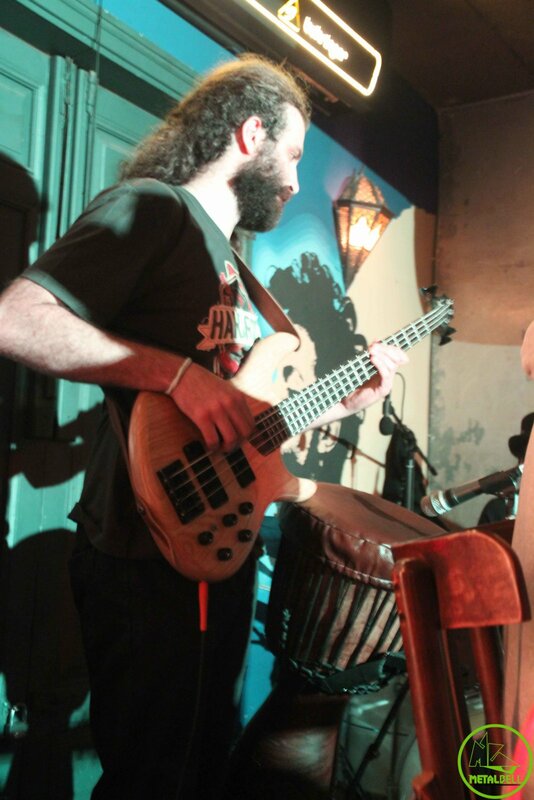 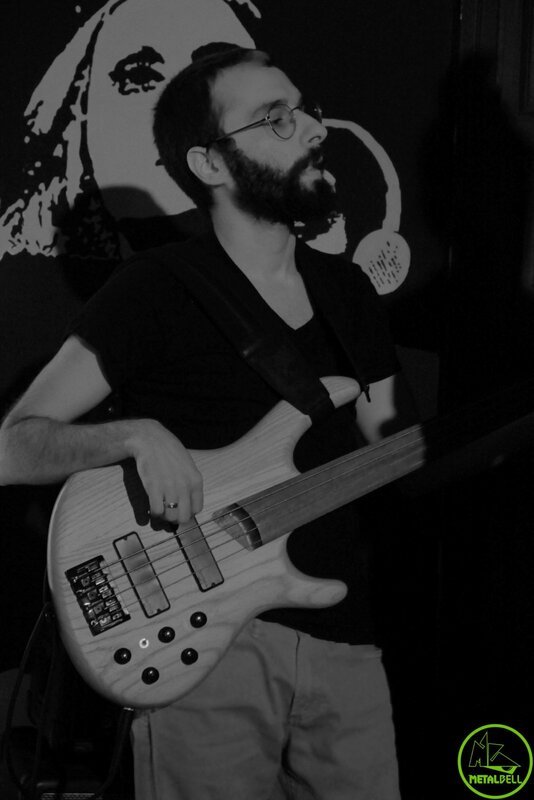 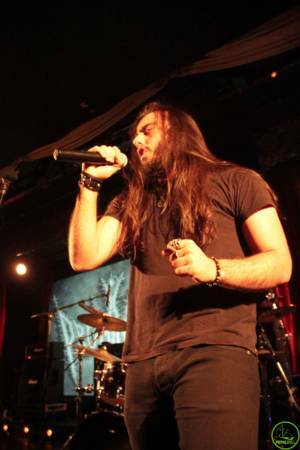 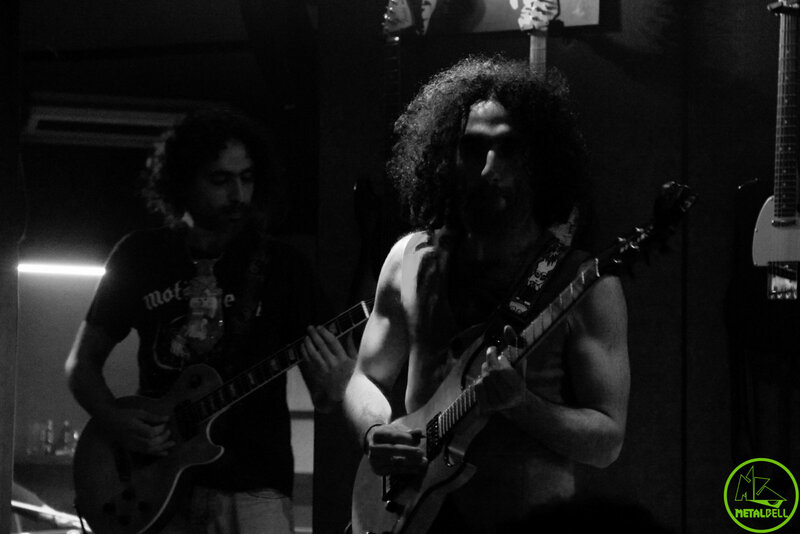 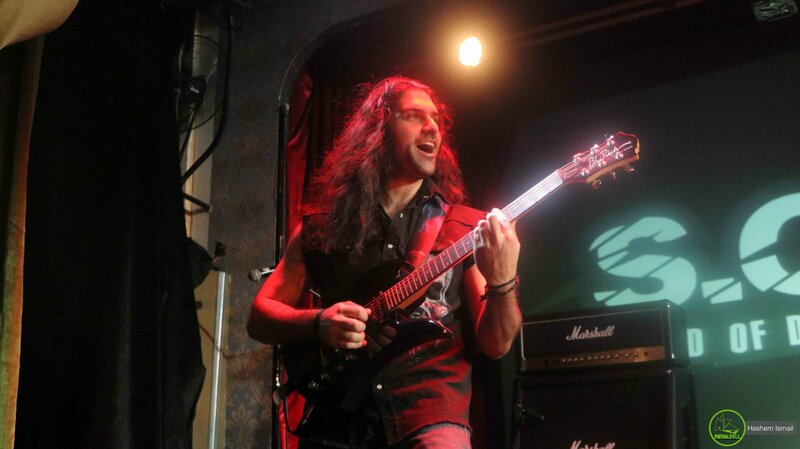 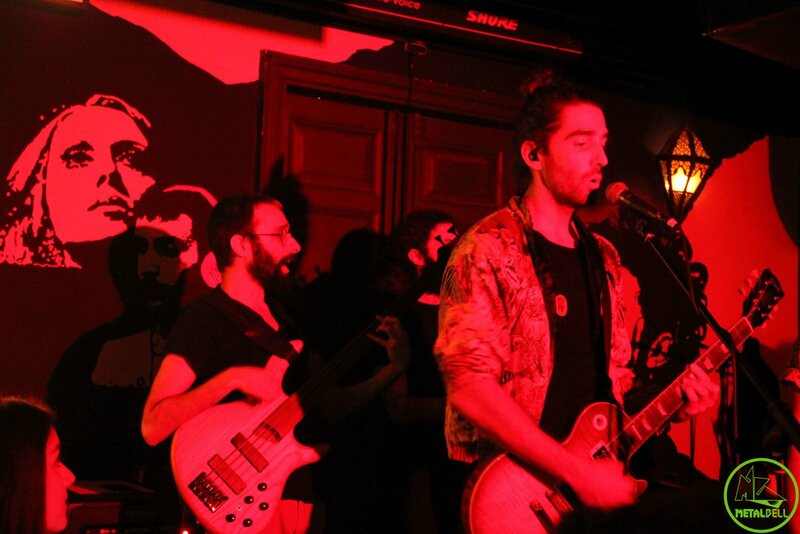 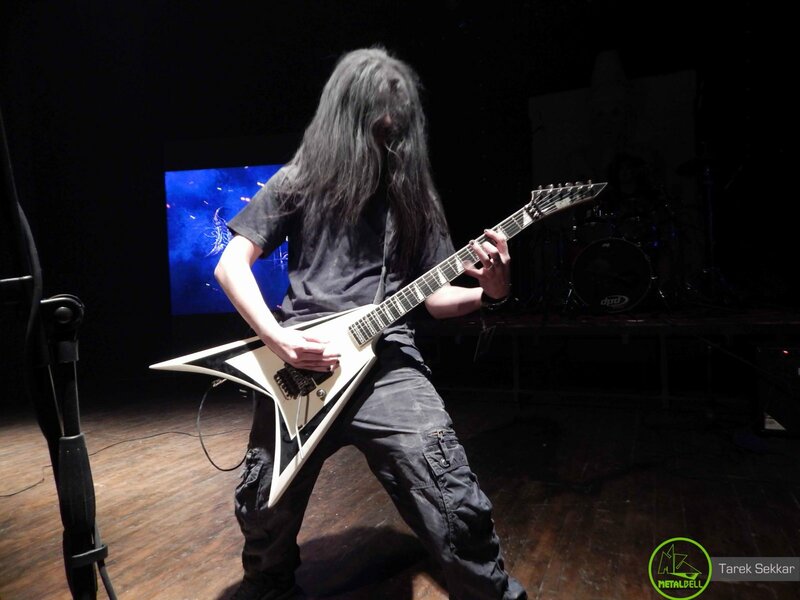 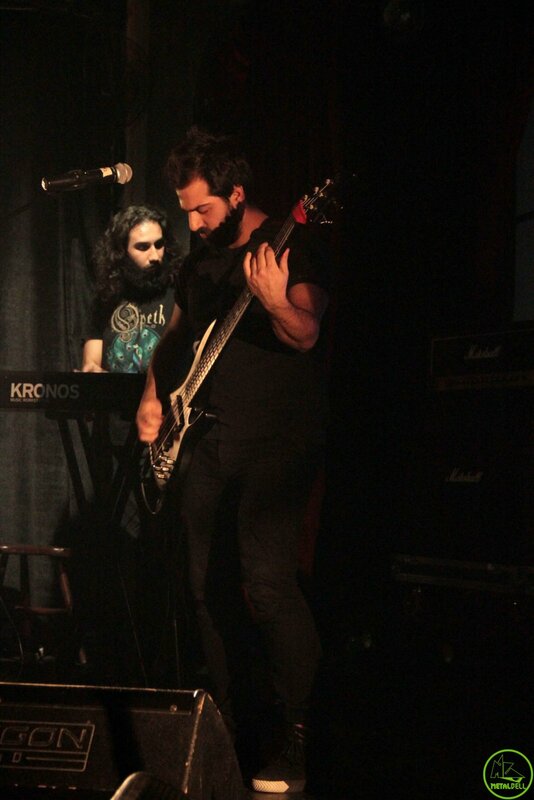 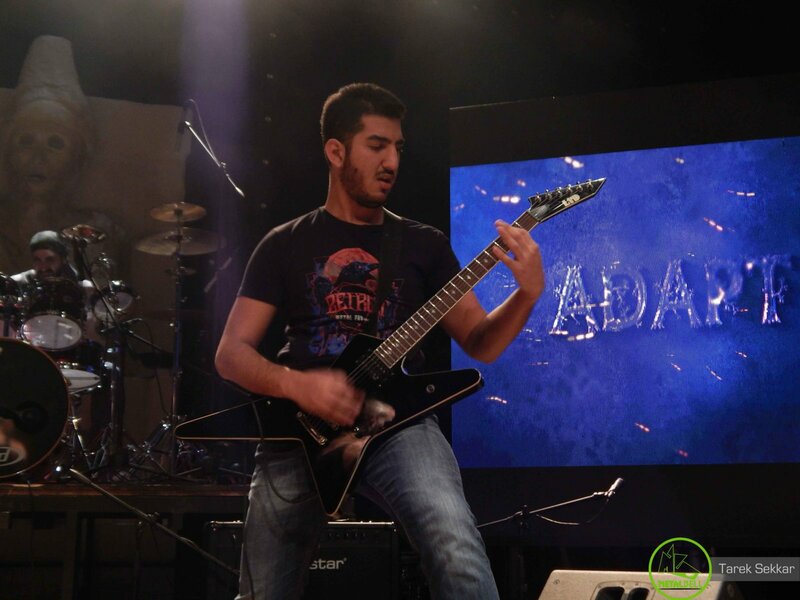 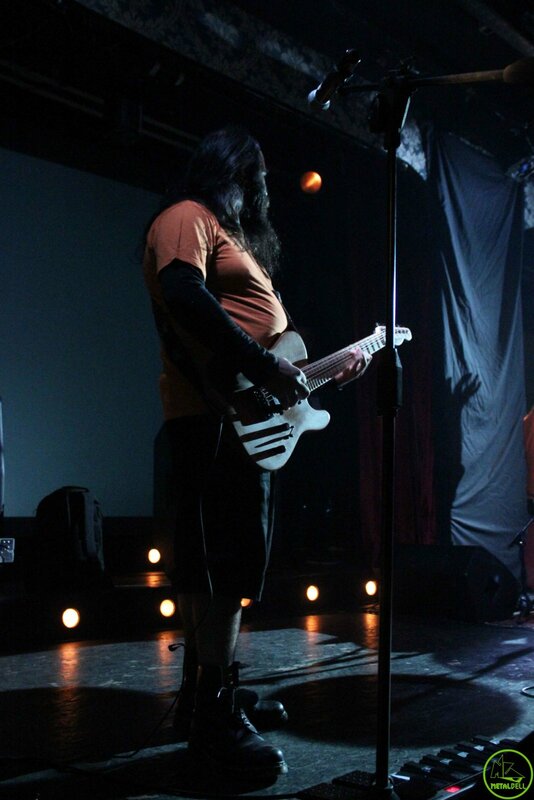 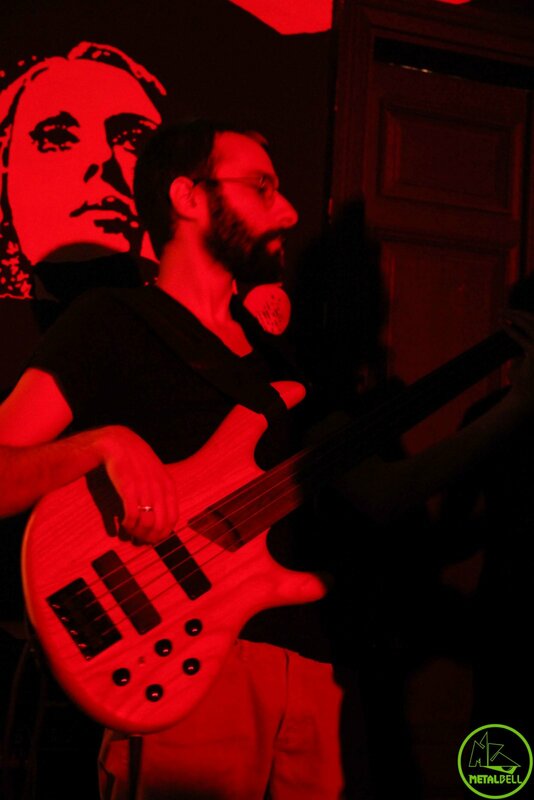 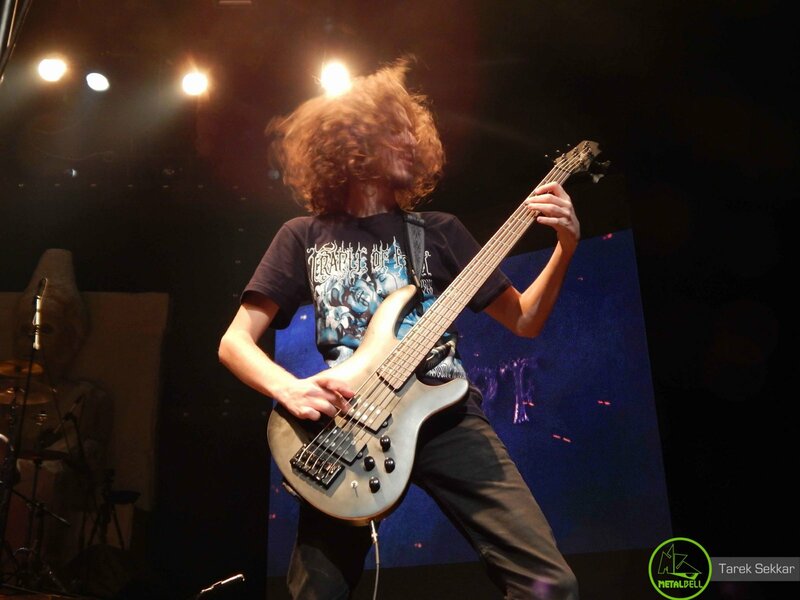 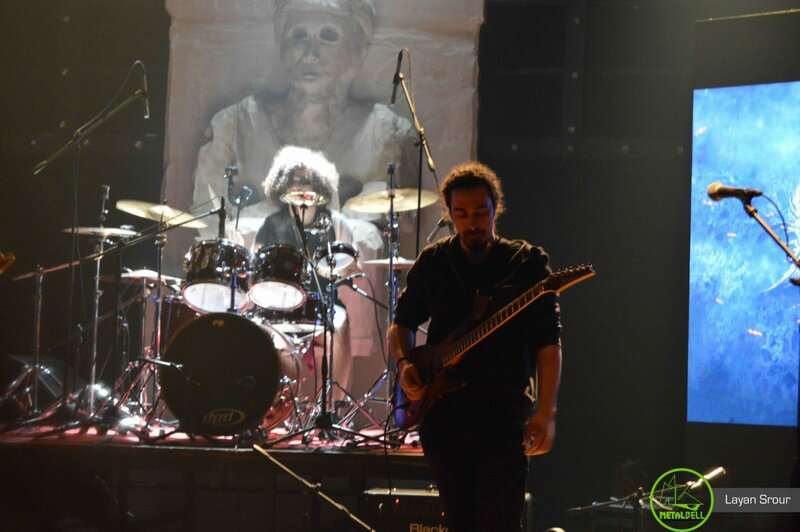 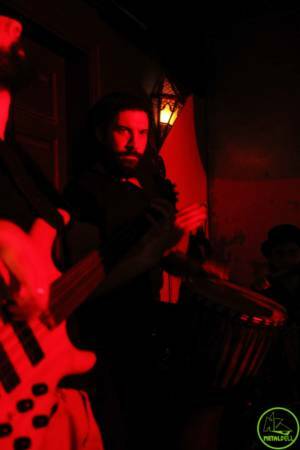 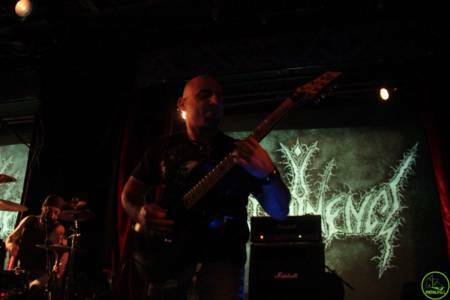 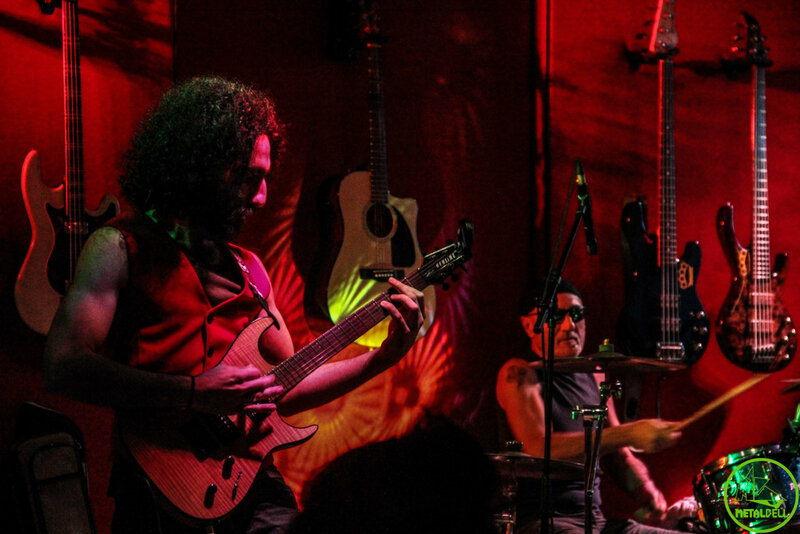 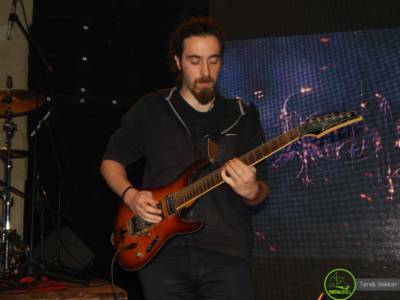 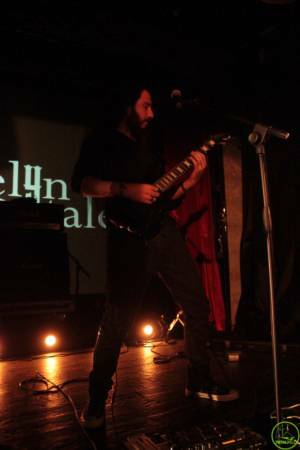 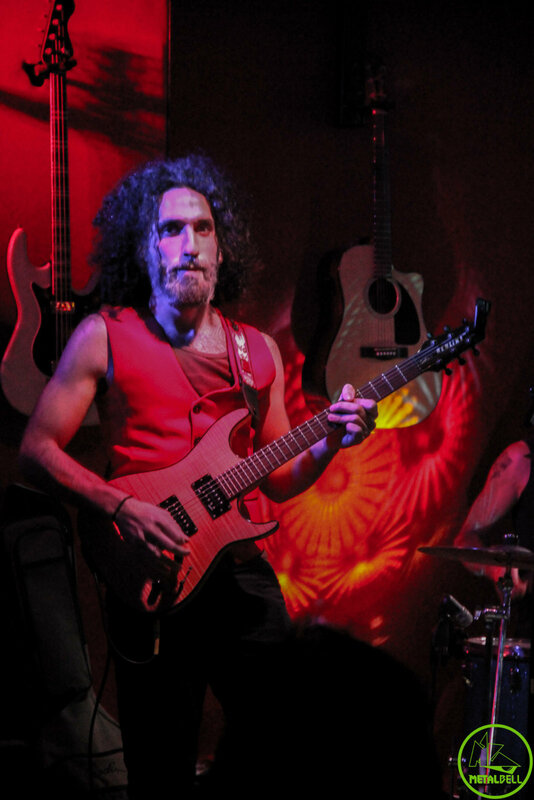 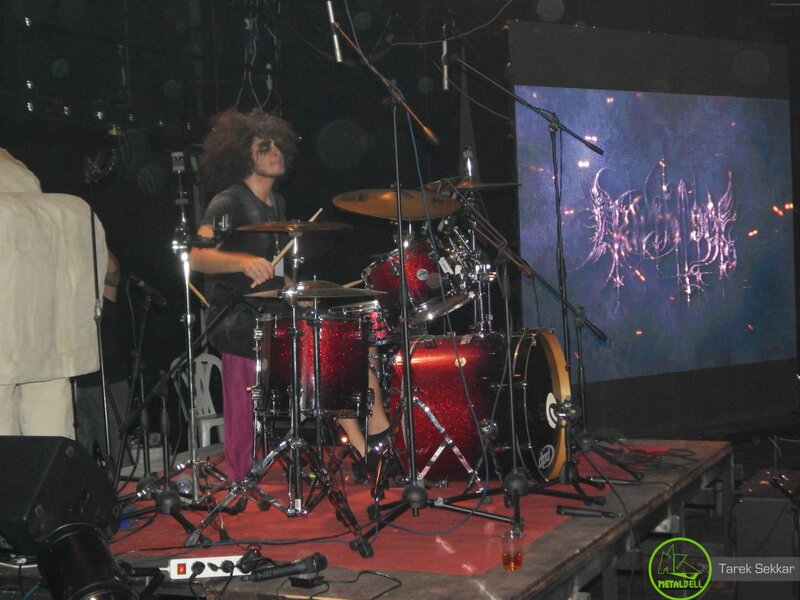 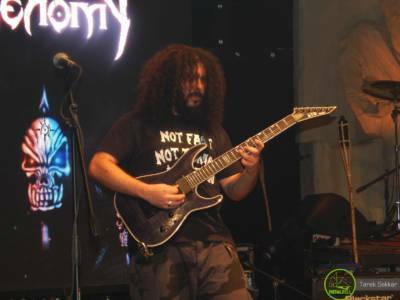 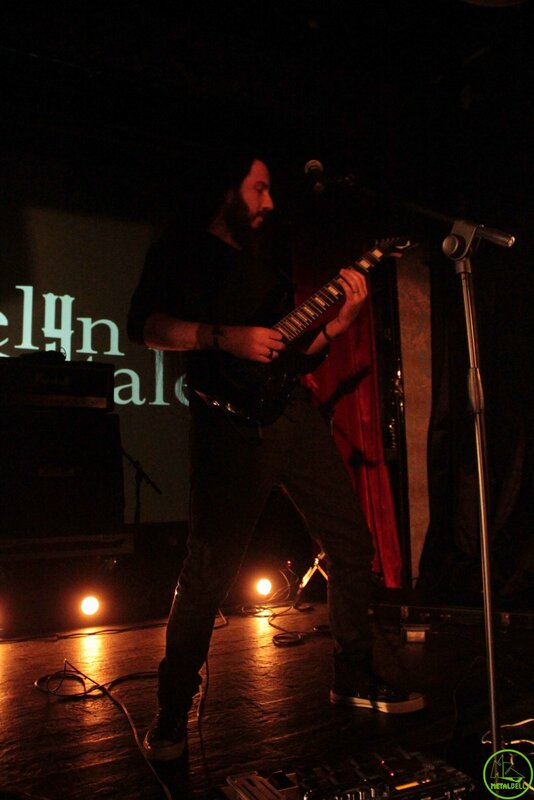 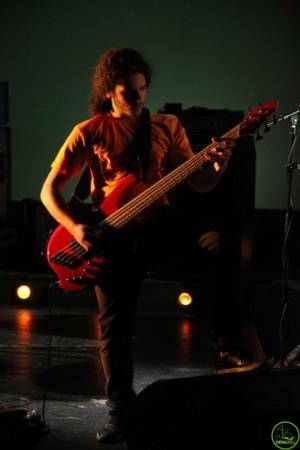 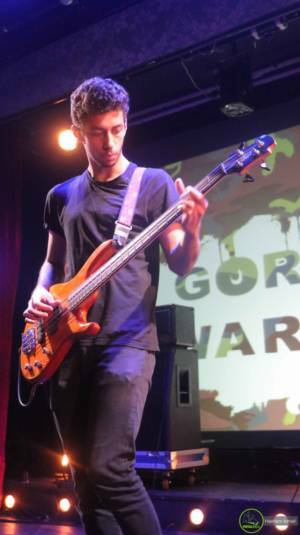 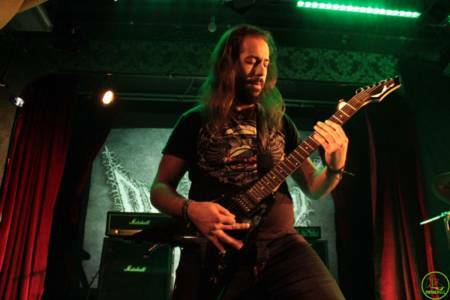 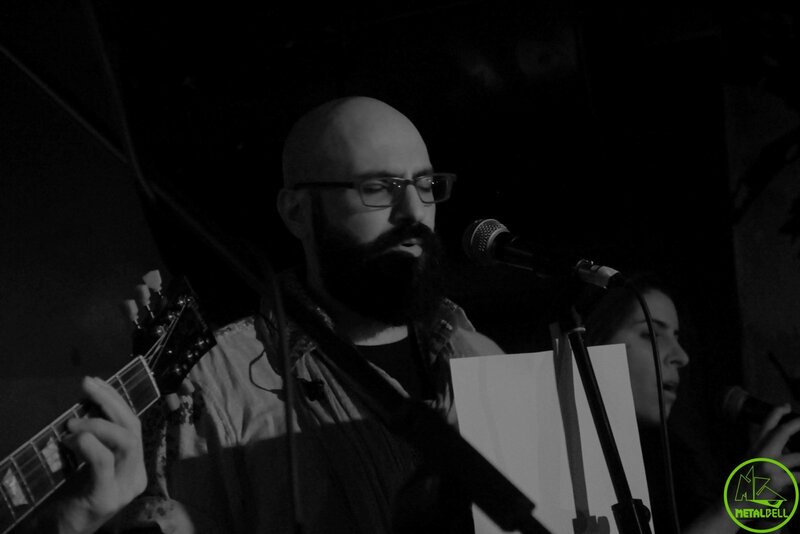 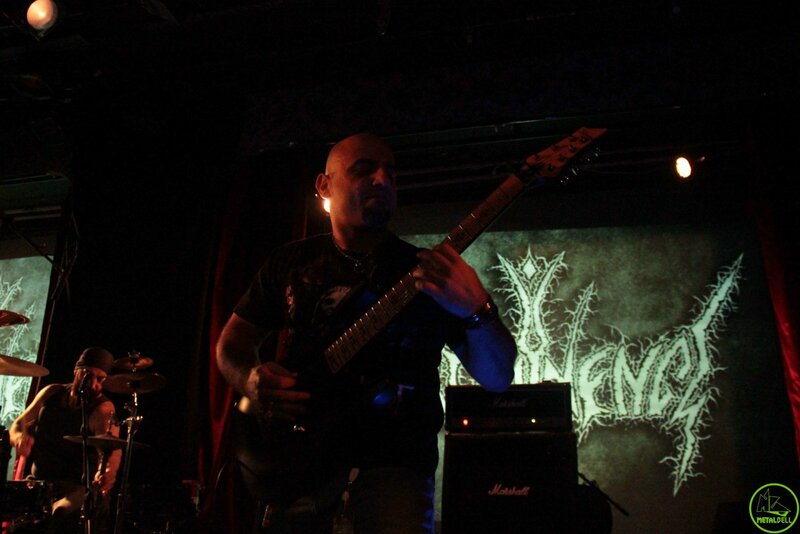 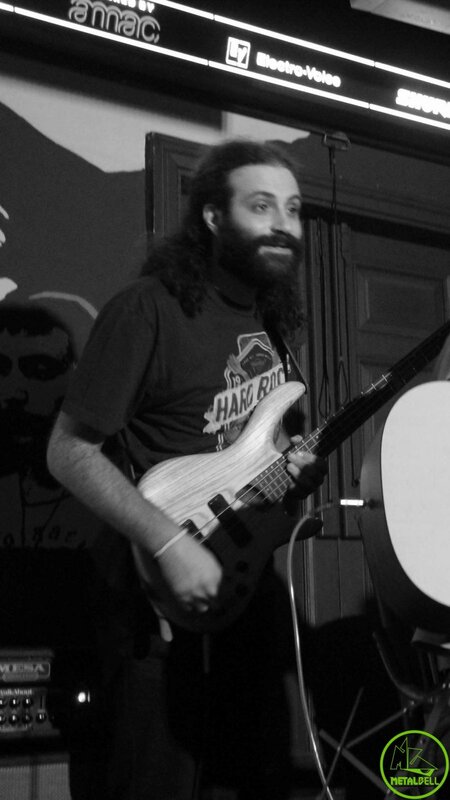 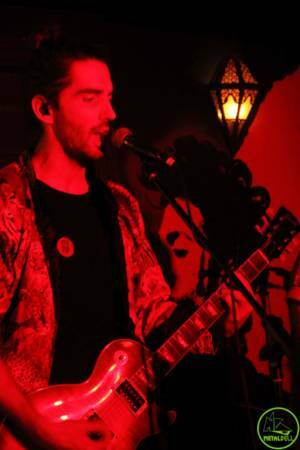 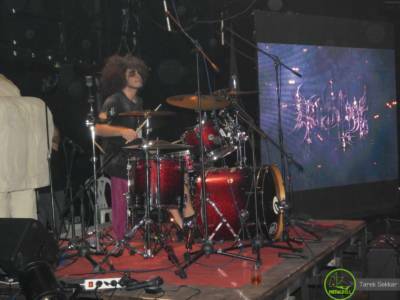 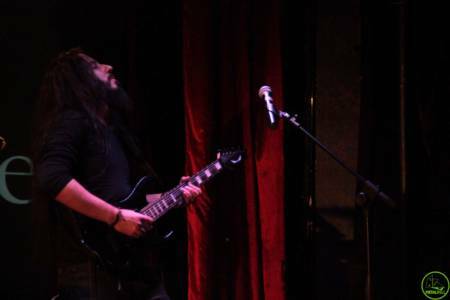 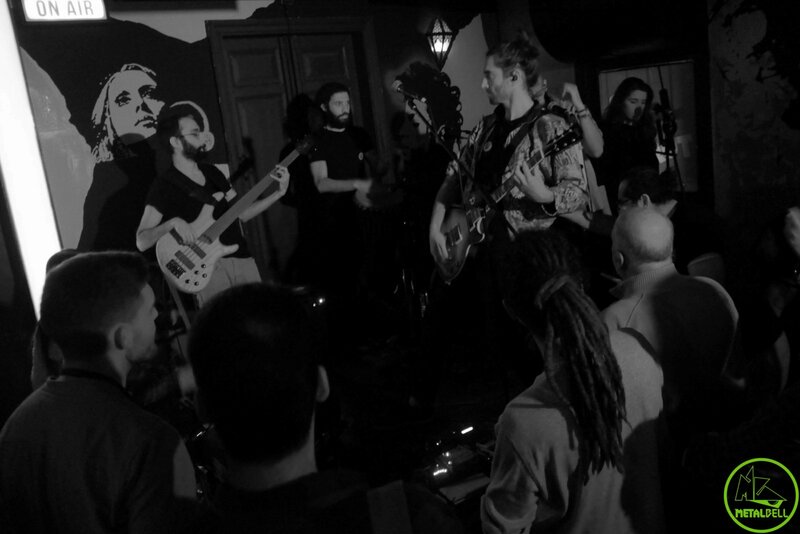 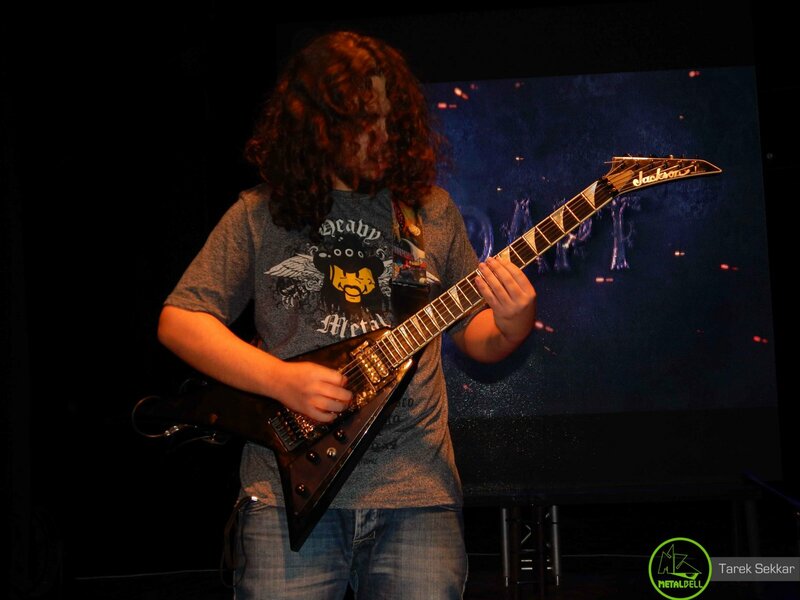 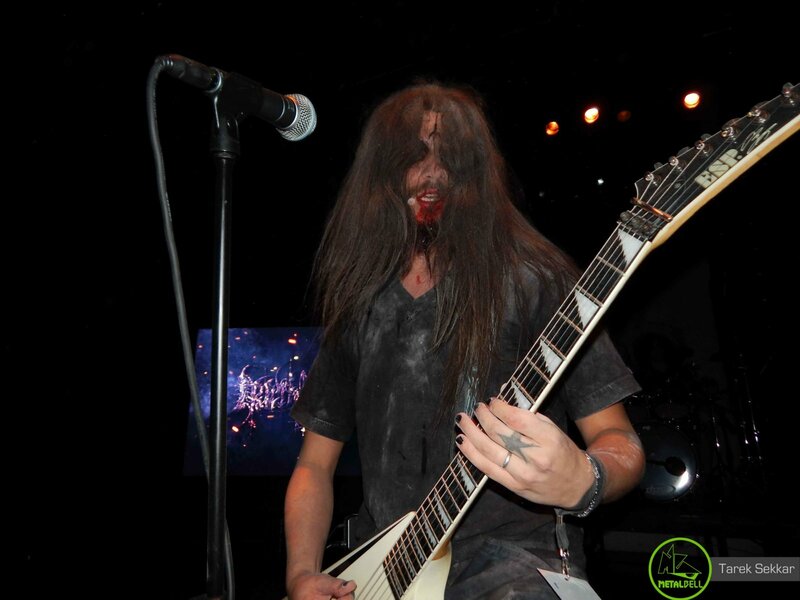 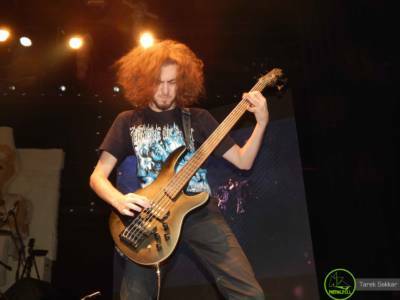 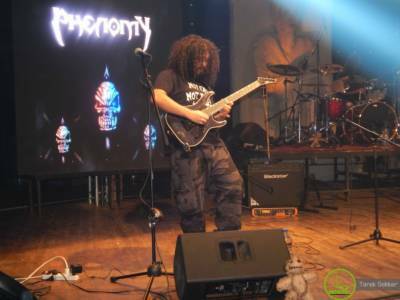 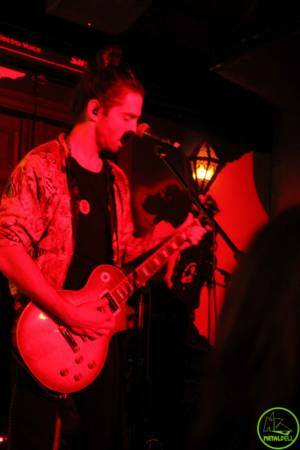 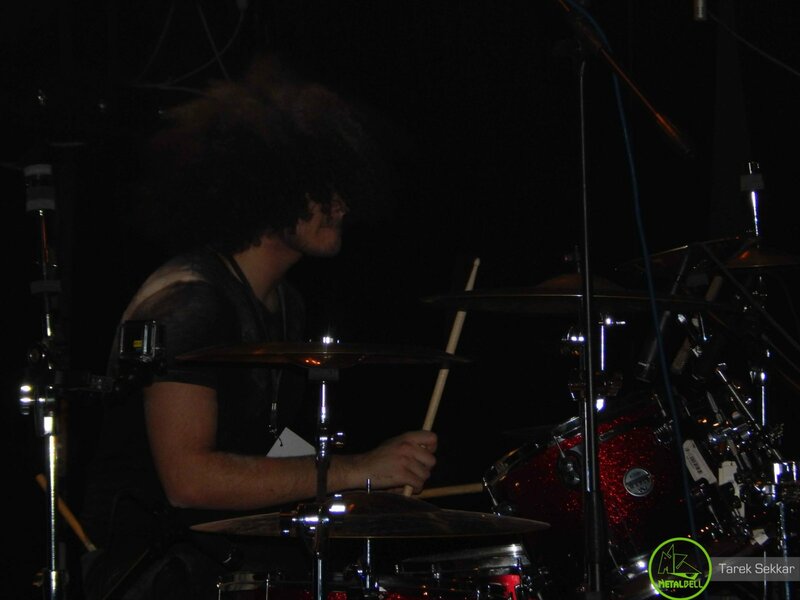 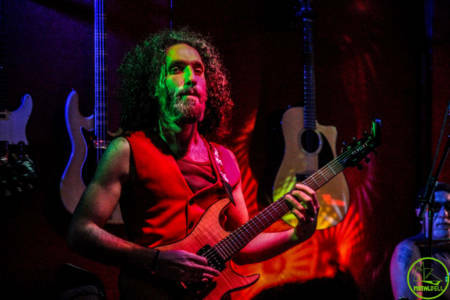 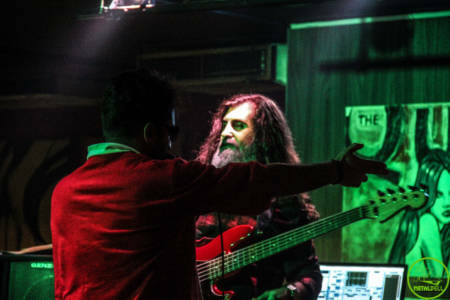 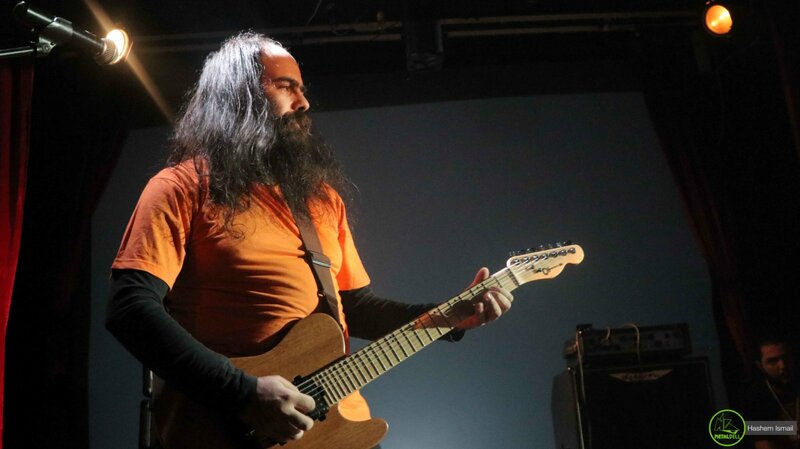 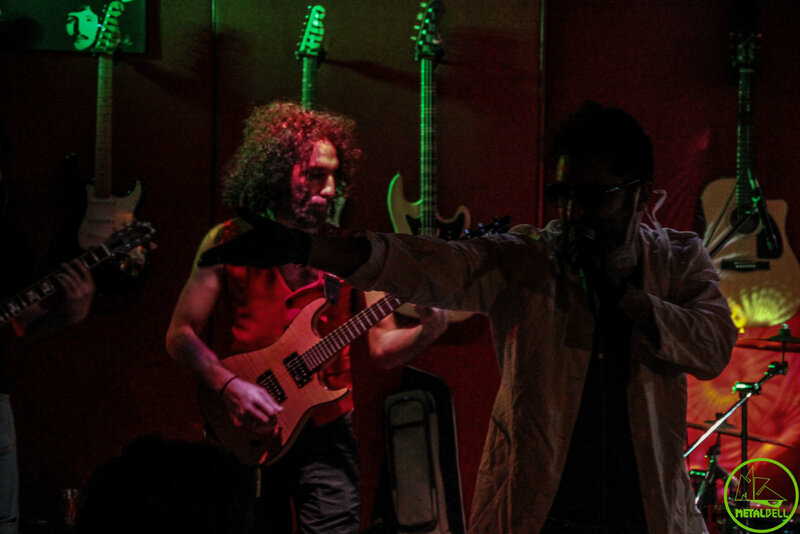 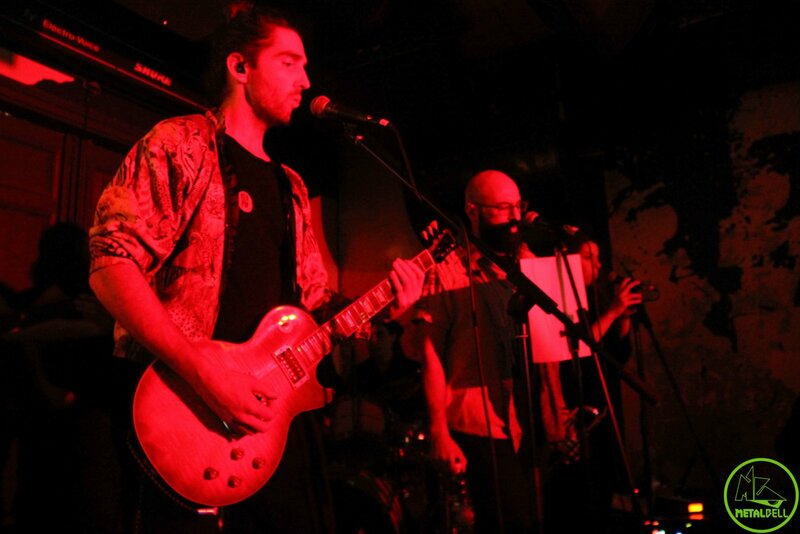 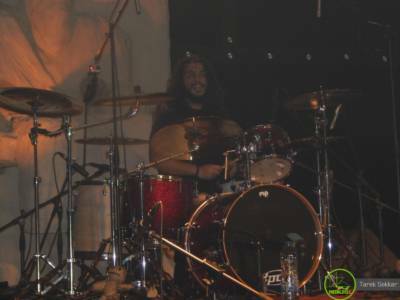 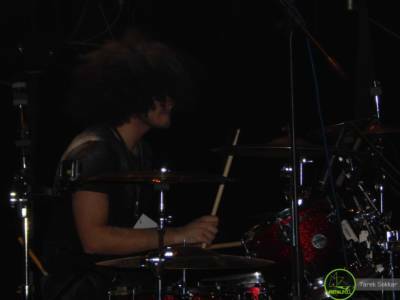 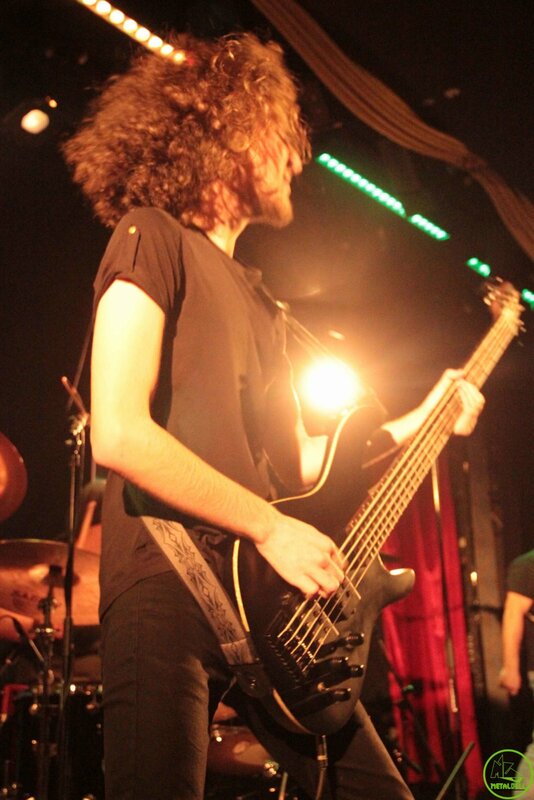 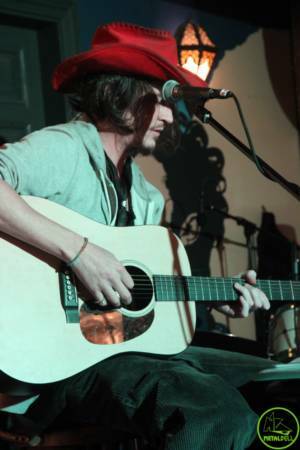 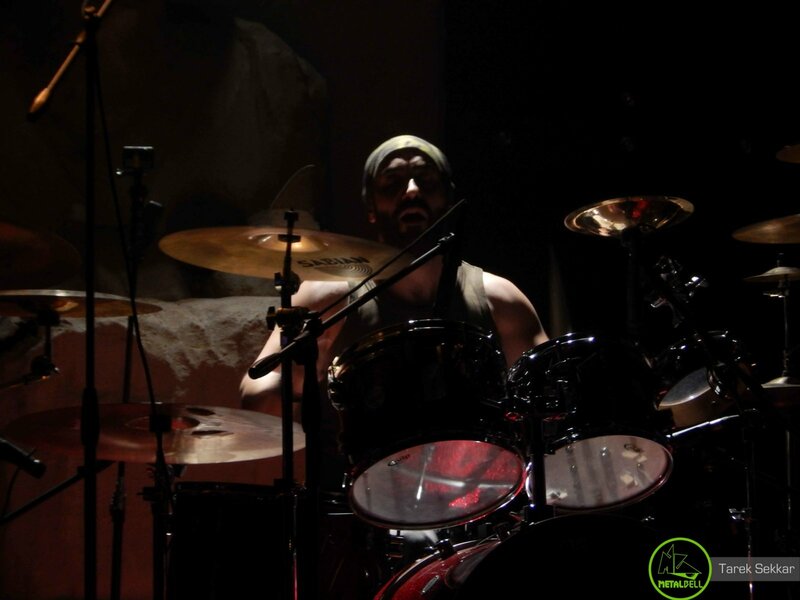 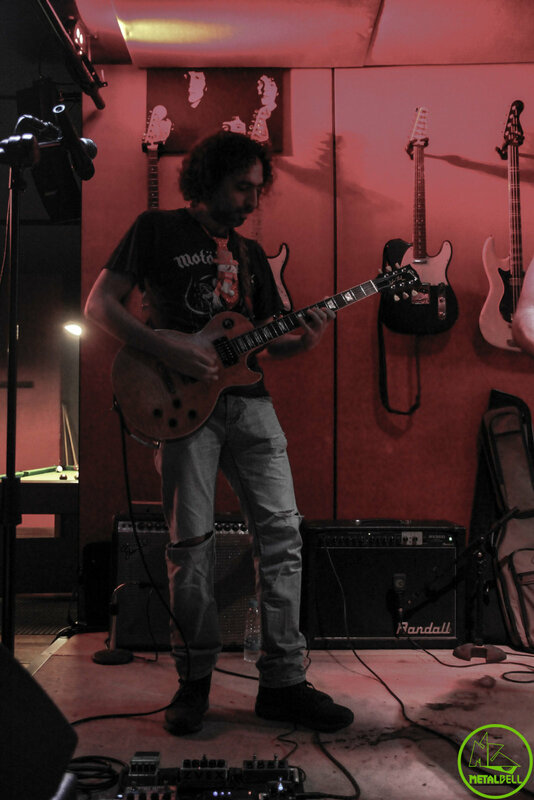 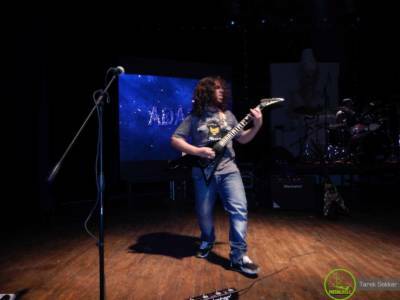 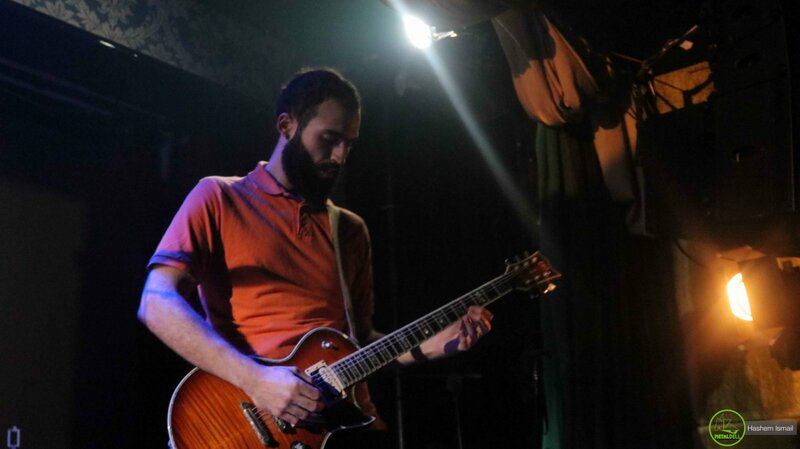 Maurice Semaan joined as their new guitarist as well as composer of their originals following “Slaughter of Dreams”. 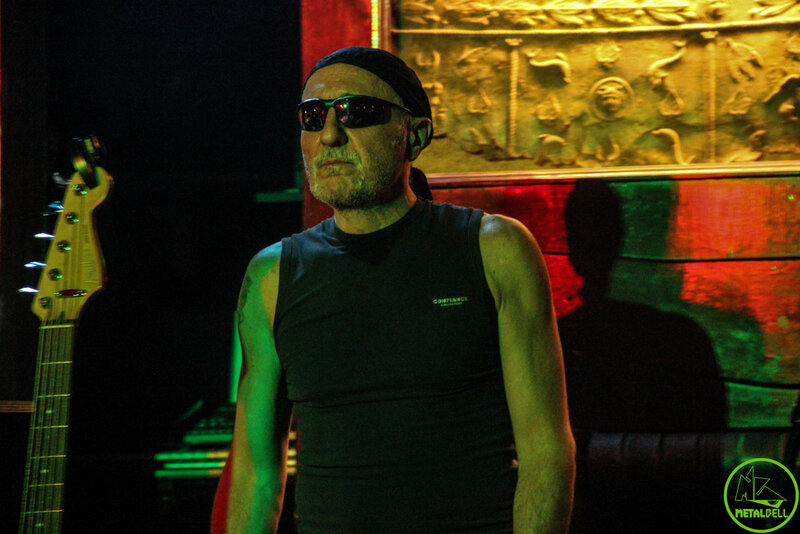 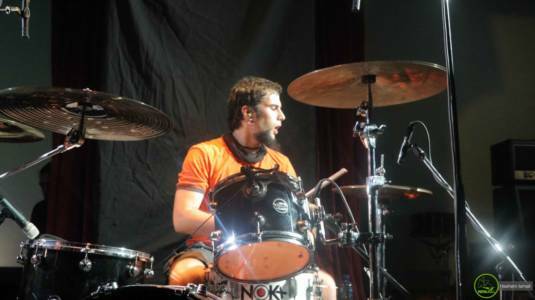 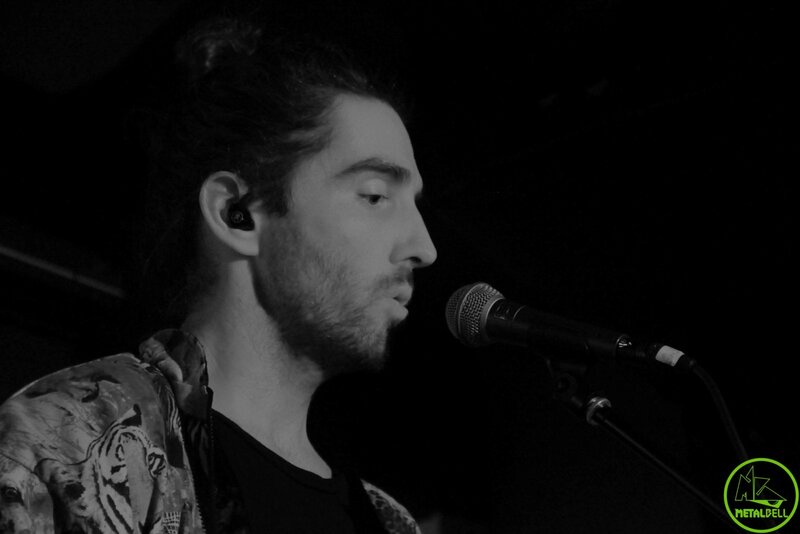 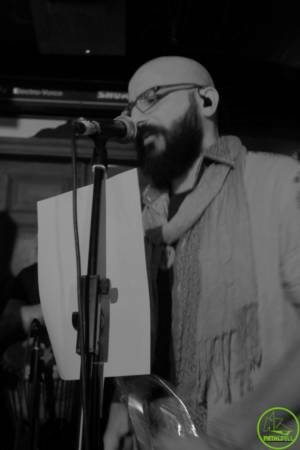 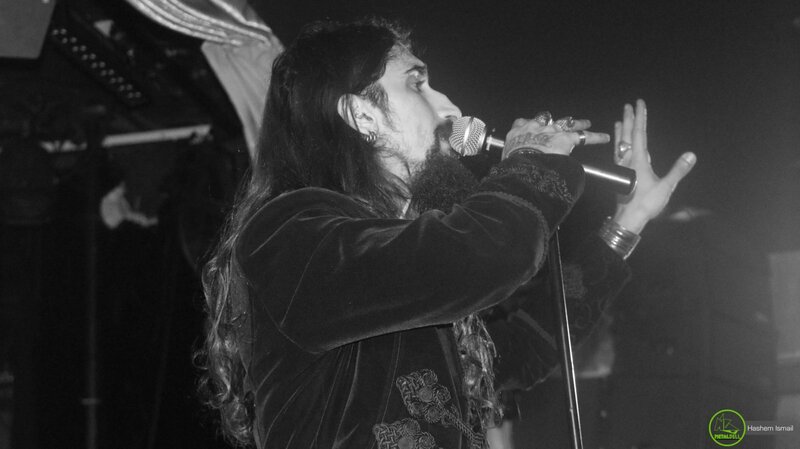 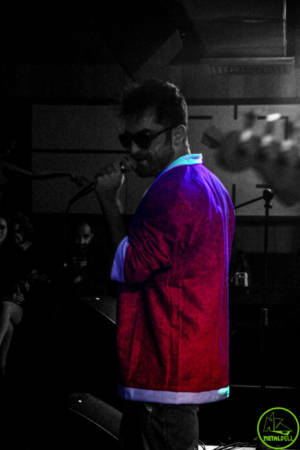 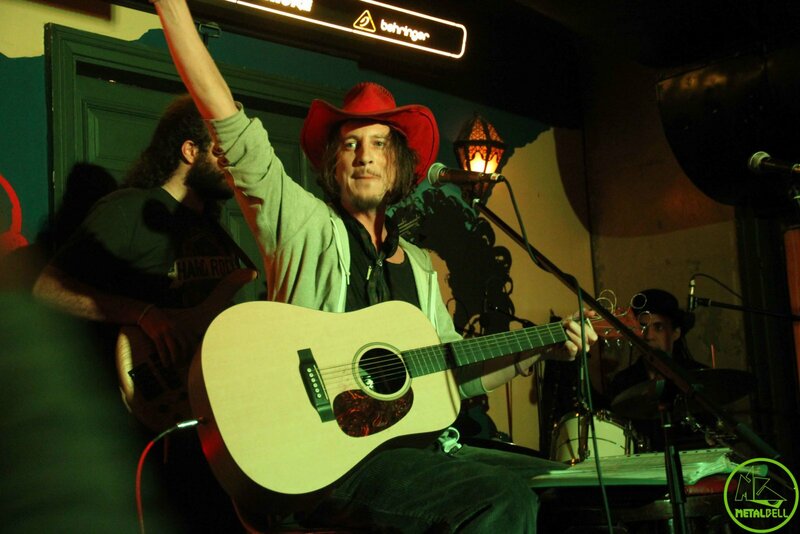 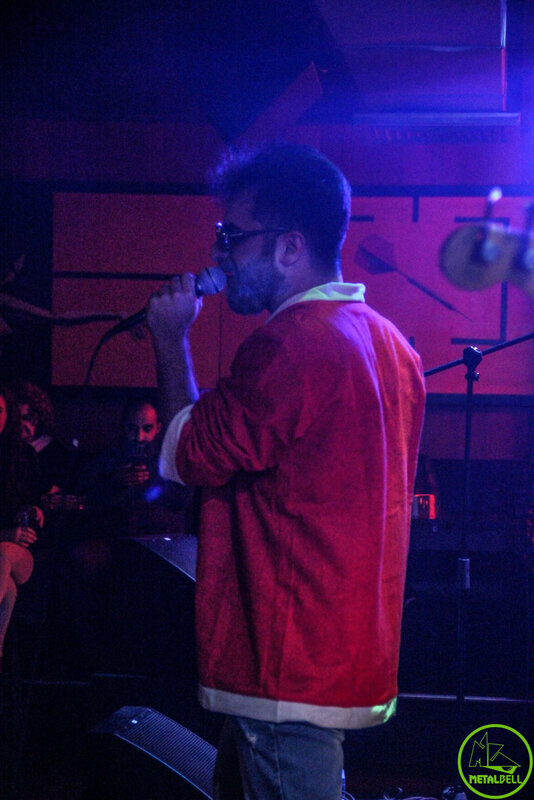 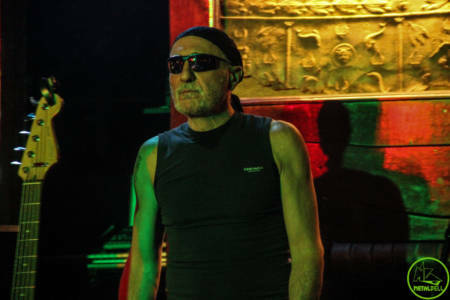 Nareg Cherchian, their vocalist, became responsible for the lyrics. 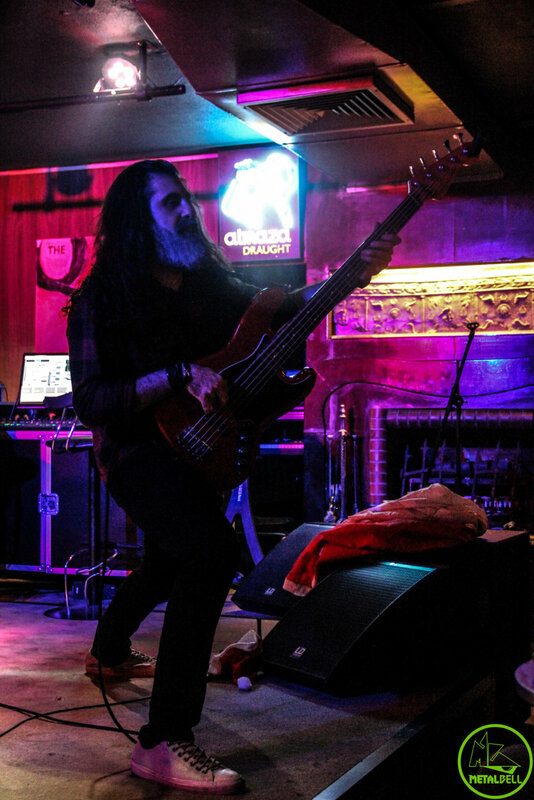 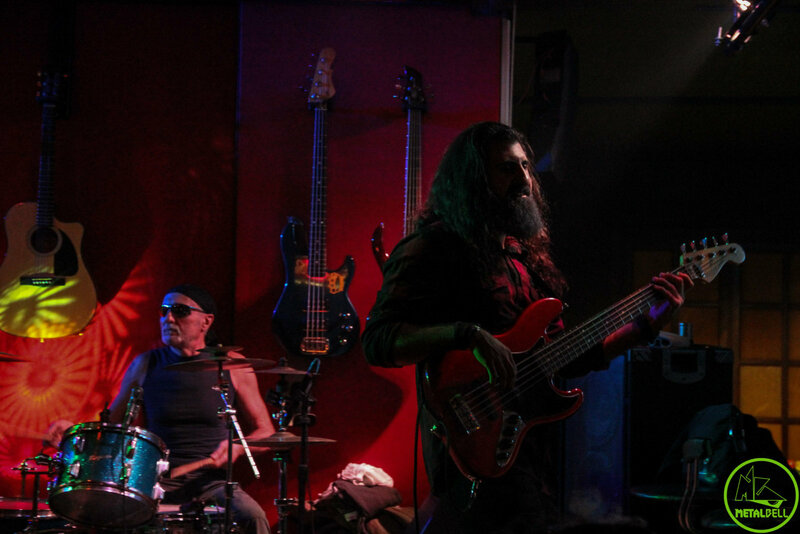 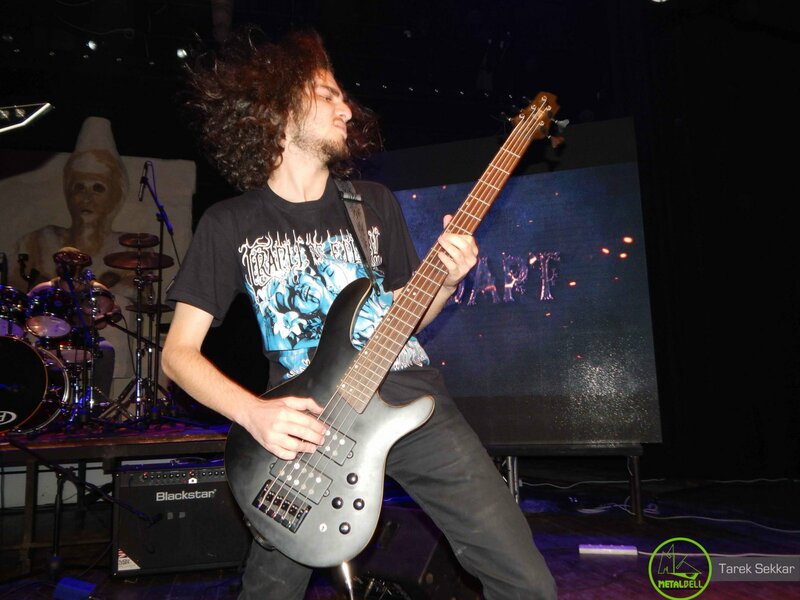 As for the rest of the band, Serge Ashjian took over the bass, Monir (Matt) Lawand the rhythm guitar, and Sam Baghdo will be on the drums during the upcoming Metal Bell 6th Anniversary event. 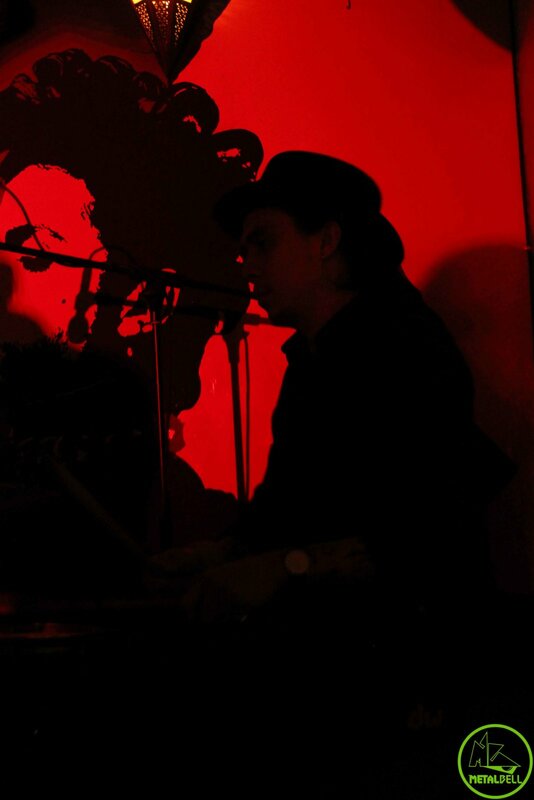 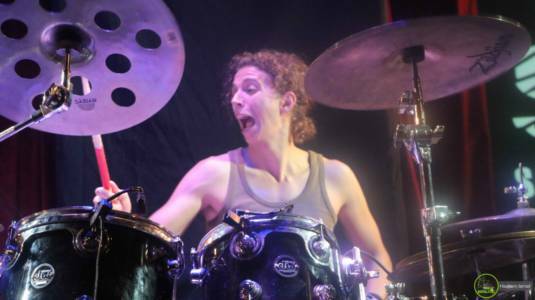 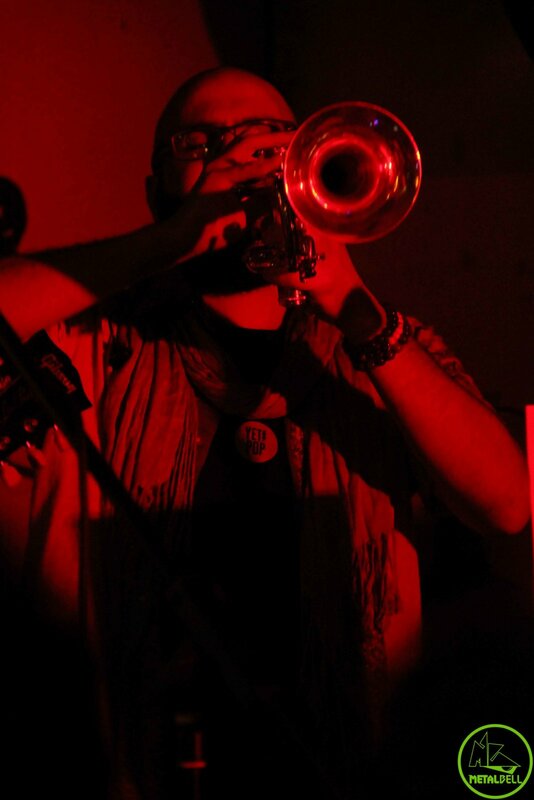 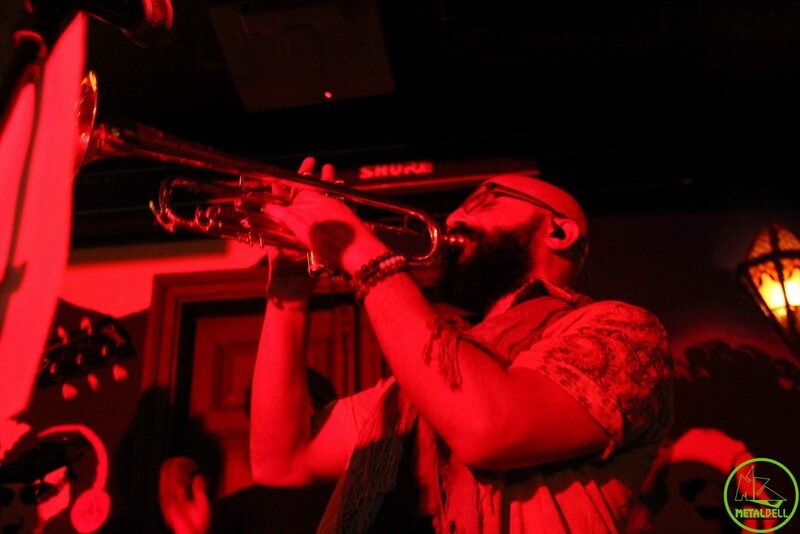 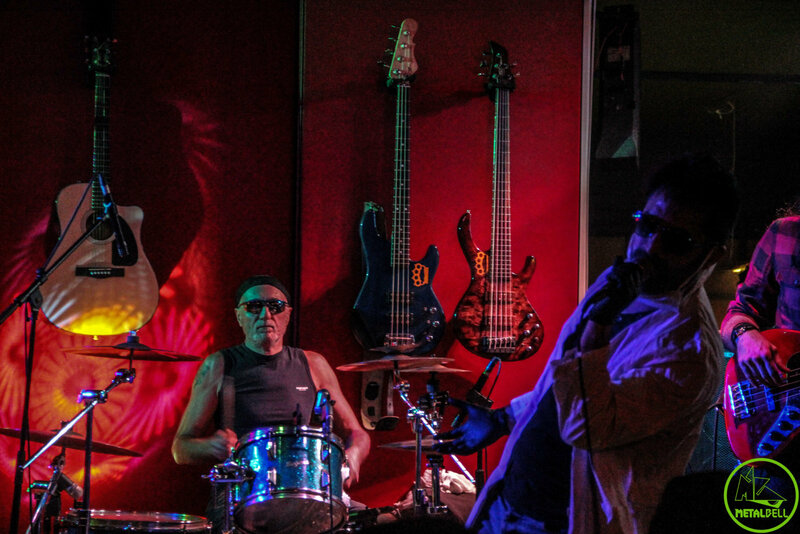 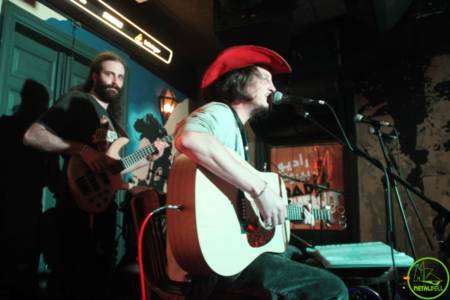 Each member of the band has his own distinct musical influences. 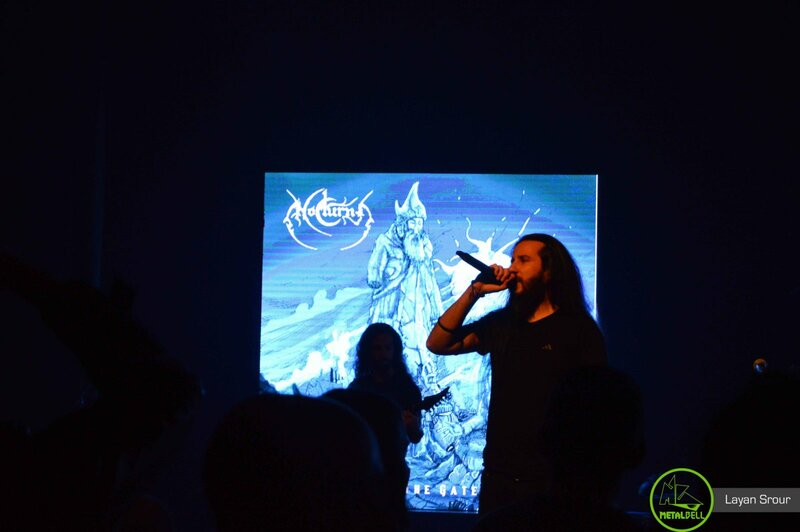 Consequently, the original material that they are working on strays away from “traditional” Death Metal towards something more multidimensional. They are currently working on their EP titled “Sepulchered”. 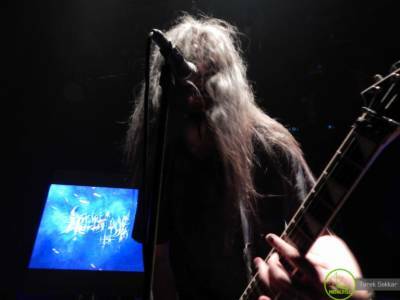 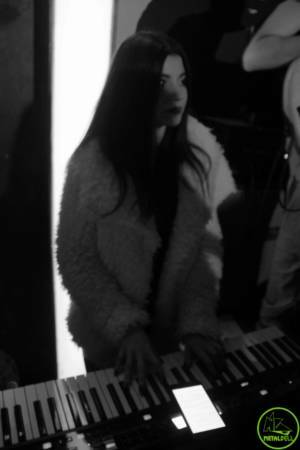 Two of its tracks were already recorded: “Sepulchered in Slumber” which was released on YouTube (watch video below) and Facebook in September, and Voices Reside, which was recorded in late November and will be available on YouTube after December 15th, 2018. 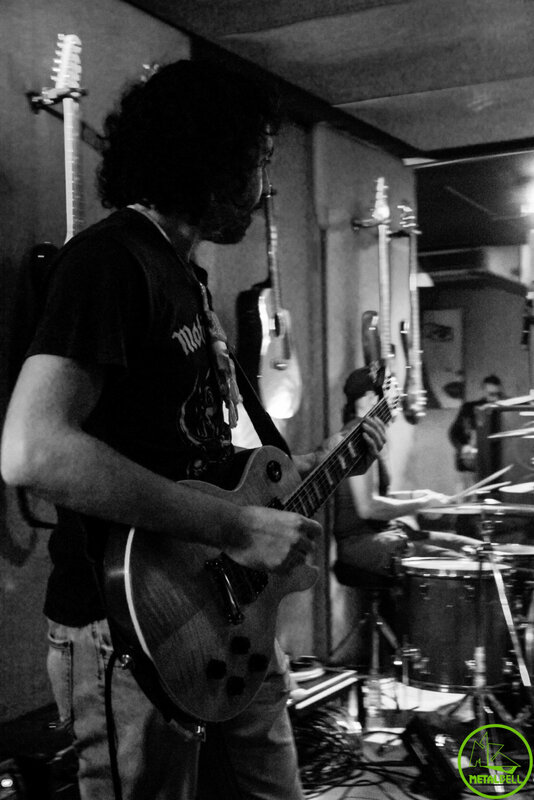 Stay tuned for that! 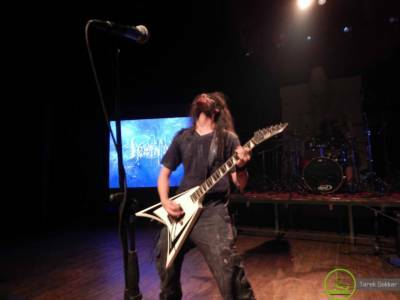 In November, following the aforementioned release of “Sepulchered in Slumber”, the band was asked to be featured on USA’s Licking County Metalheads podcast, on which they had rave reviews, and we quote: “it has been a long time since they had listened to an actual lead in a metal song”. The band was asked to be featured for a second time with “Voices Reside”, during which they were lauded even further. 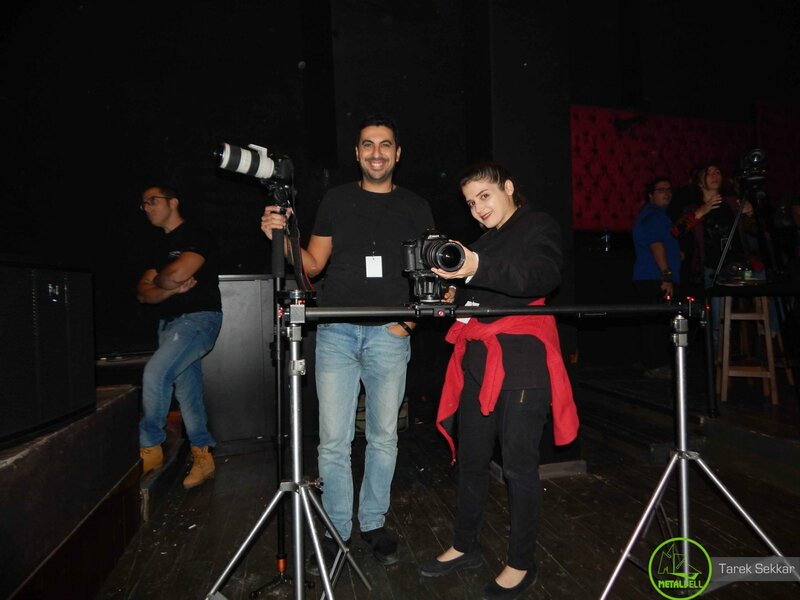 Prominence is managed by Maggie Varbedian of Sledgehammer Productions, the latter being co-owned by Maurice Semaan. 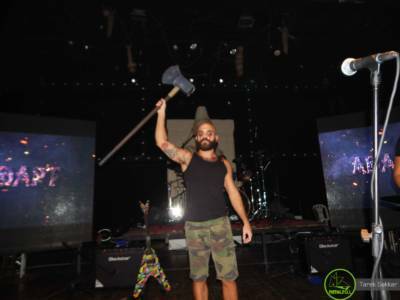 As we have already mentioned, Sledgehammer Productions are the organizers behind the upcoming Metal Bell 6th Anniversary event. 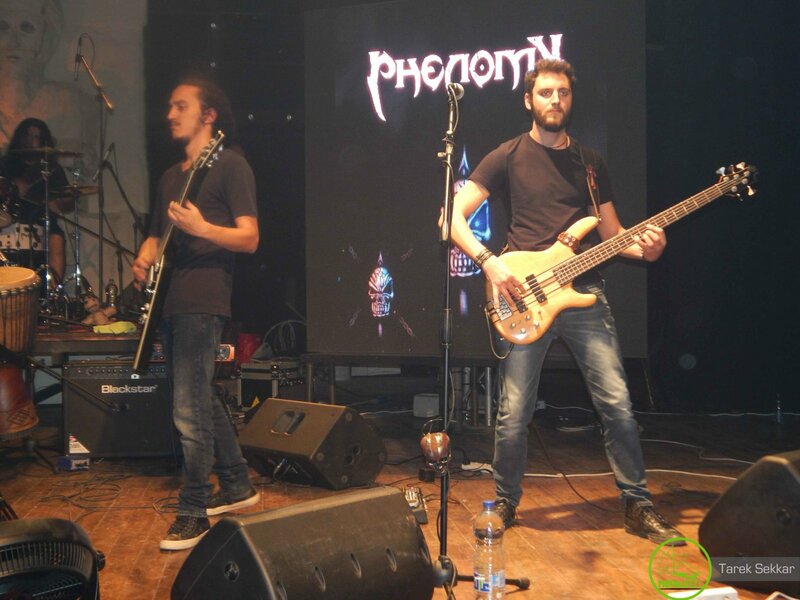 If you’re curious about the kind of sound that these boys will be dishing out, check out their aforementioned track on their YouTube channel: Prominence Official Lb. Prominence, we’ll be seeing you on your path towards prominence! 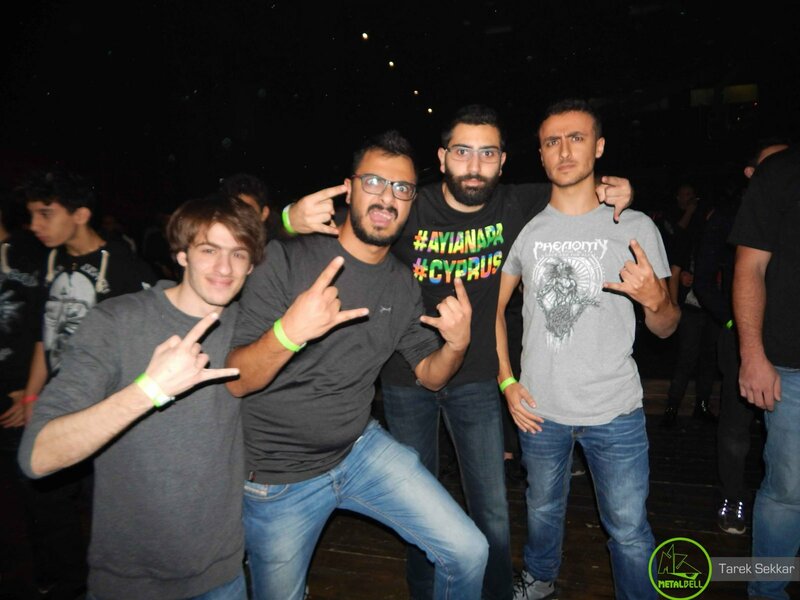 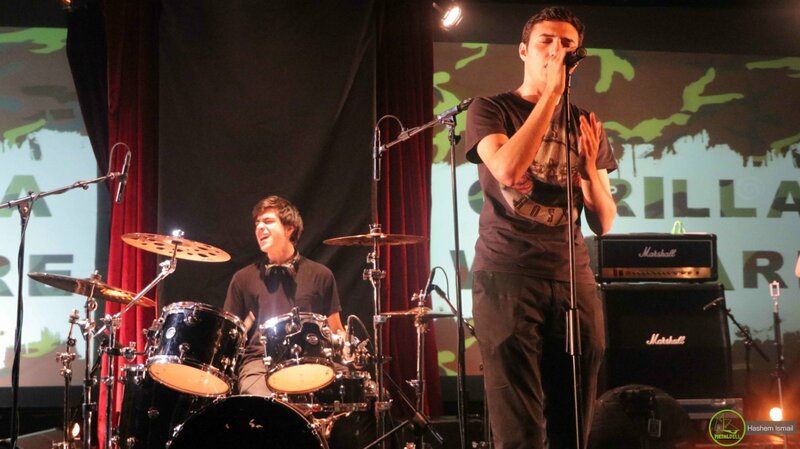 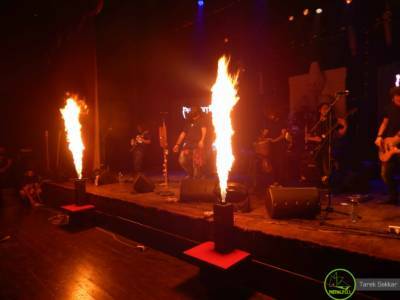 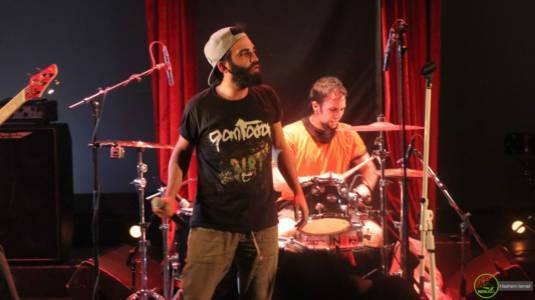 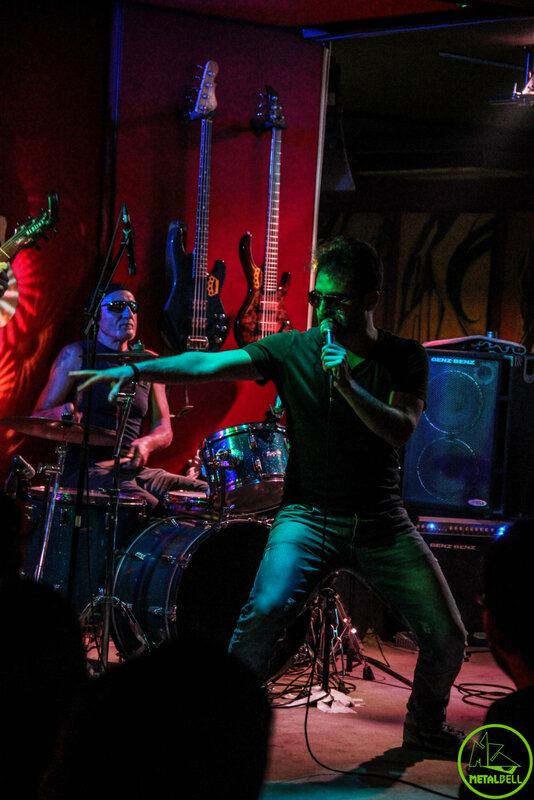 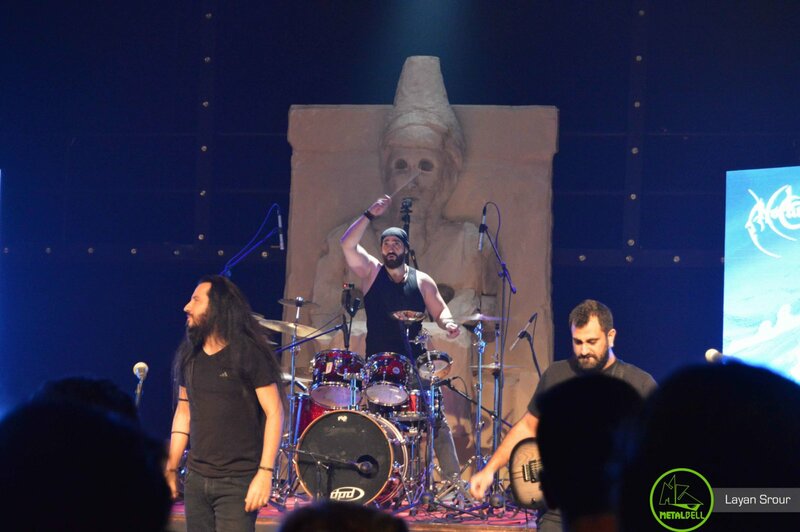 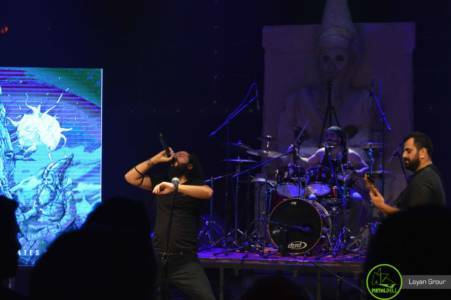 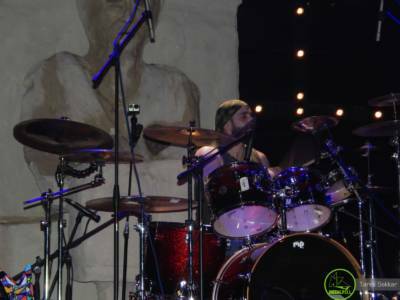 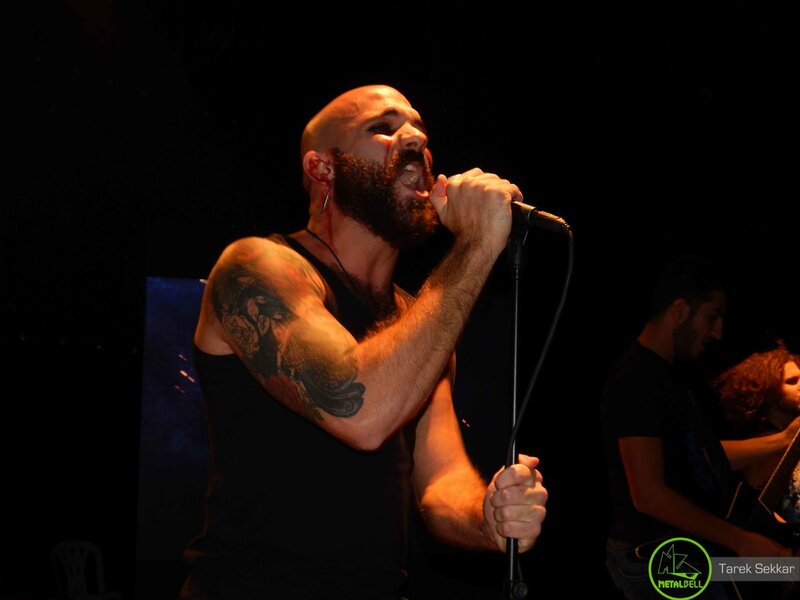 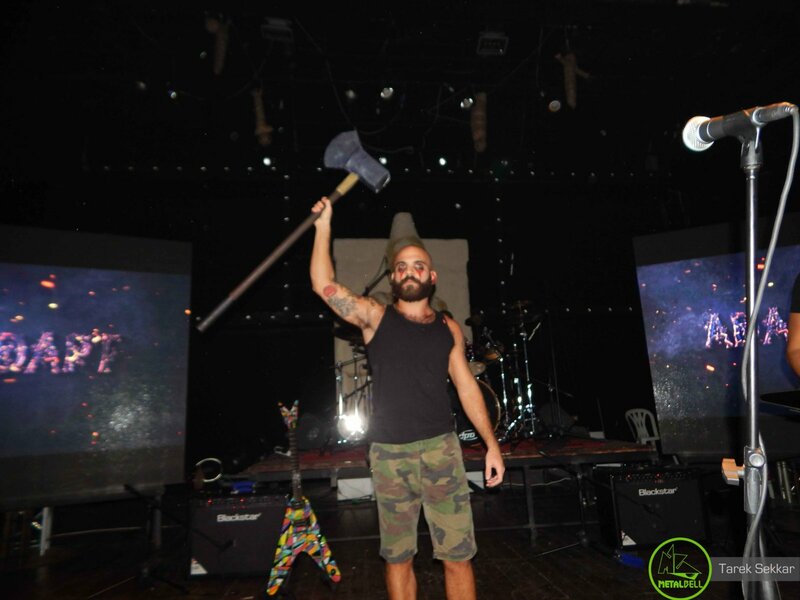 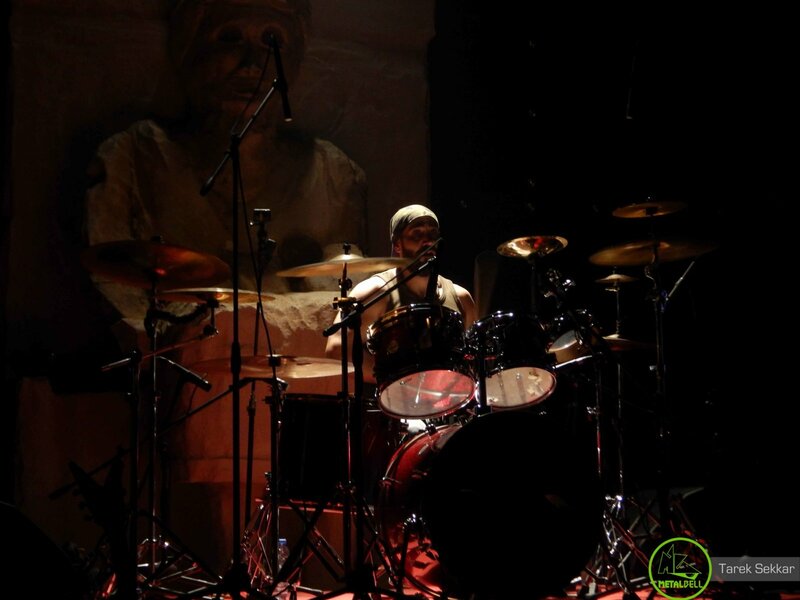 The Metal Bell 6th Anniversary act whom we will be introducing next is Sound of DeGeneration, a Heavy Metal band from Lebanon. 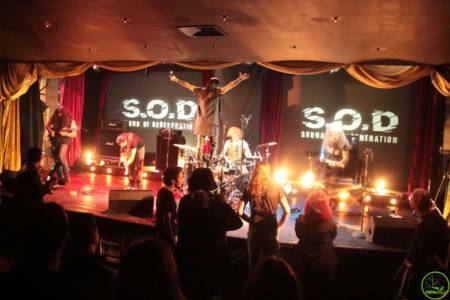 Sound of DeGeneration has been around the scene for quite a while, but a fair share of changes has occurred since their initial inception. 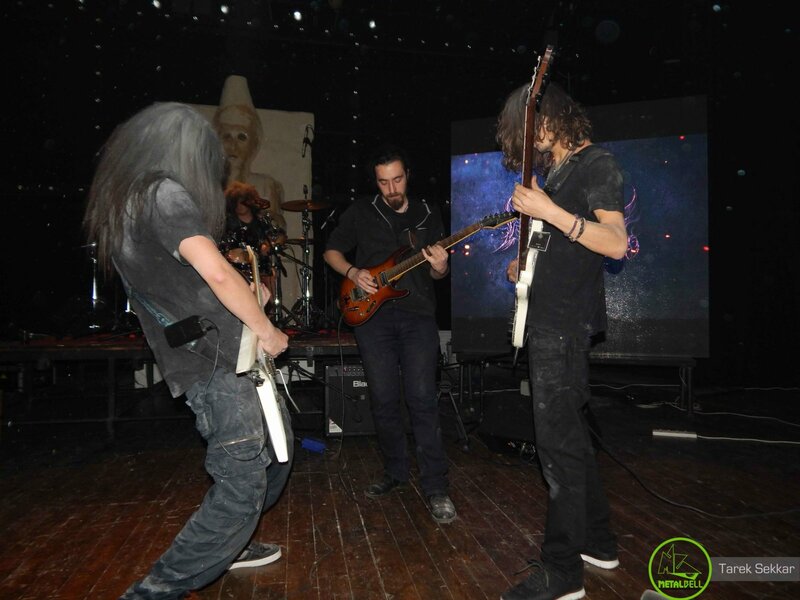 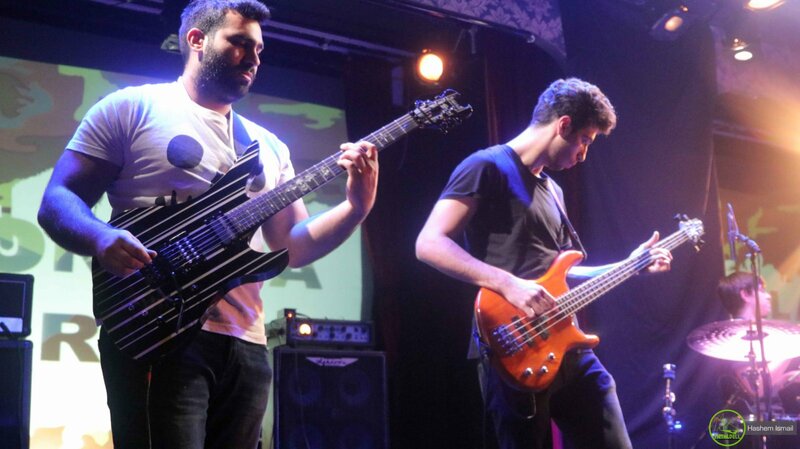 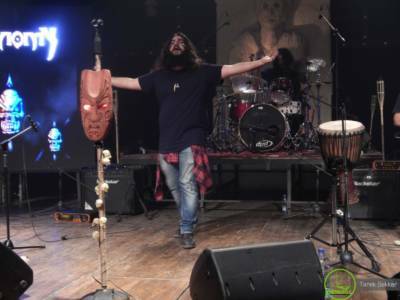 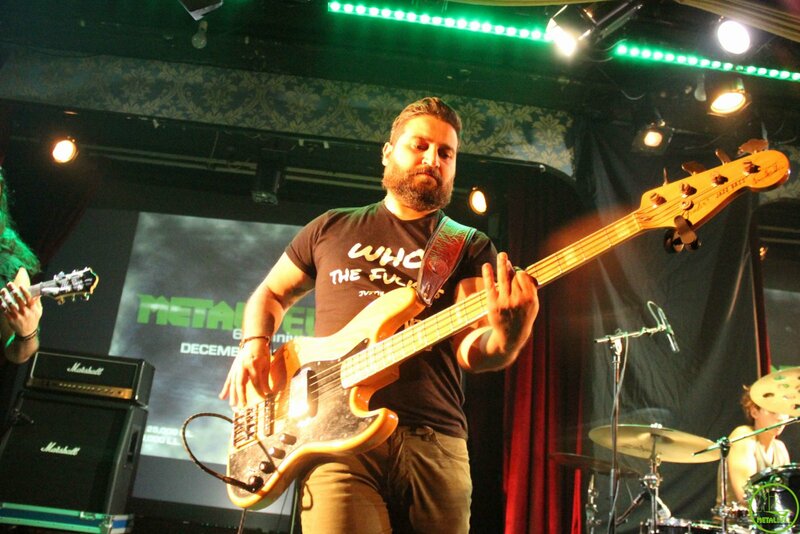 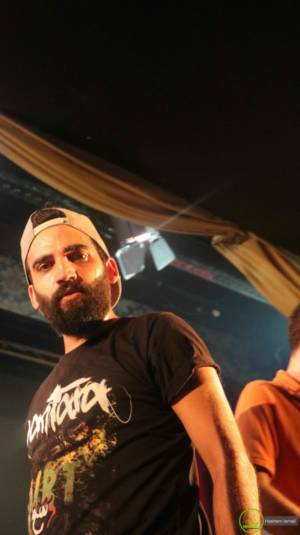 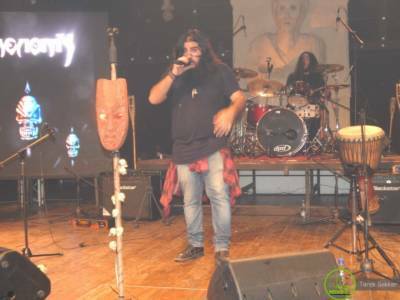 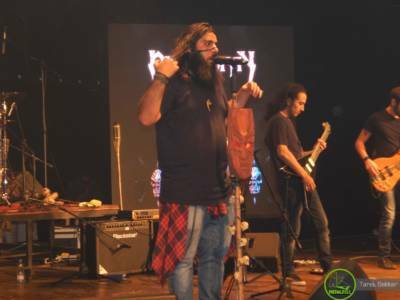 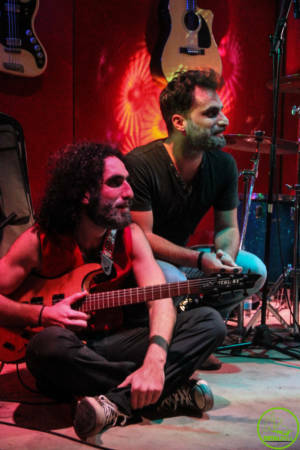 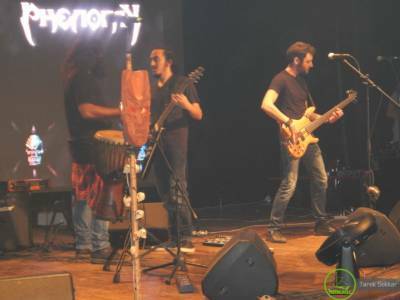 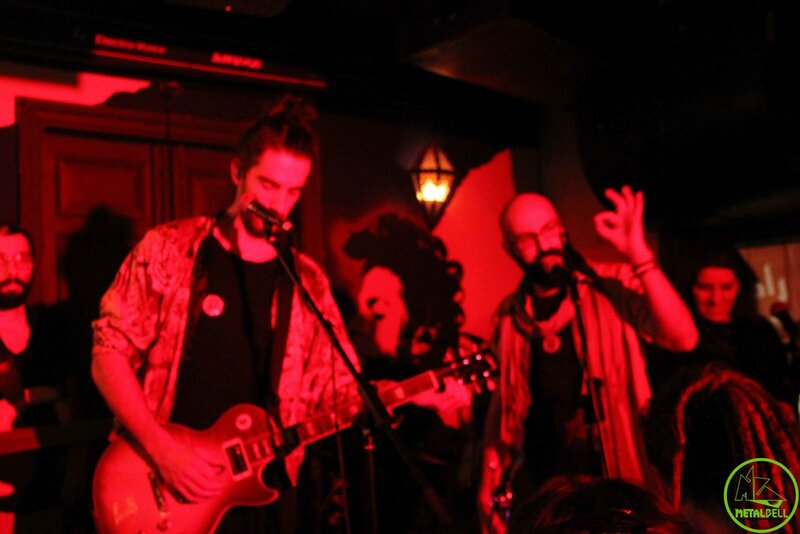 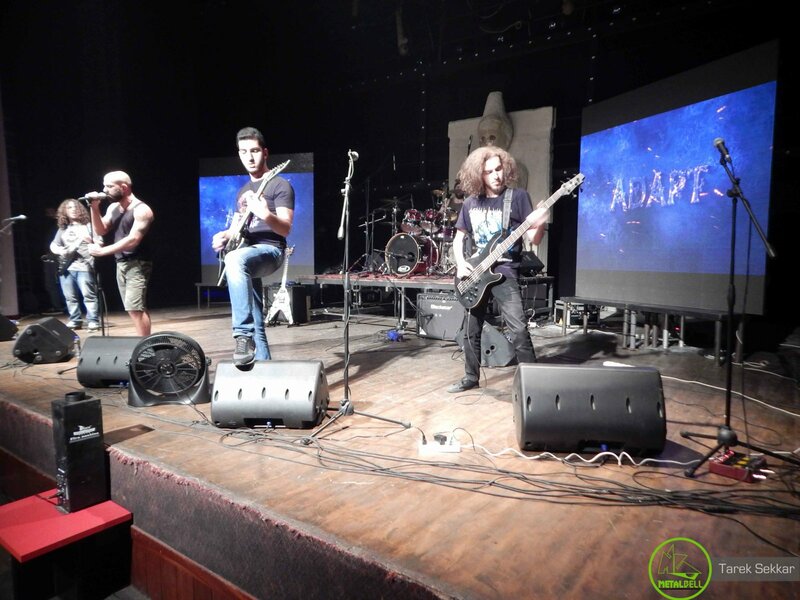 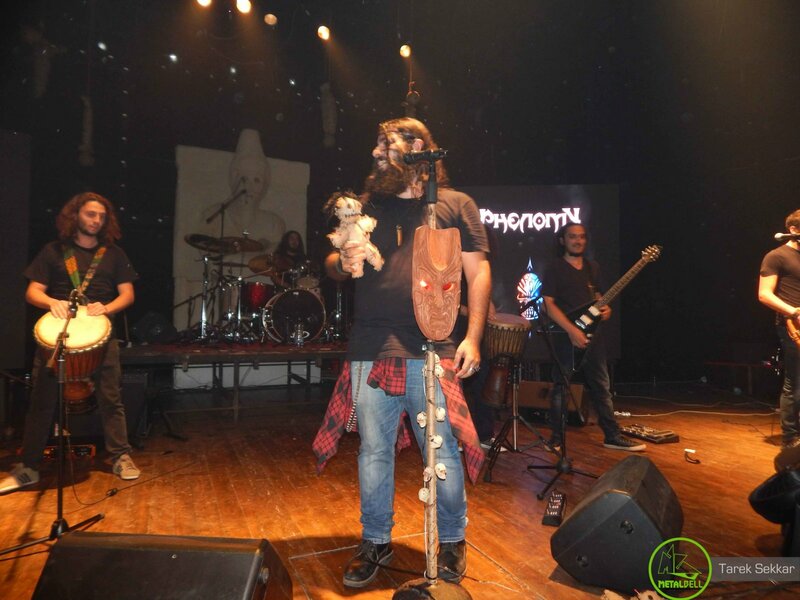 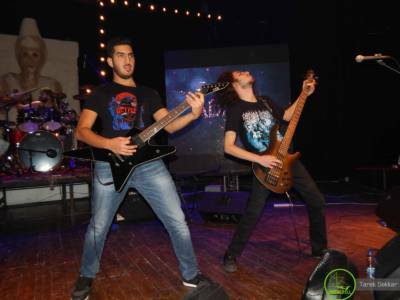 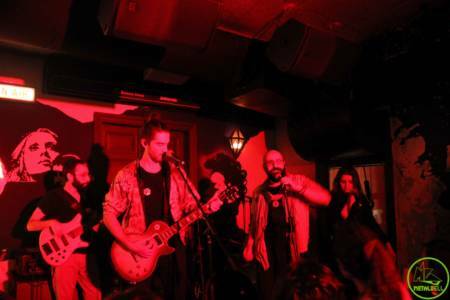 They originally appeared in 2011 under the name “Calling Earth” with founding members Ossy Mash (guitar and vocals) and Ramzy Alaeddine (guitar). A bunch of additions and removals took place until the band’s lineup stabilized in 2012 and their name was changed to “Rebellion”. 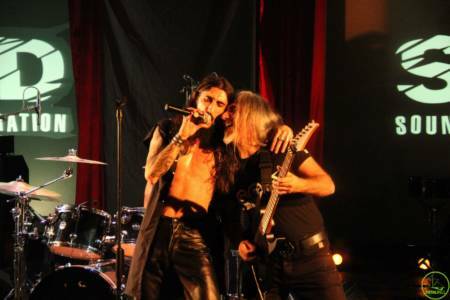 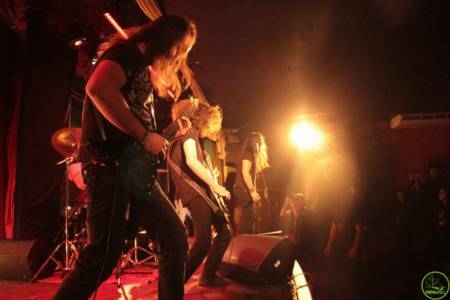 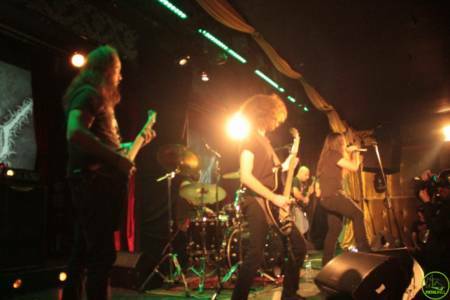 As Rebellion, they wrote five original tracks which they performed live numerous times alongside covers of classic Heavy Metal bands such as Black Sabbath, Judas Priest, Motley Crue, Dio, Metallica, and more. 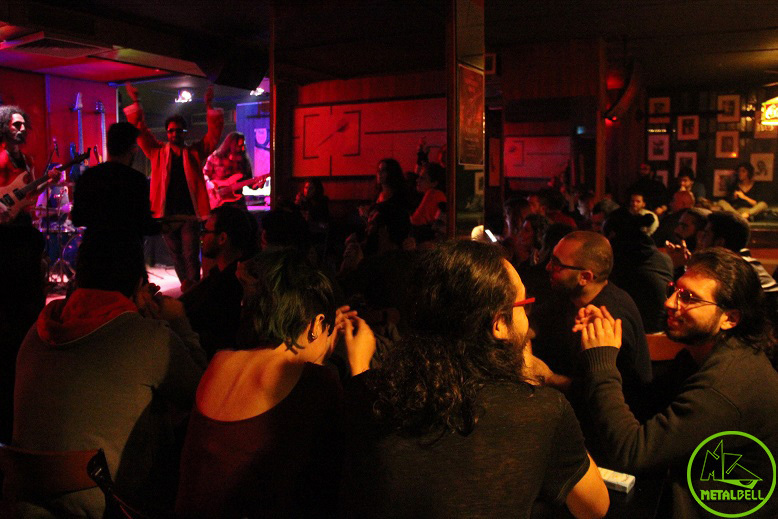 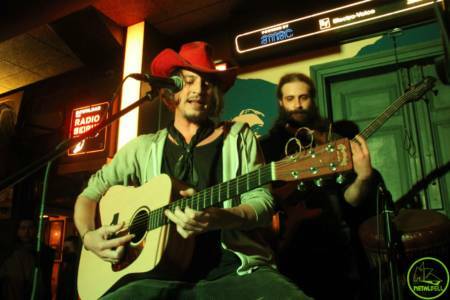 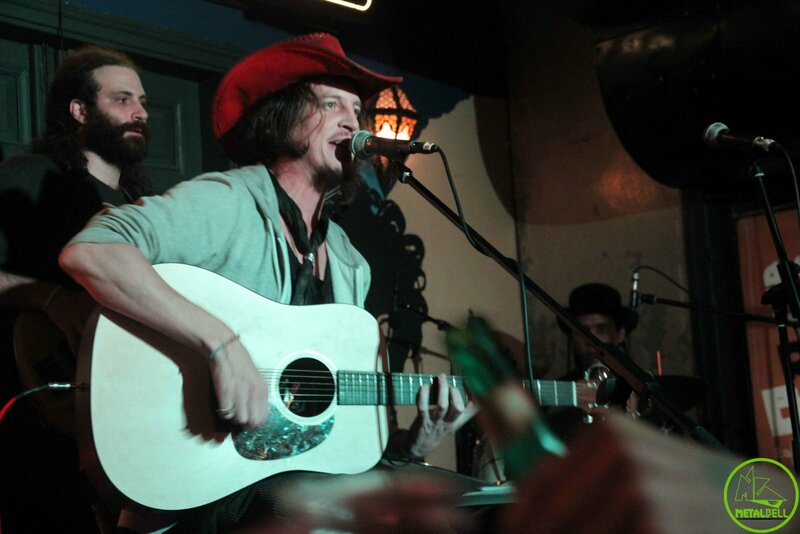 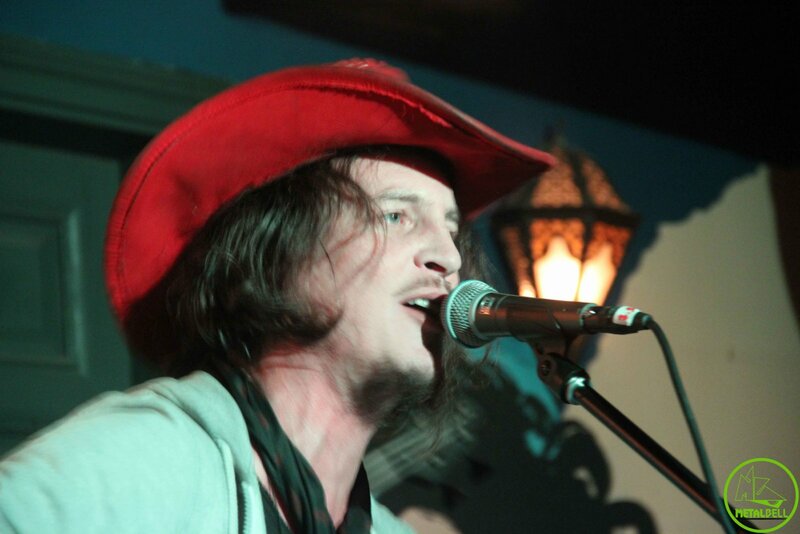 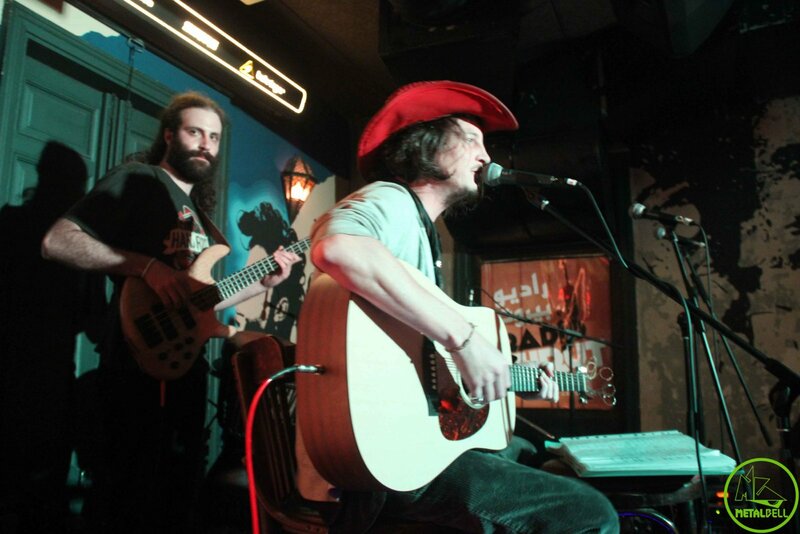 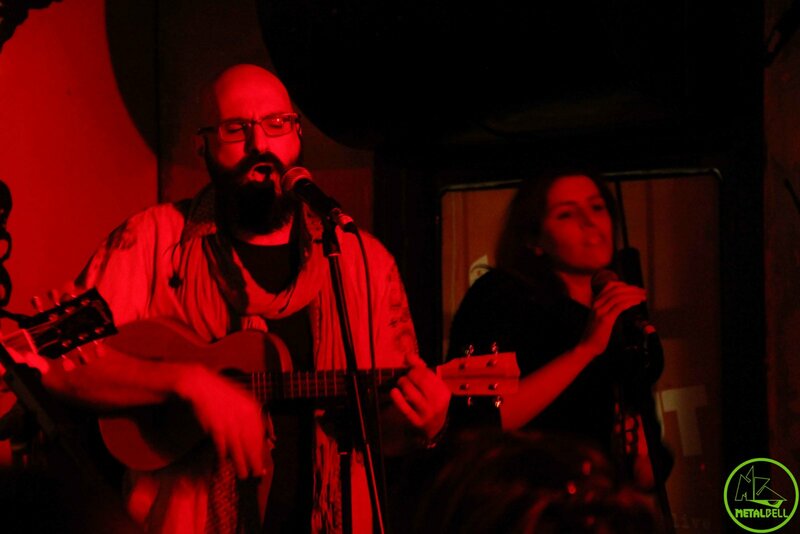 They often took to the small stages of pubs and bars as well as some bigger music festivals. 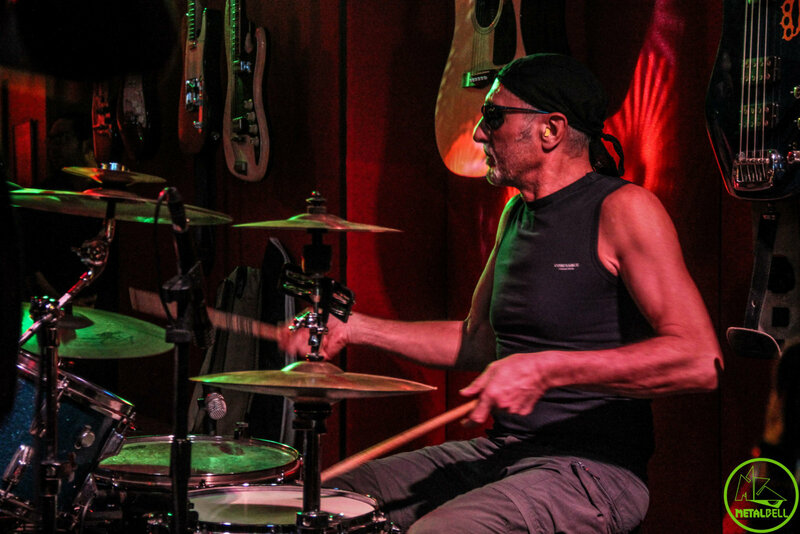 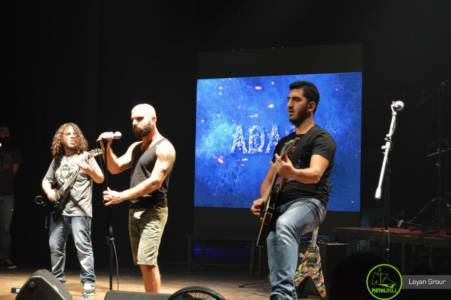 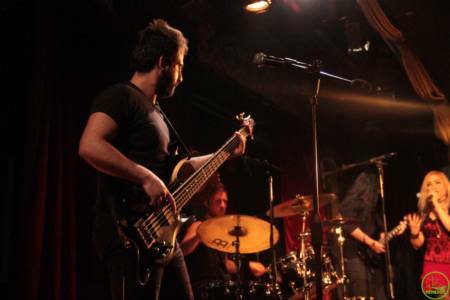 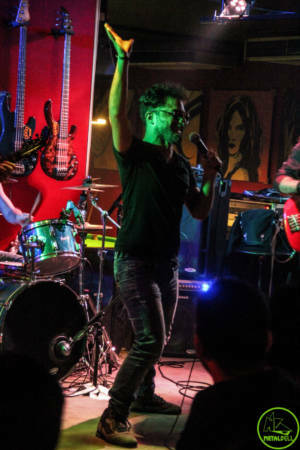 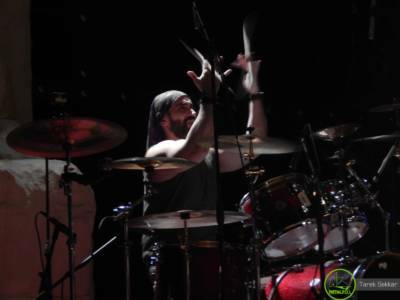 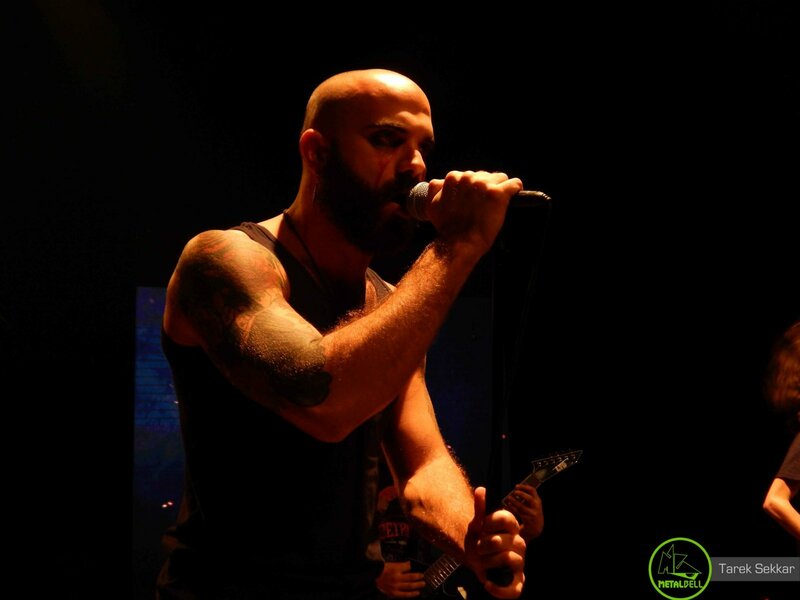 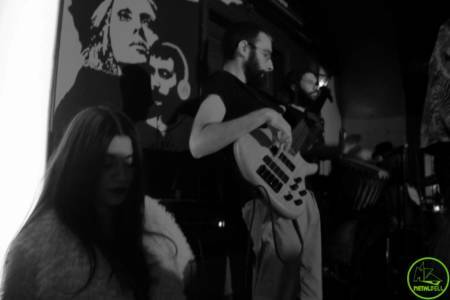 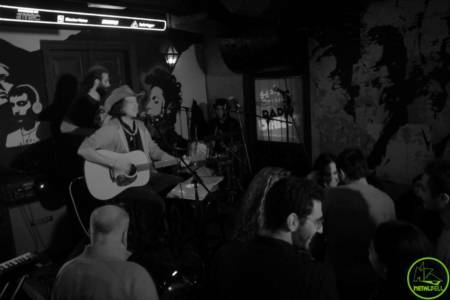 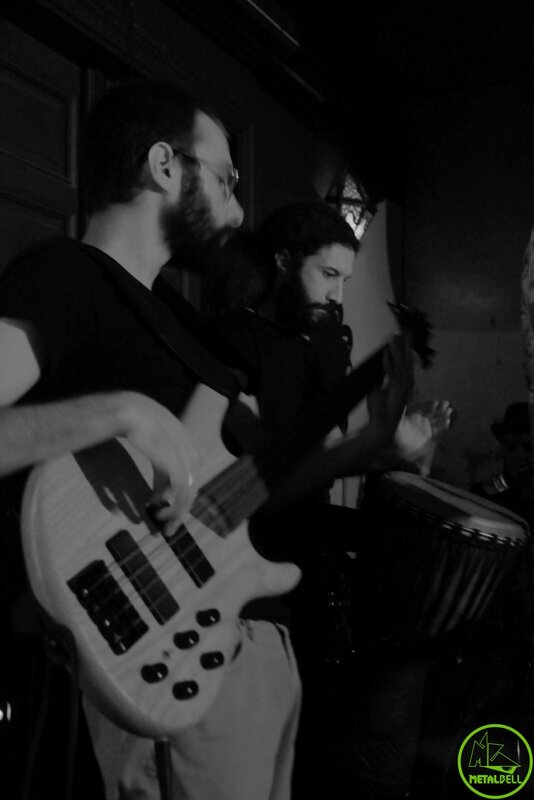 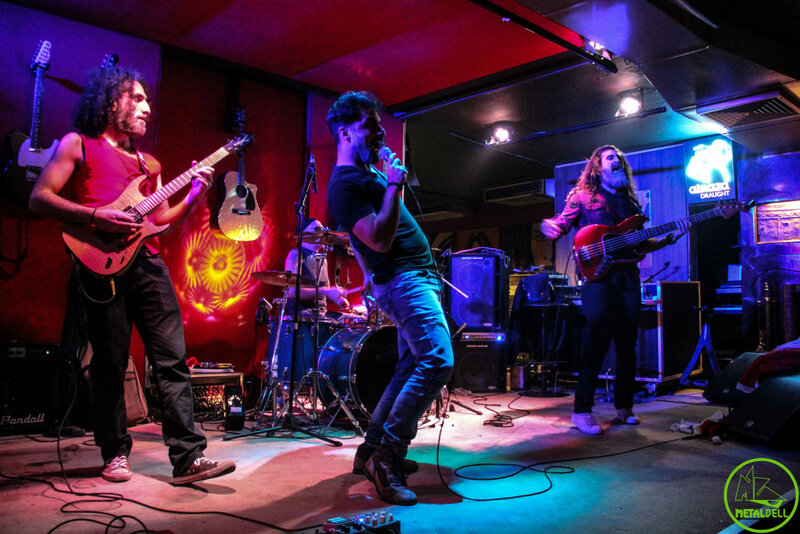 Unfortunately, financial and personal circumstances as well as the departure of Alaeddine who sought to pursue his career elsewhere halted the band’s project of recording their debut album, and ultimately their activity in general. 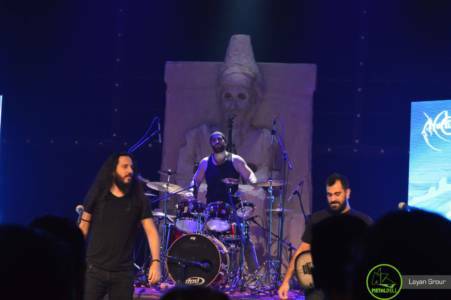 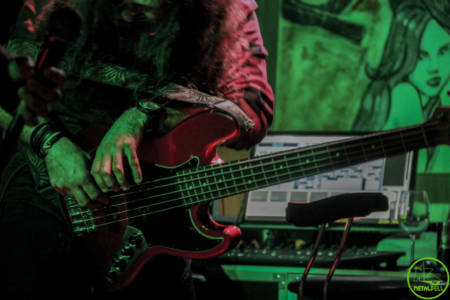 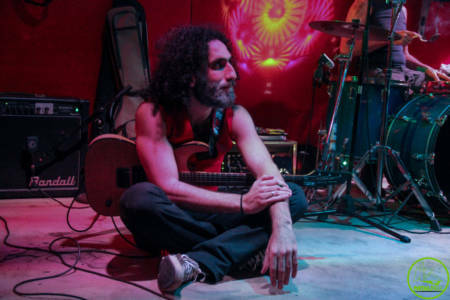 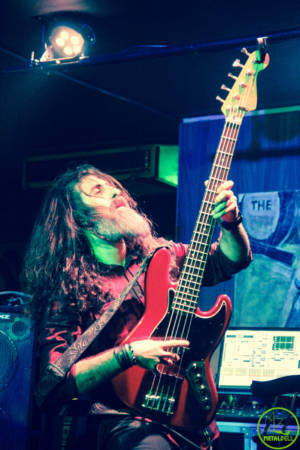 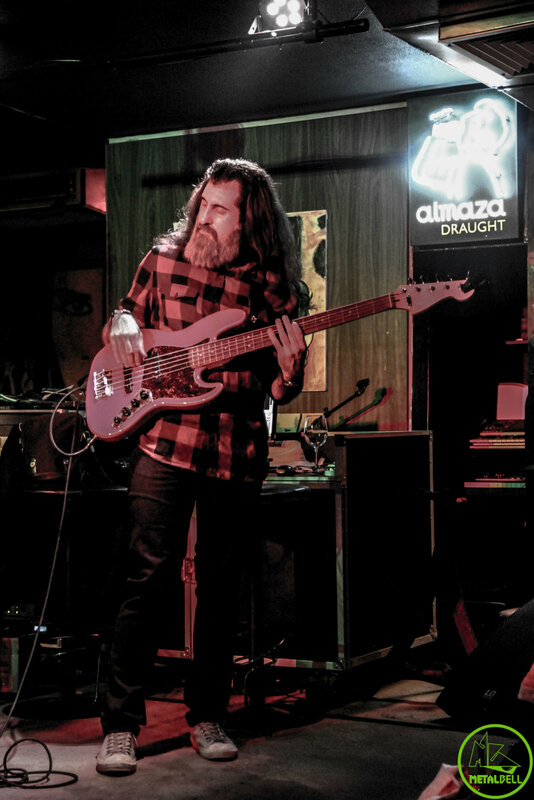 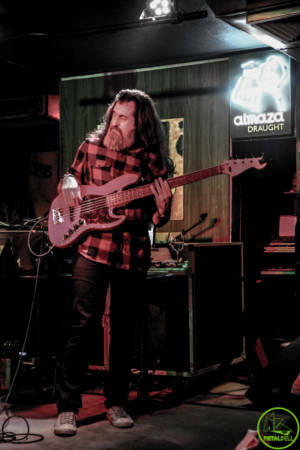 However, in late 2017, a call from Hisham El Hajj Boutros (the band’s bassist) encouraged the four remaining members to get back to it, and finally resume working on their long-abandoned album. 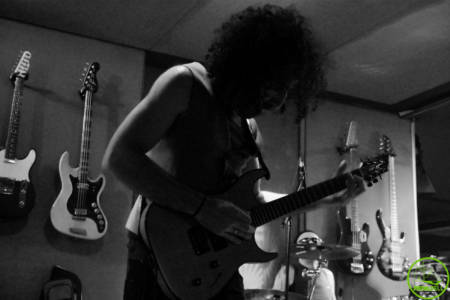 The latter includes eight tracks and is now in its demo stage, awaiting mixing and mastering before its ultimate release. Around that time, they also decided to change their name to S.O.D, or Sound of DeGeneration. 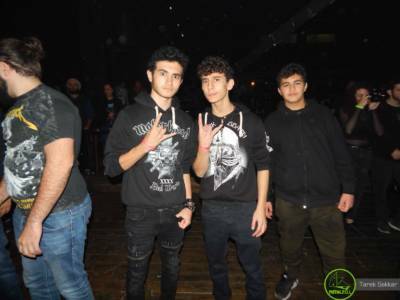 They felt like that name better represents the message behind their band and their music, which is to “bring back the good old Rock and Heavy Metal of the 70’s, 80’s and 90’s [that is] now destroyed by the new media”, as they put it. 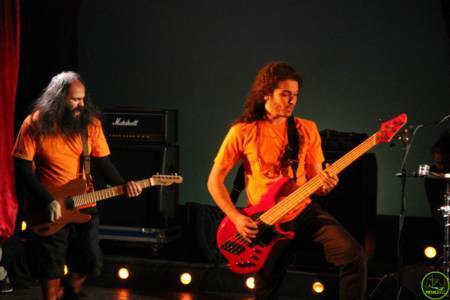 The name originally came from one of their original songs, and will also be extended to their self-titled debut album. 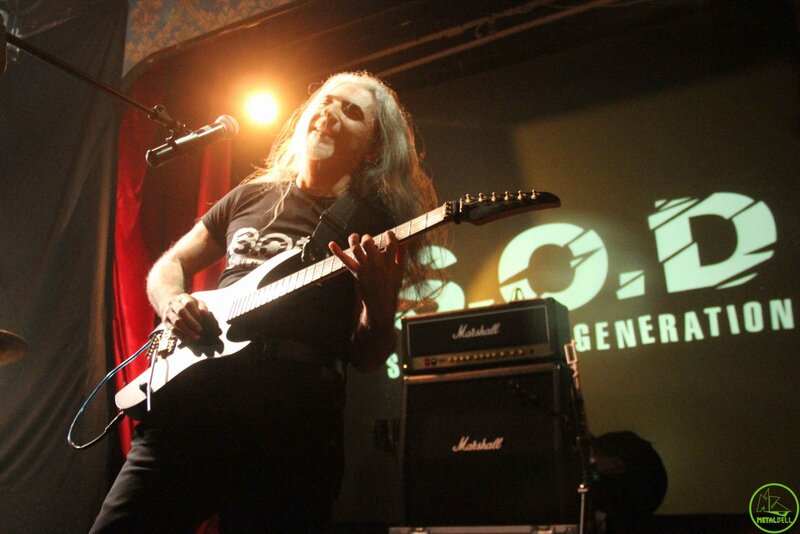 In 2018, the band started to push towards hopefully getting a label, and their new website www.soundofdegeneration.com is coming soon. Stay tuned for that! 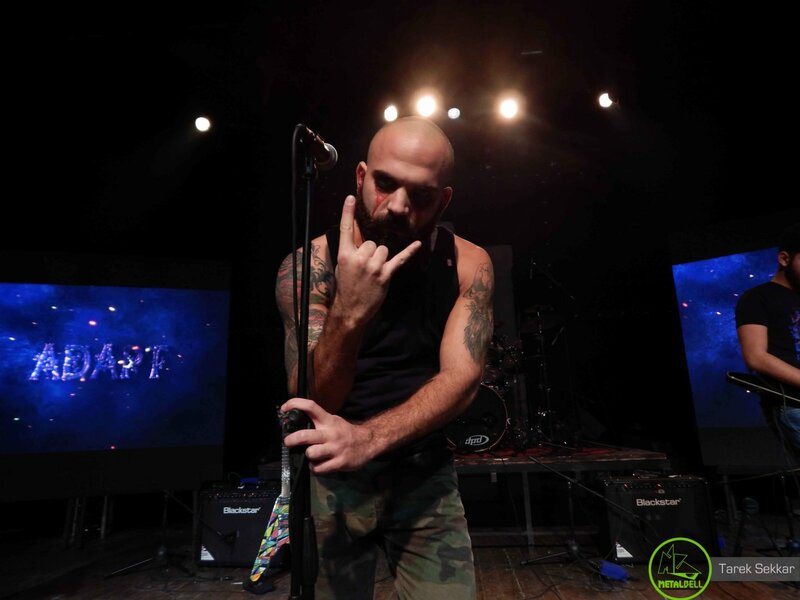 If you wish to take a sneak peak at what these Heavy Metal Men can do, check out their Soundcloud account for a taste of their Heavy material. 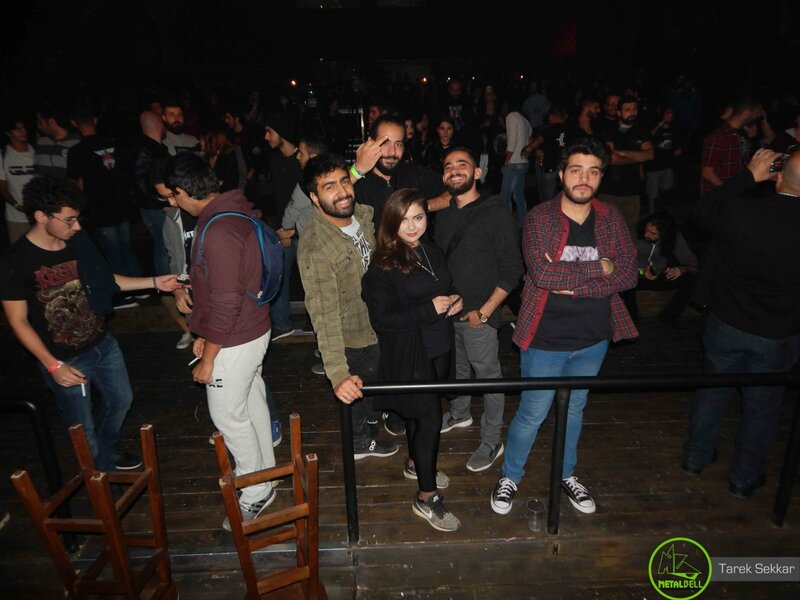 Sound of DeGeneration, take us back in time! 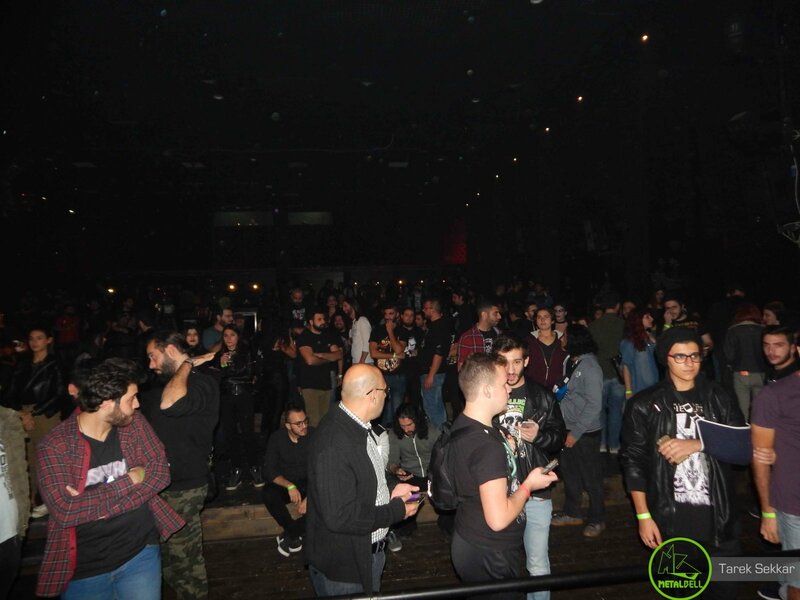 On Saturday, December 15th 2018, SledgeHammer Productions are organizing an event in order to celebrate no less than Metal Bell’s 6th anniversary! 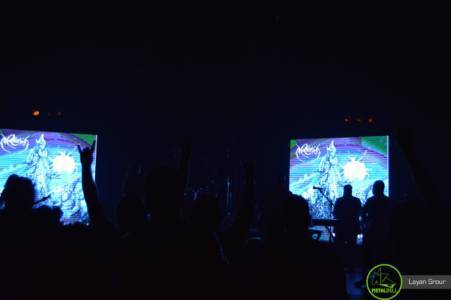 While we all wait for the chance to partake in the celebration, we will be providing you with information about all the participating bands. 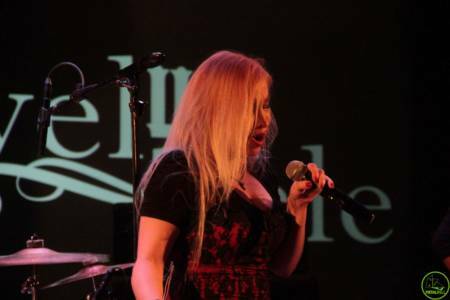 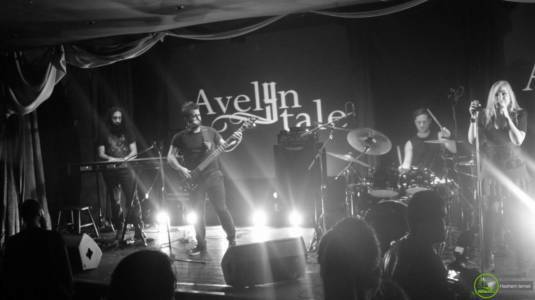 First up, we have Avelyntale, a relatively new local Symphonic Metal band. 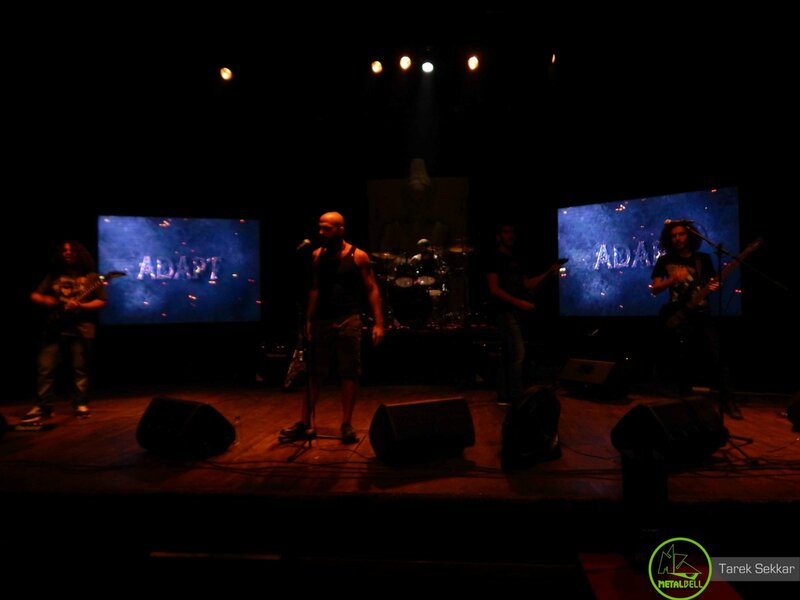 It all started when Anthony Abdo (whom you might know as local Melodic/Fusion/Technical Death Metal band Nocturna’s vocalist), his wife Magdalena Eid Abdo, and Mood Yassine (whose talent on the keys has been around the local scene for a while, most notably with local Progressive Metal/Rock band Turbulence) were gathered at the Bach Music Institute. 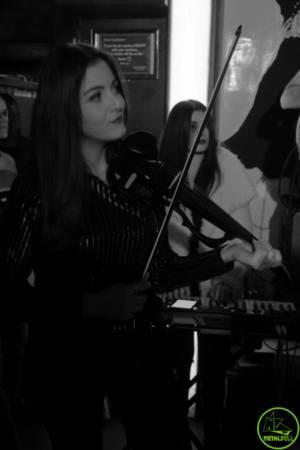 Pretty much out of nowhere, each one of them started expressing their own preferences regarding Symphonic Metal. 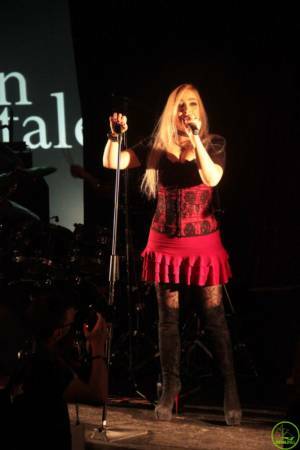 Magdalena favors female-fronted bands, such as Nightwish, most notably with their first vocalist Tarja Turunen; Mood, who has more of a Progressive background, sets Epica at the top of his own list; as for Anthony, he refers to himself as having a more “aggressive” background, and his favorite Metal genre of all time is Orchestral Black Metal, with bands such as Carach Angren, Dimmu Borgir, and Graveworm. All it took after that was a subsequent pregnant pause that gave birth to the idea of them teaming up in order to perform the songs that they all love. 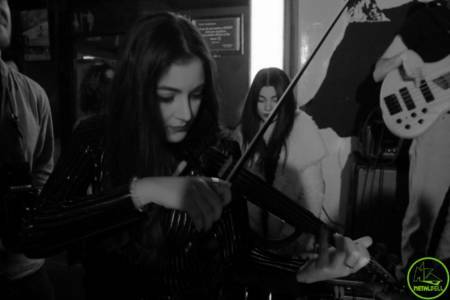 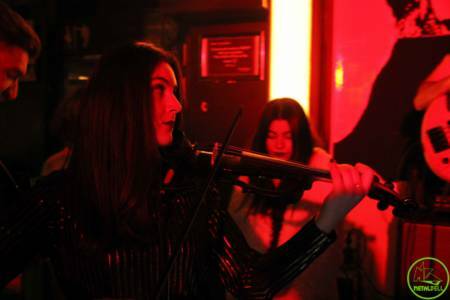 As such, Avelyntale is currently a covers-only band, since their main objective was essentially to garner enjoyment from performing as aforementioned. 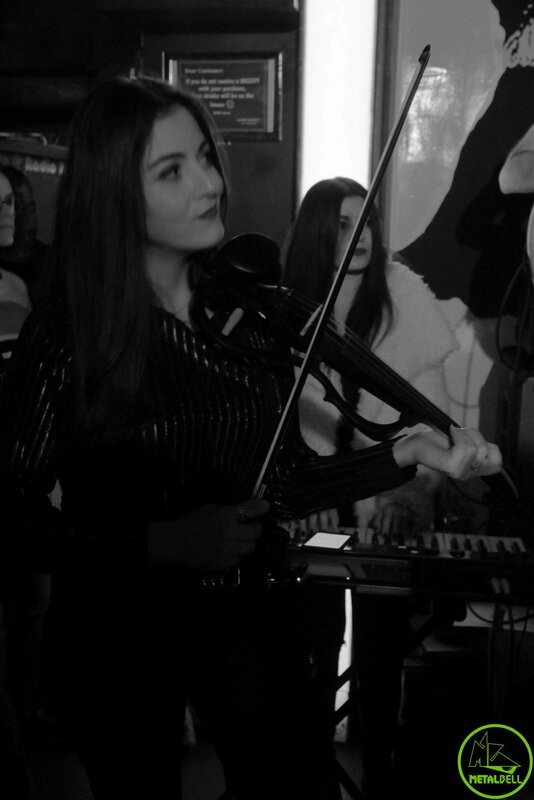 The thought of diving into the realm of musical creations has most definitely crossed their minds, especially since each one of their members would technically be capable of orchestral composition. 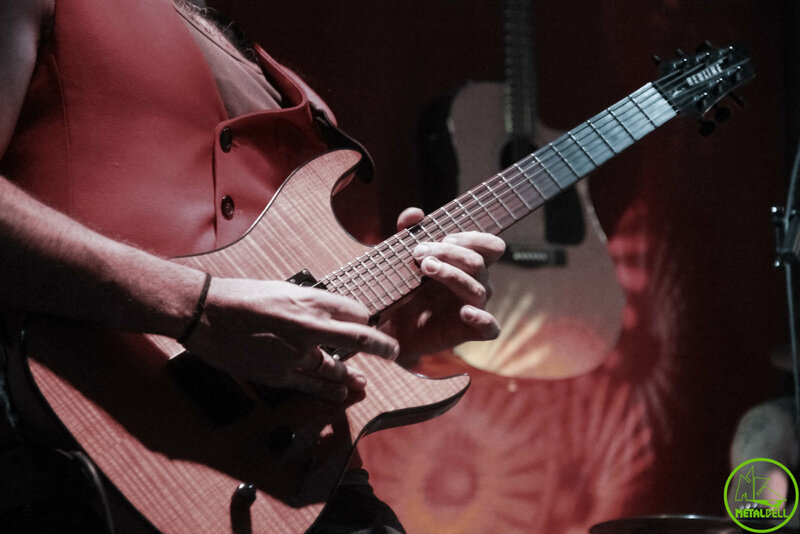 However, they admit that they currently lack commitment, and would only be up for starting something if they were certain that they would all be up for finishing it. 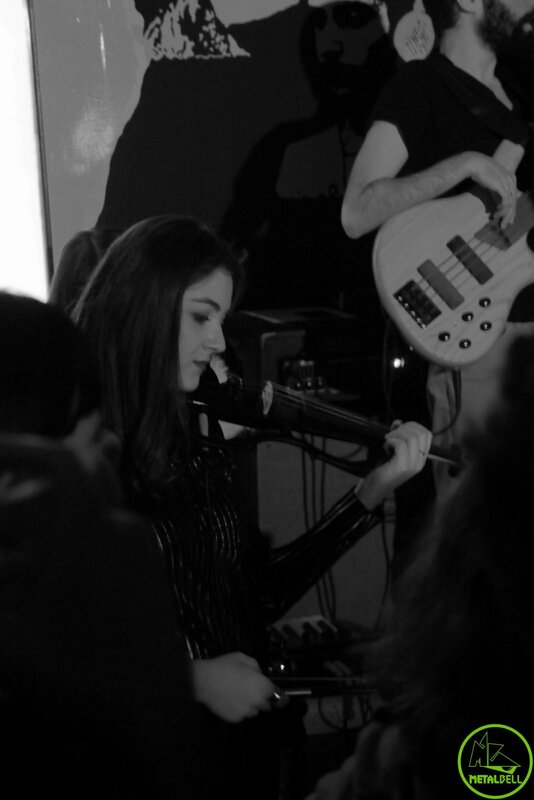 That being said, a concept that would engulf the yet-unborn songs already exists. 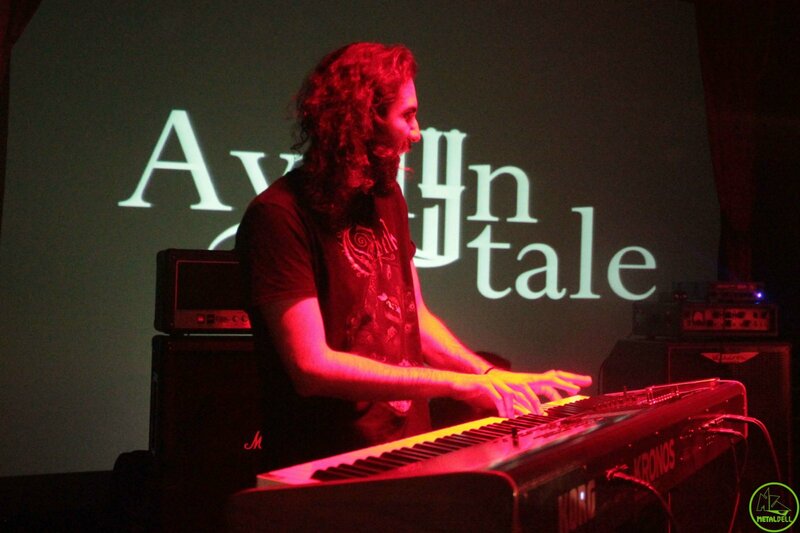 The name of the band, Avelyntale, translates to “the tale of Avelyn”, with the latter being an undefined character who could pretty much represent anyone in the band. 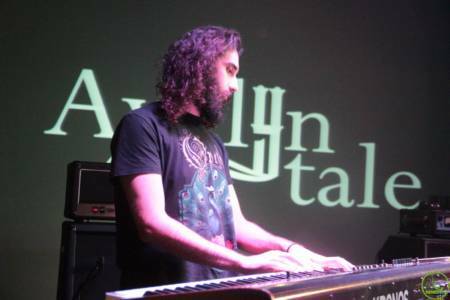 So, when they do make the step towards composition, they will recount their own daily lives and the problems they encounter within them through the voice of Avelyn. 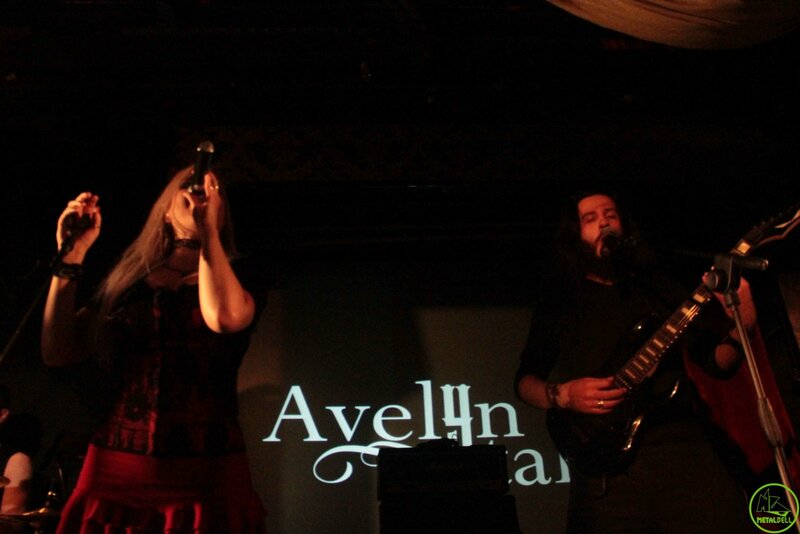 Avelyntale, we can’t wait to witness your tale unfolding before our ears!